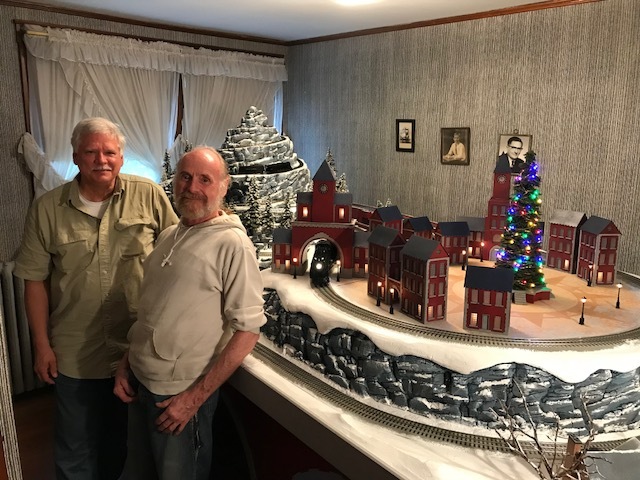 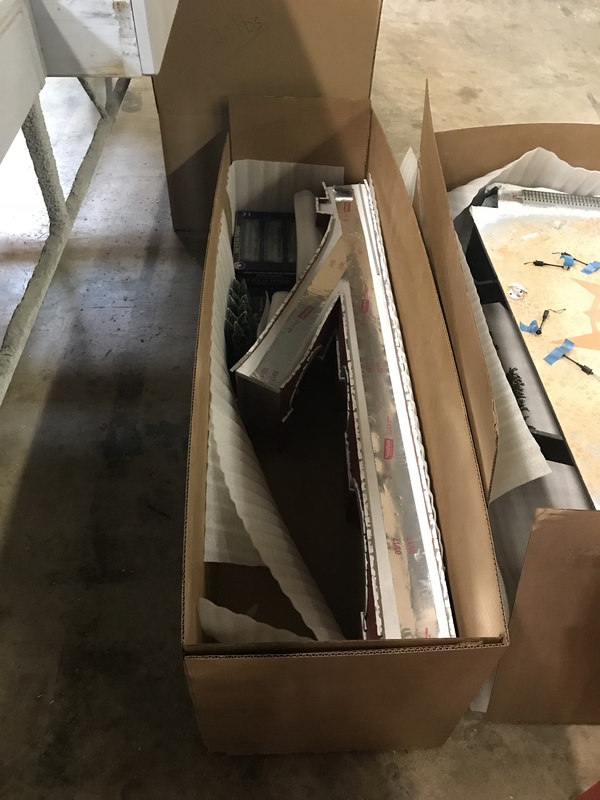 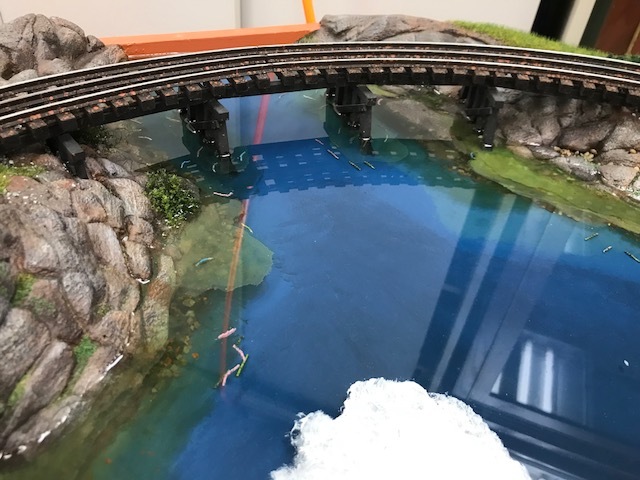 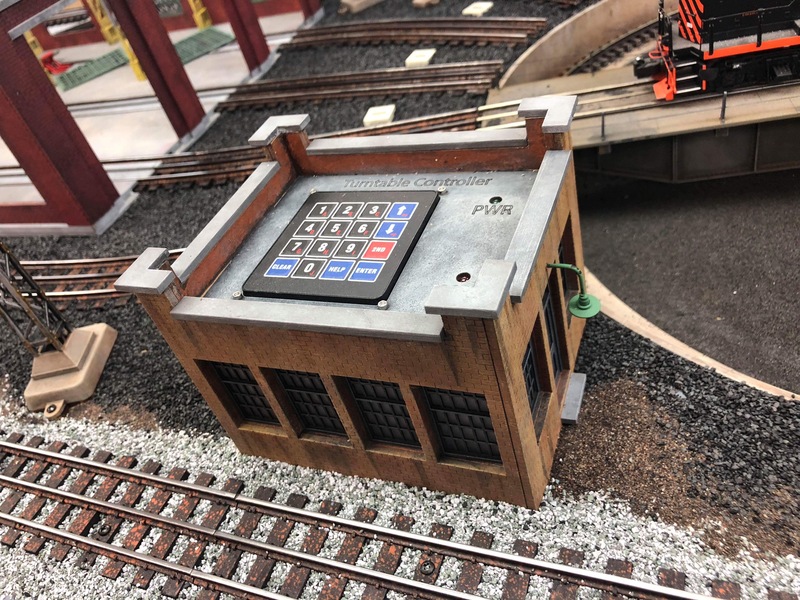 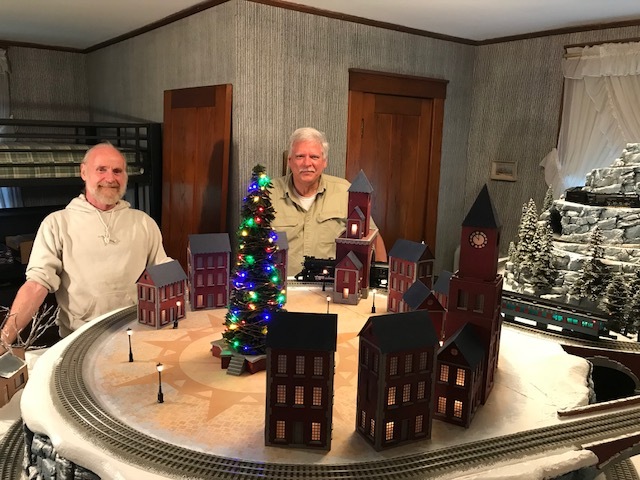 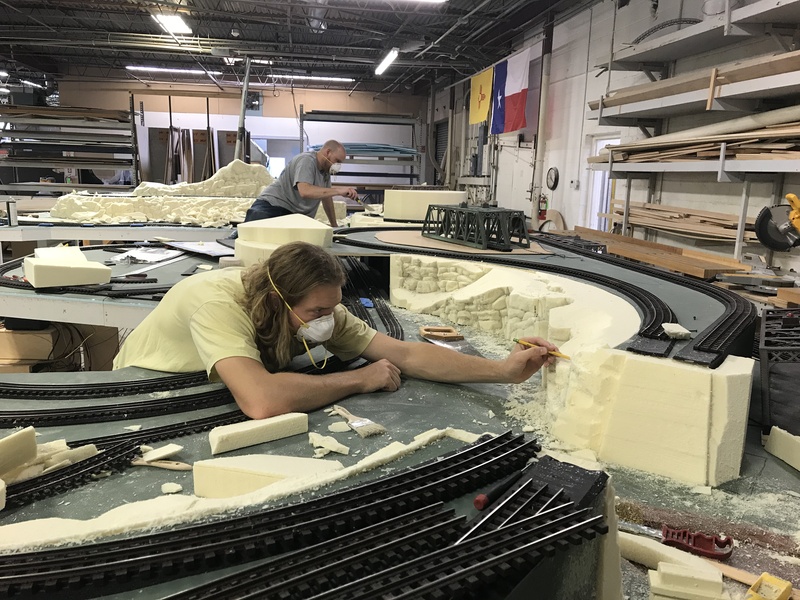 Especially thankful of our newest Traingineers who are adjusting Traintastically to all the tasks at hand, especially Traintastic considering they have no “model train” backgrounds. 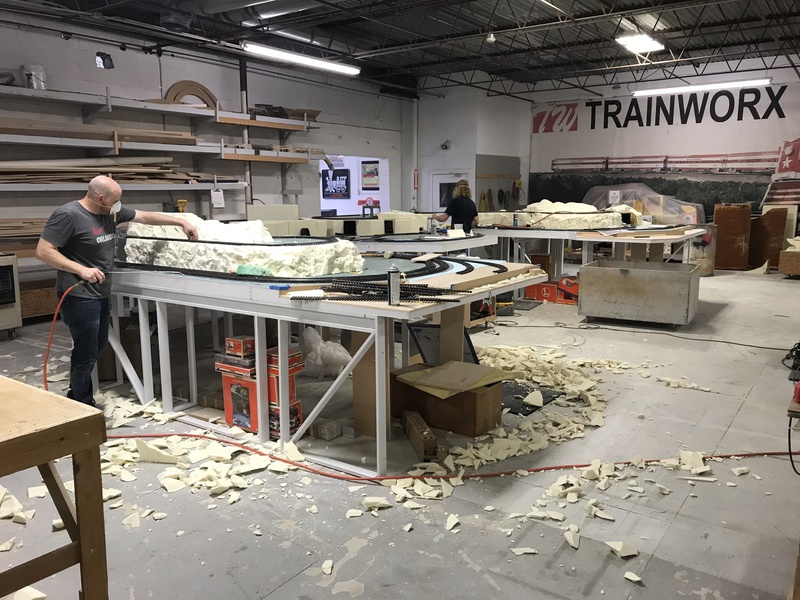 Newest TW TrainWorx Traingineers are: Chuck McClelland and Ryan Gillam. 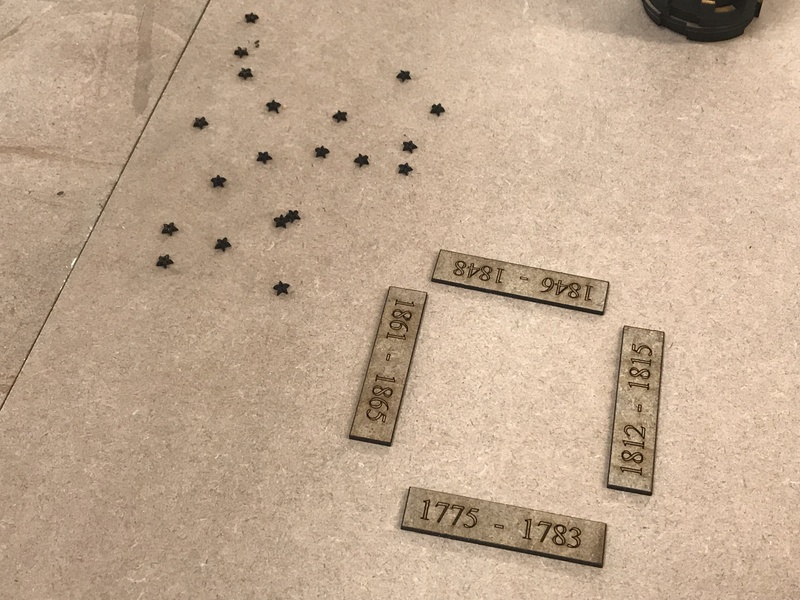 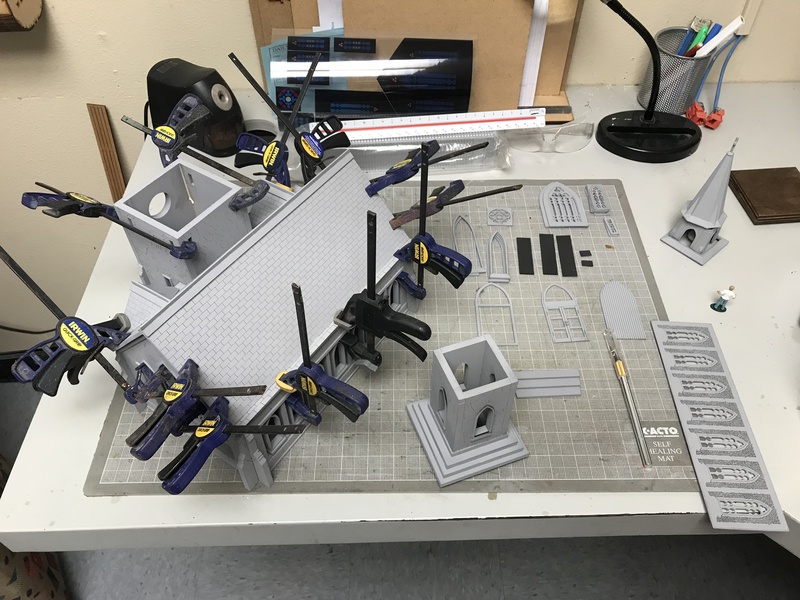 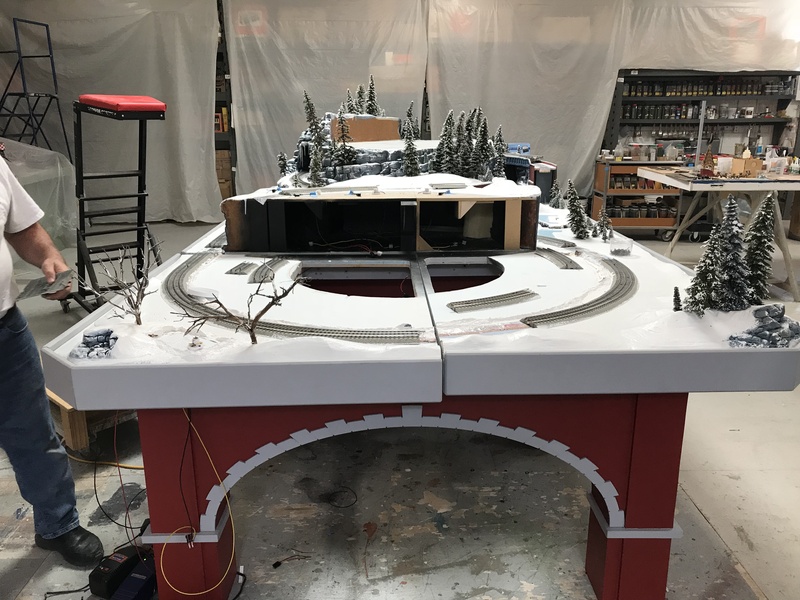 Moving right along with our table top HO layout. 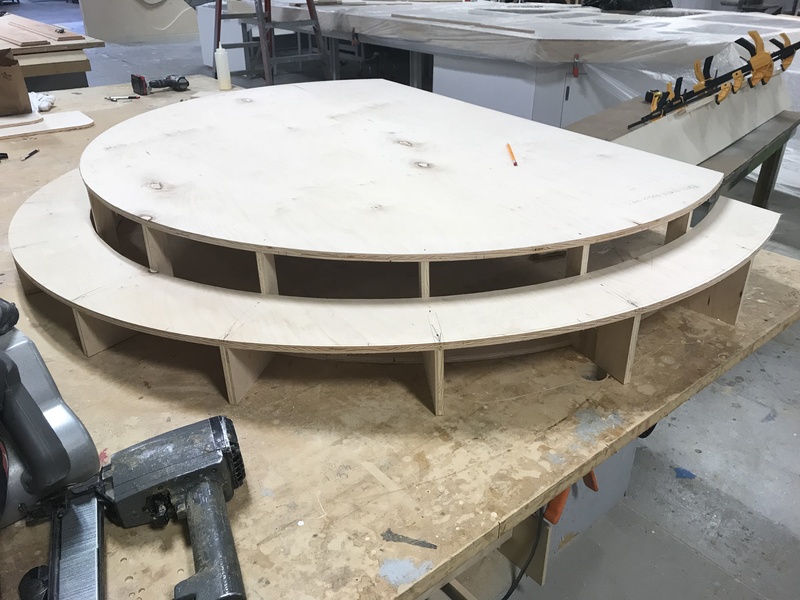 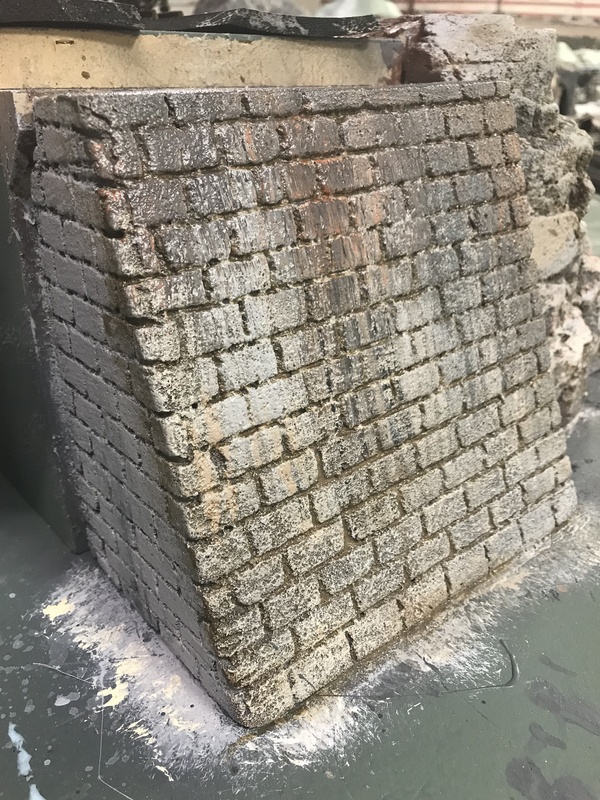 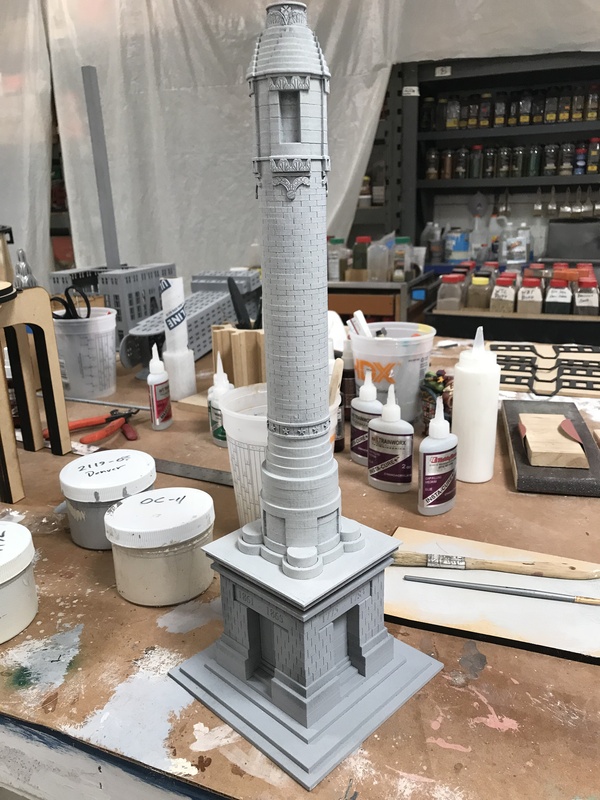 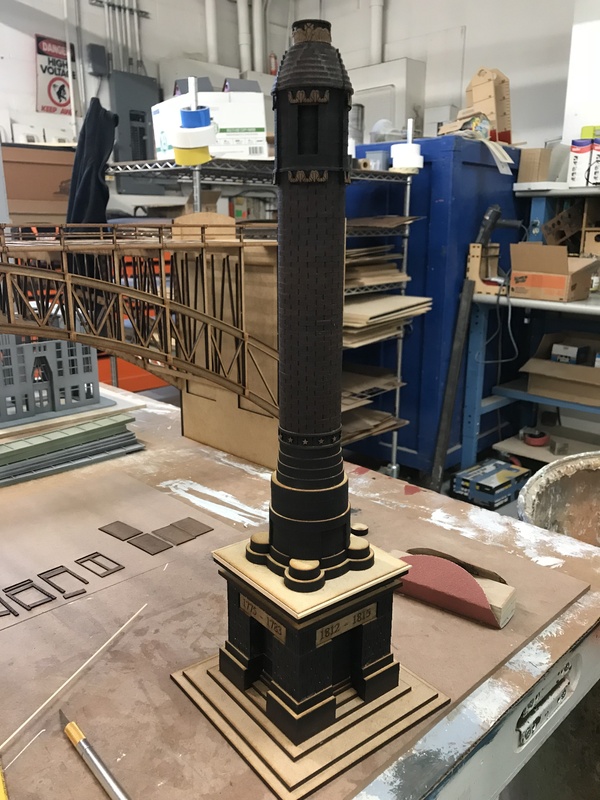 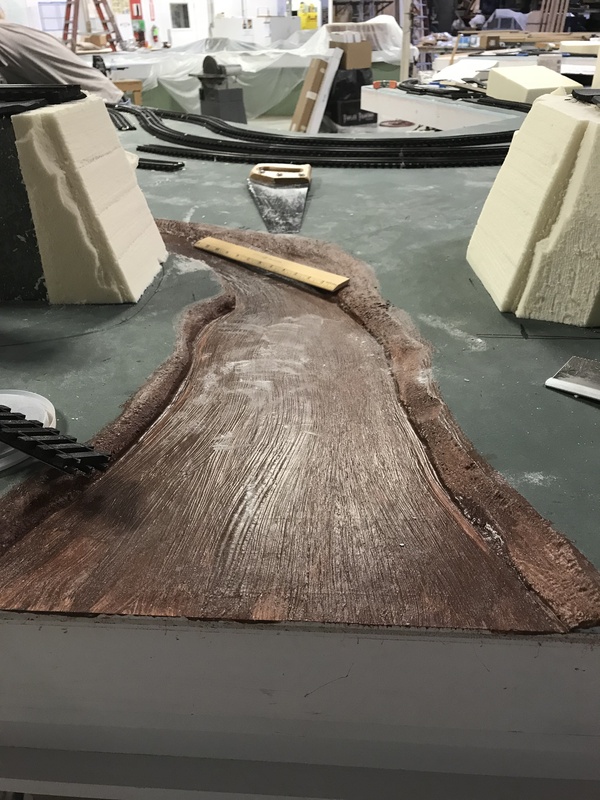 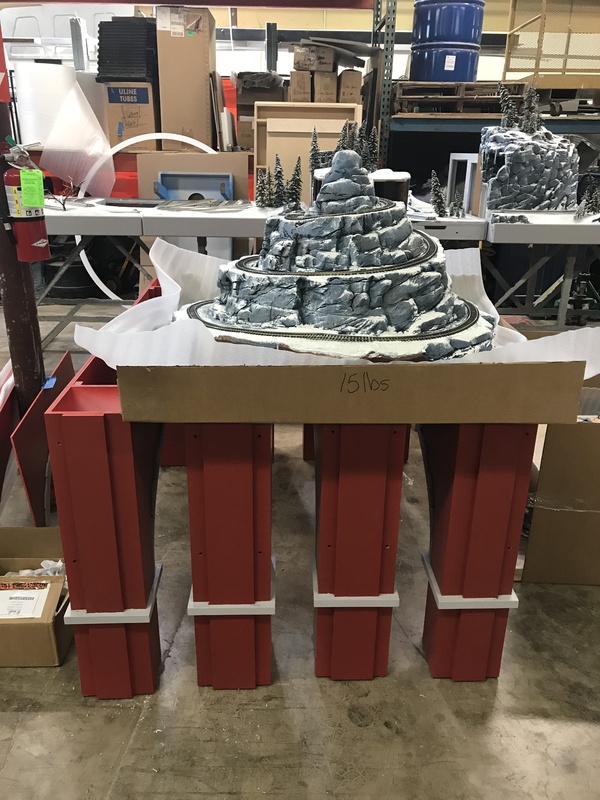 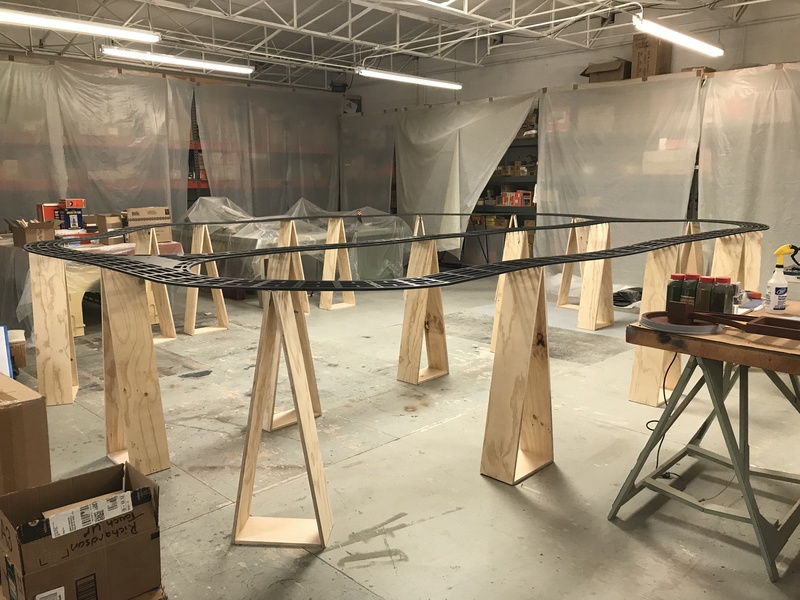 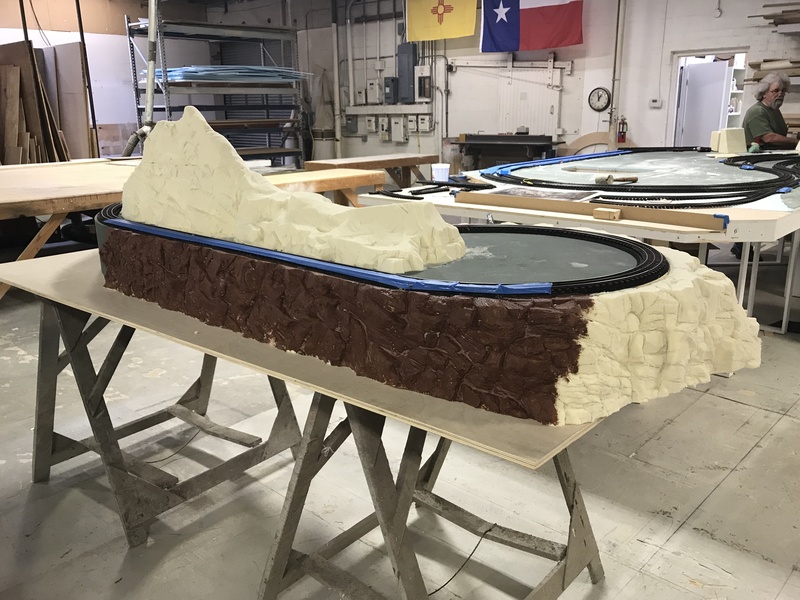 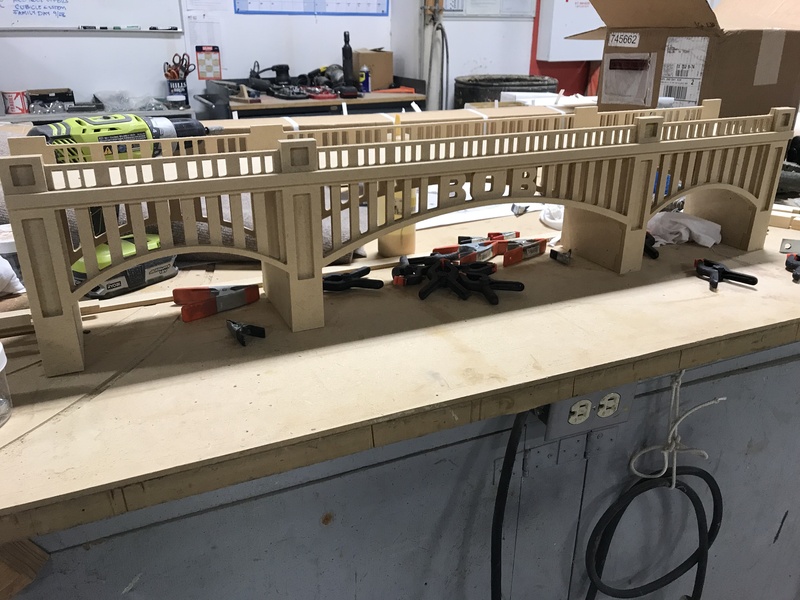 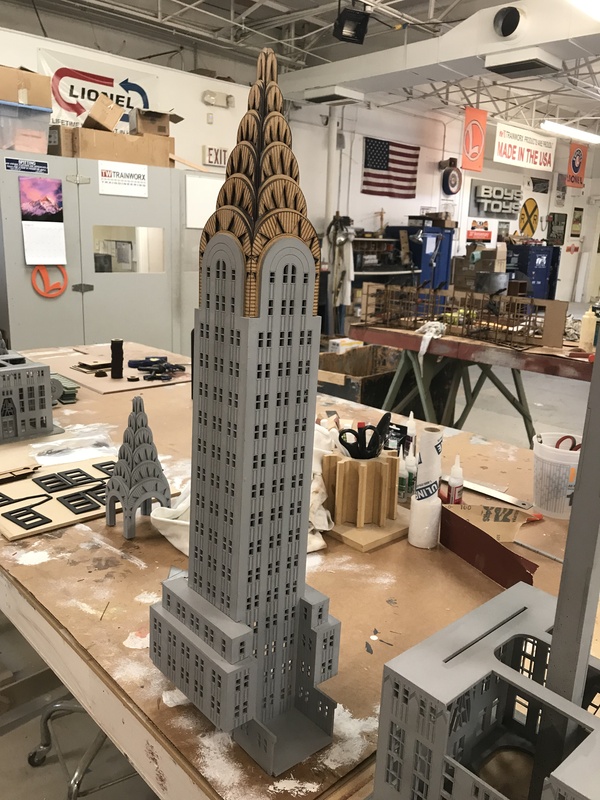 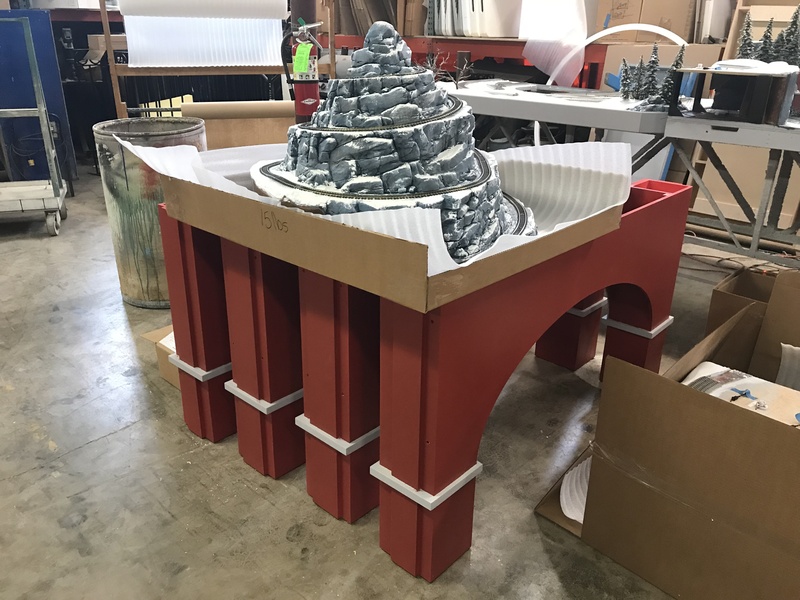 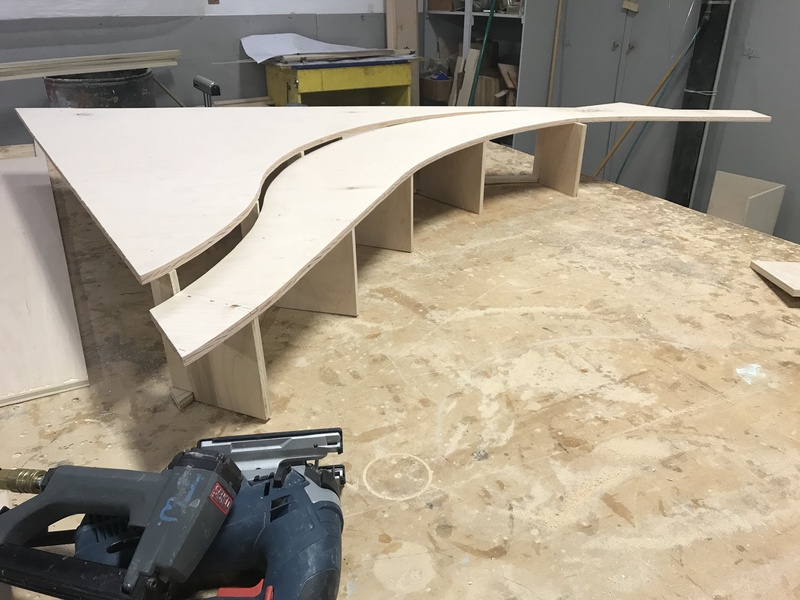 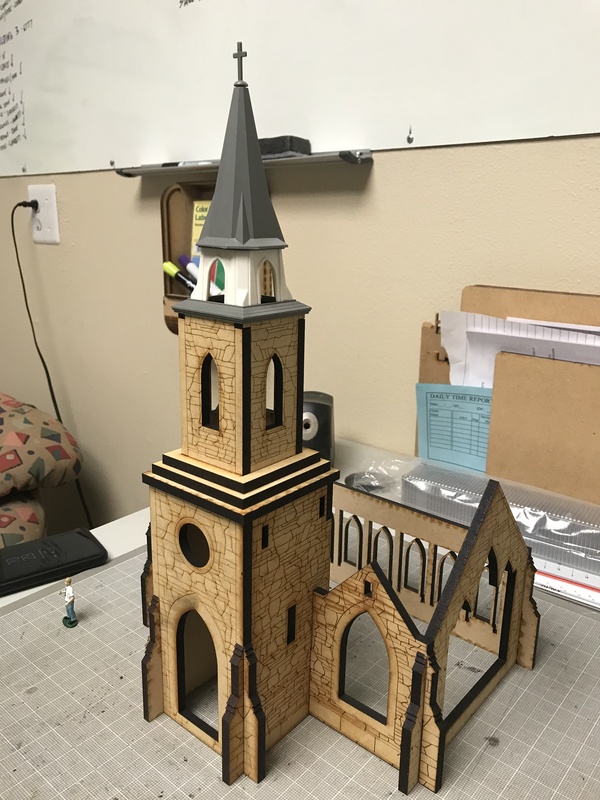 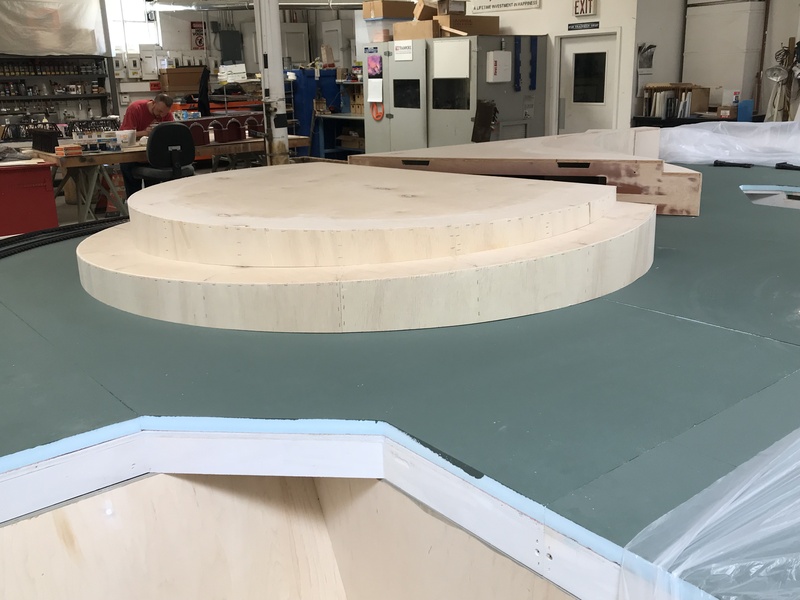 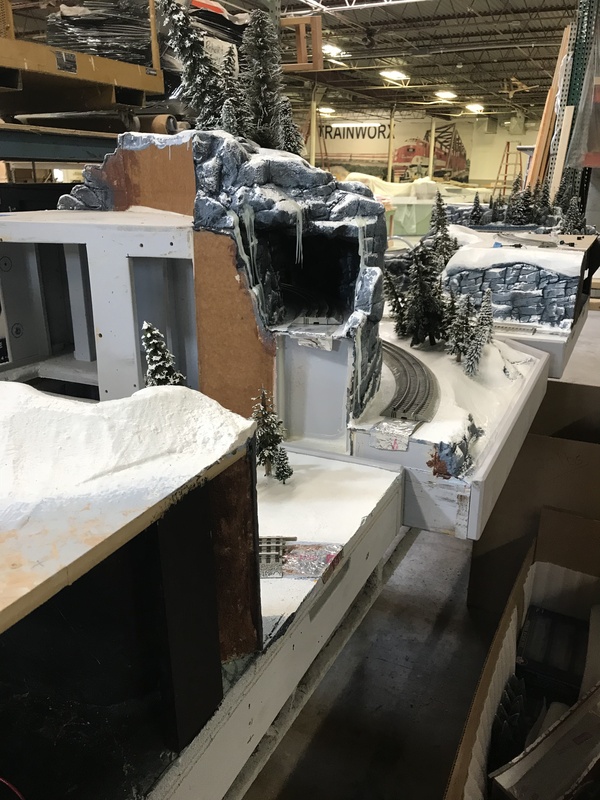 This is a 4′ x 6′ table top that will be placed on our customer’s existing desk (very cool desk I may add) and their teenage son will be finishing the layout himself adding buildings, scenic touches, and whatever his imagination dreams up 🙂 We’ll be carving mountains soon! 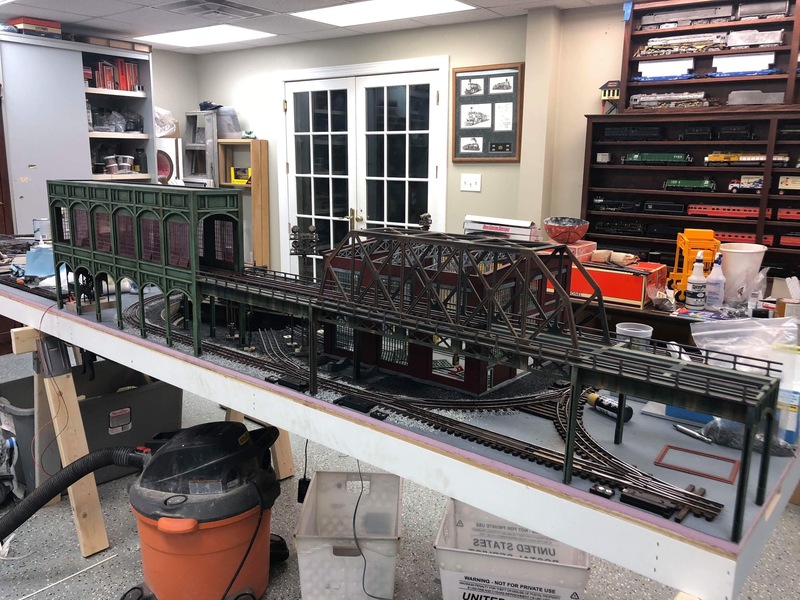 The Suspended RR is in place and Traingineer Garrett finished up the four bridges that will span the center section. 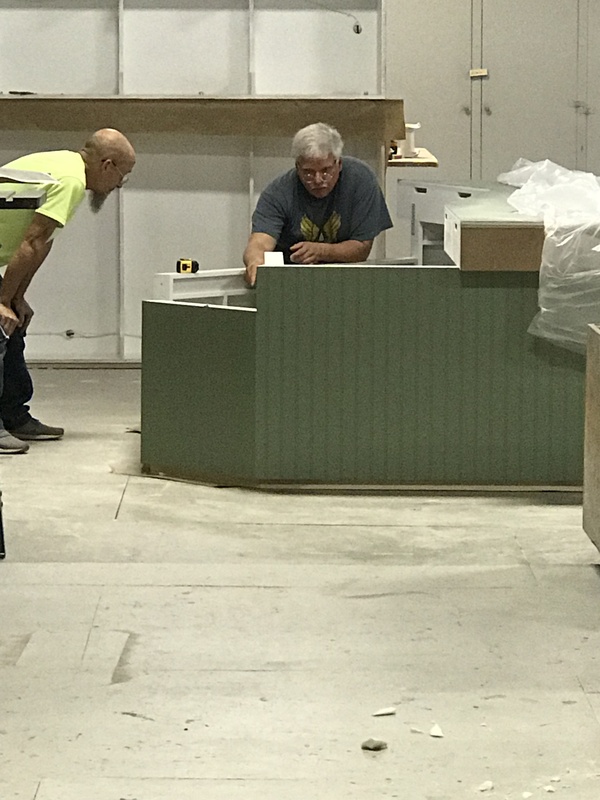 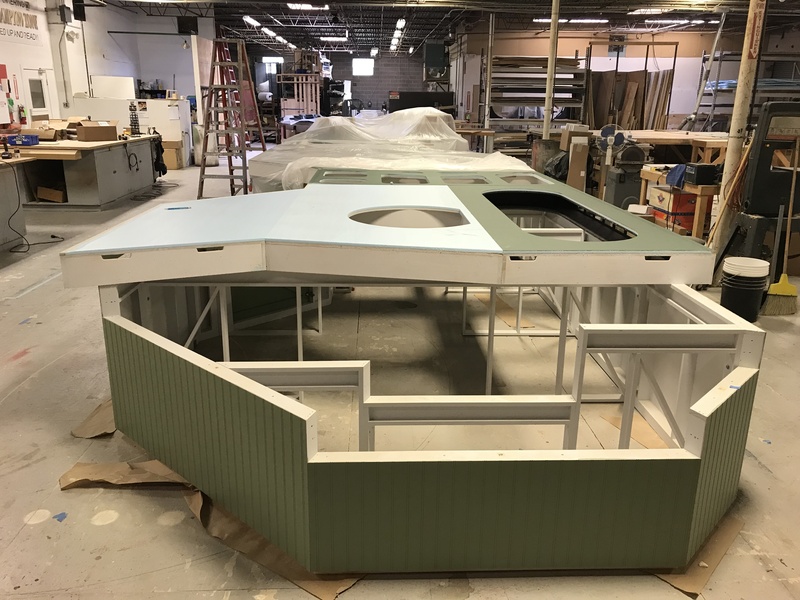 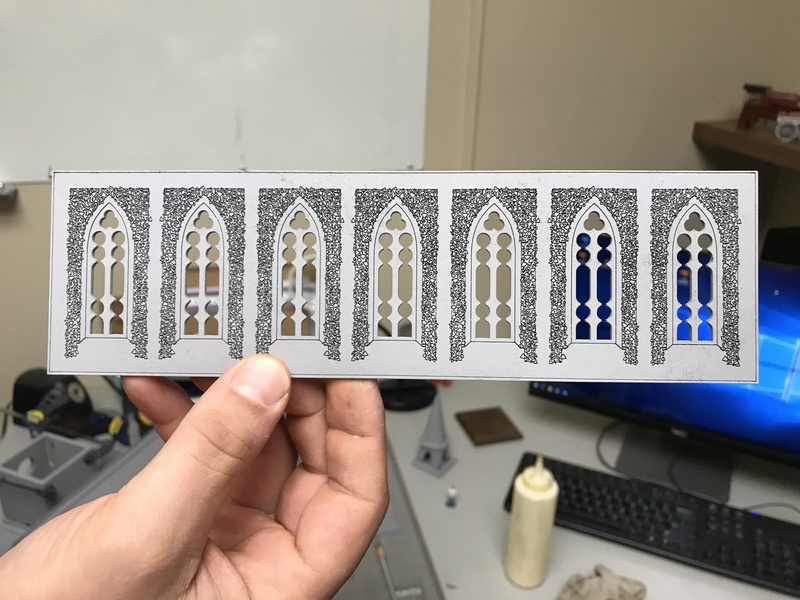 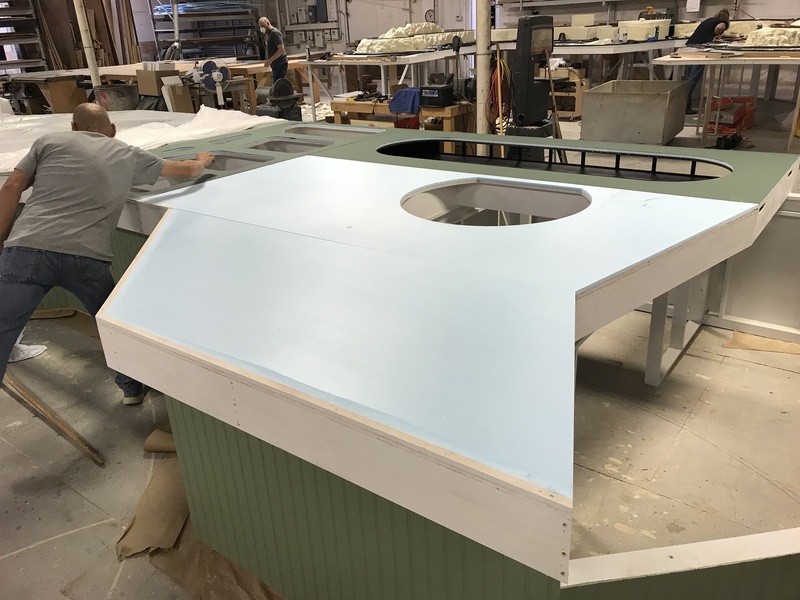 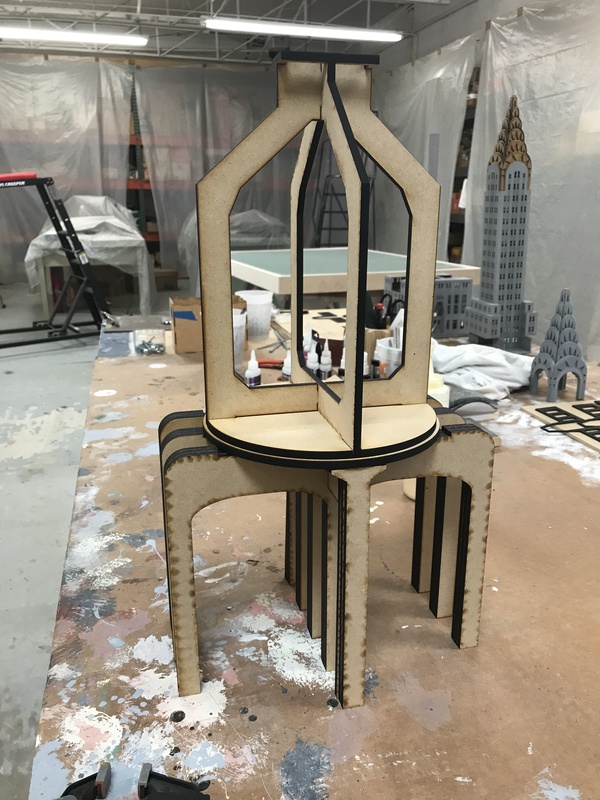 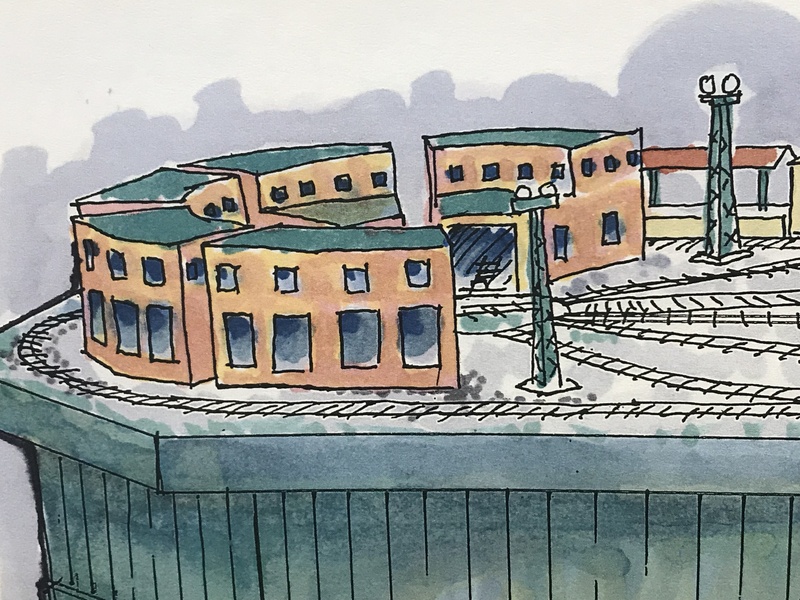 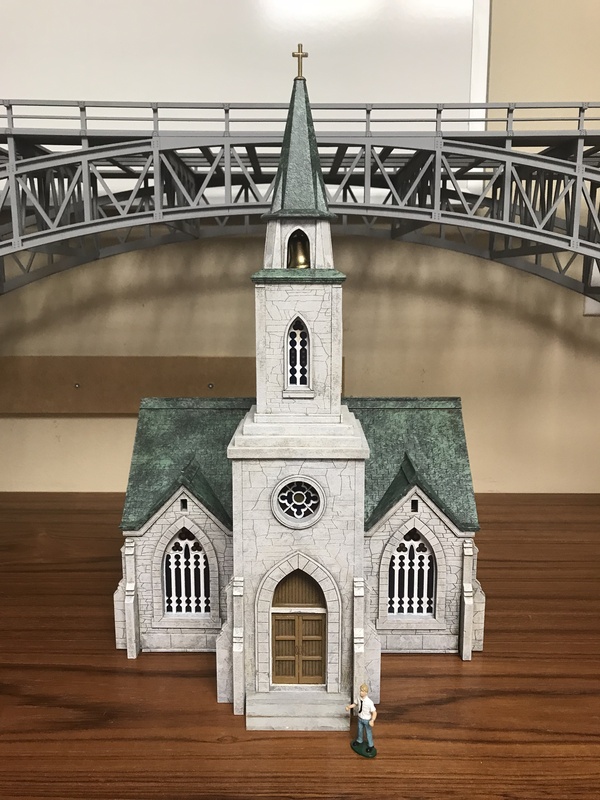 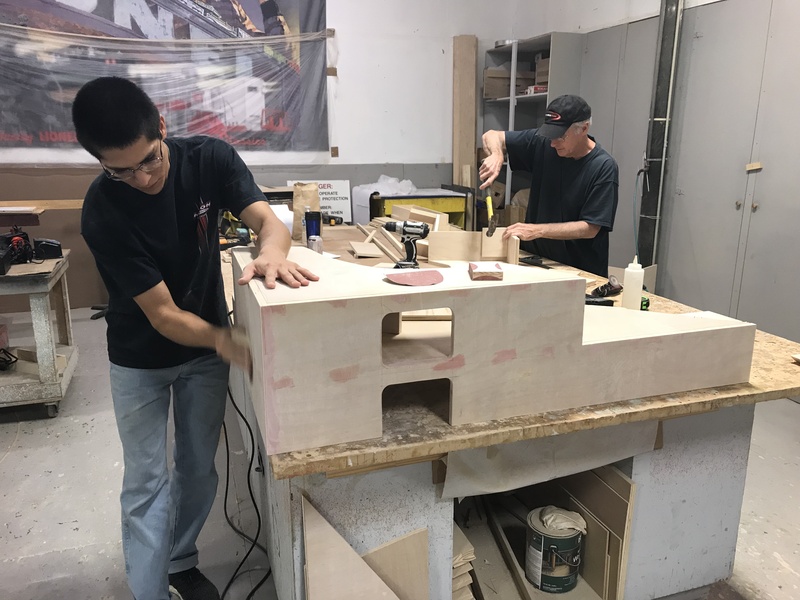 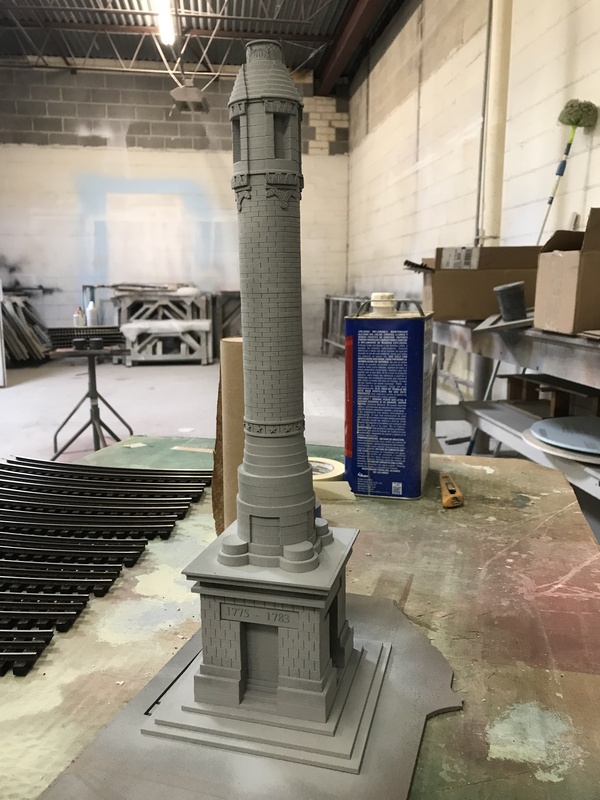 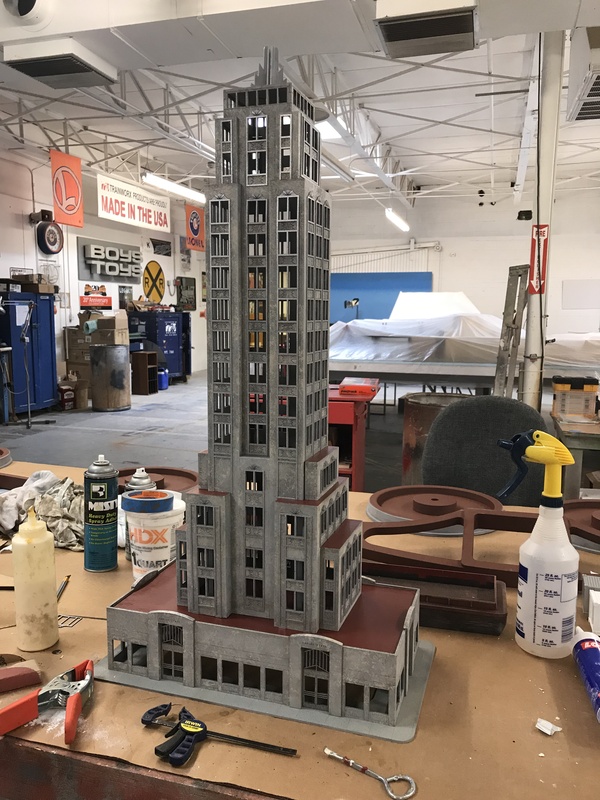 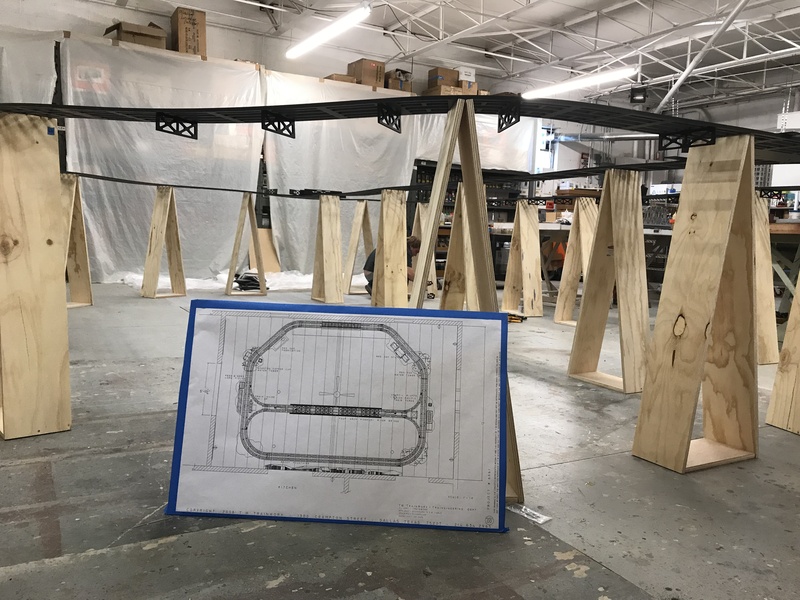 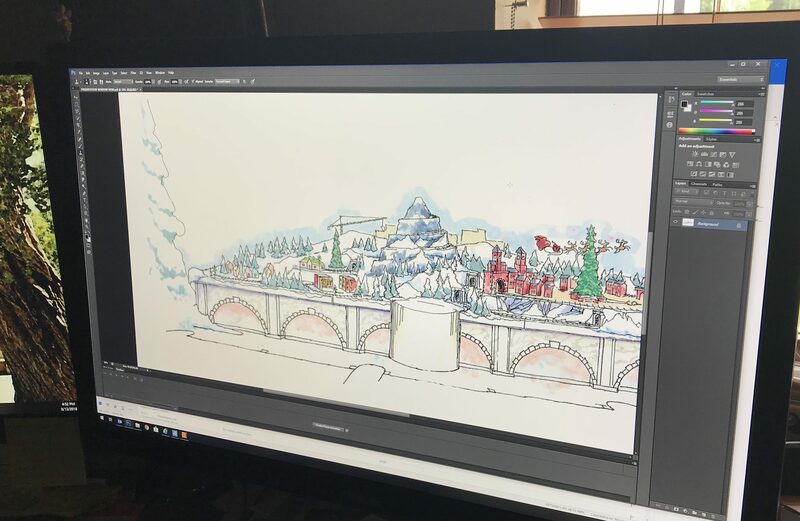 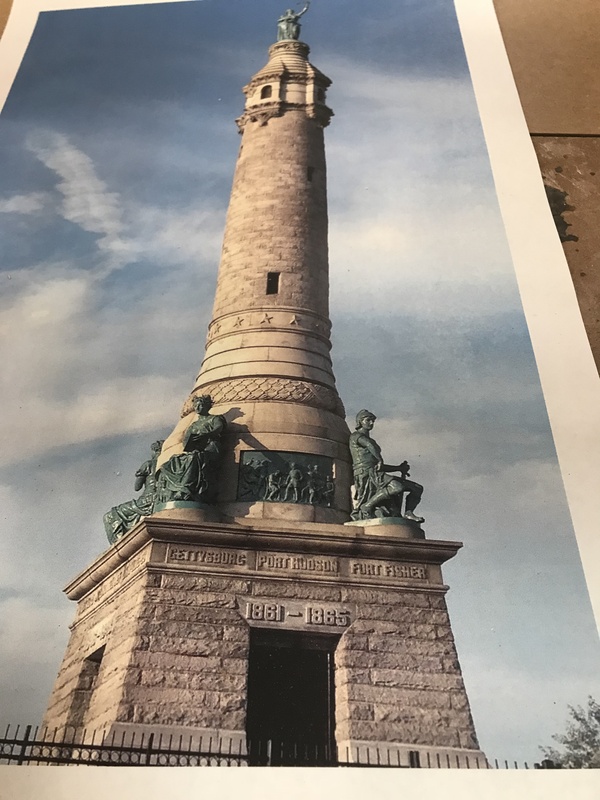 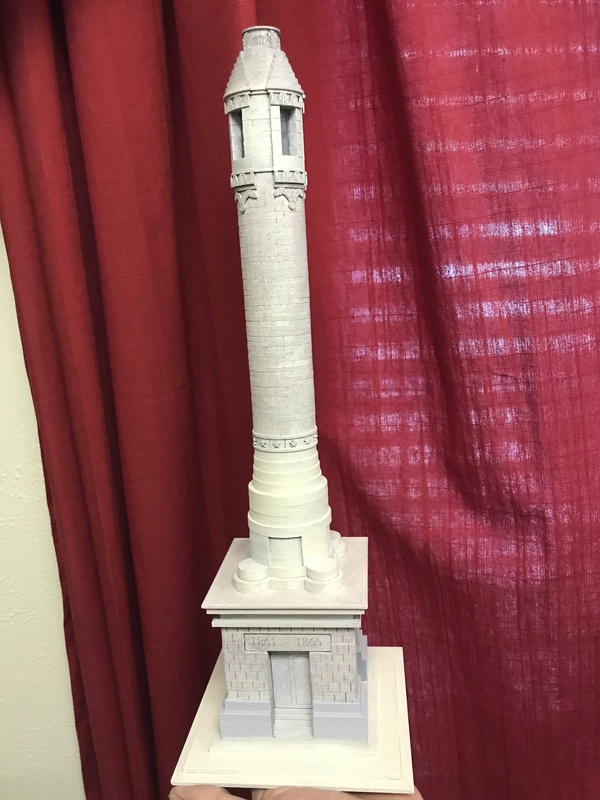 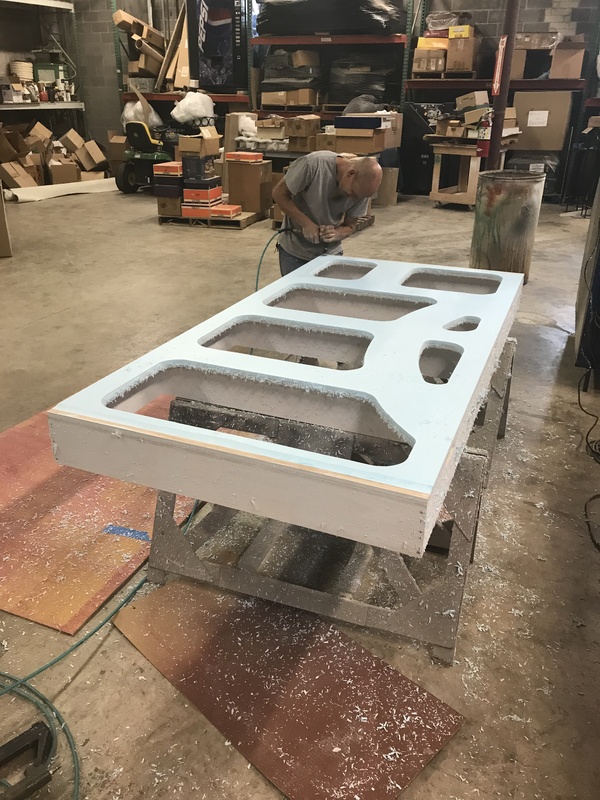 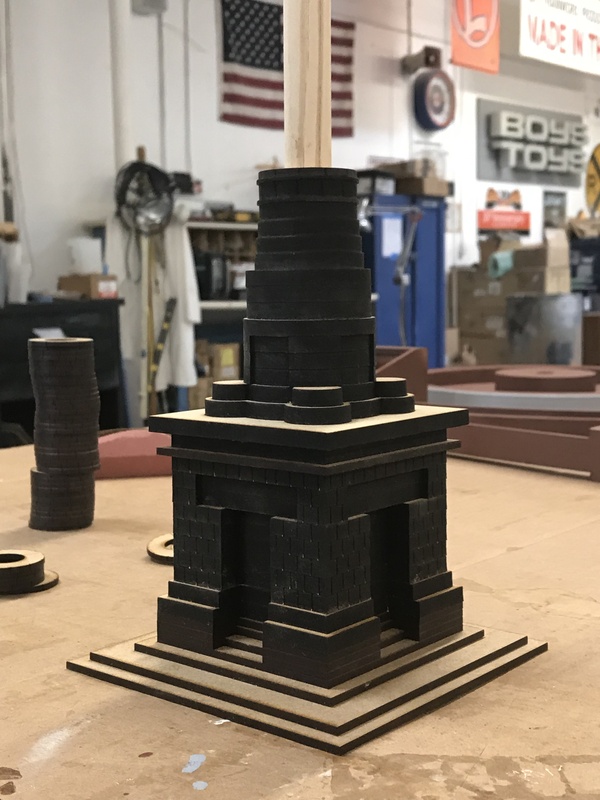 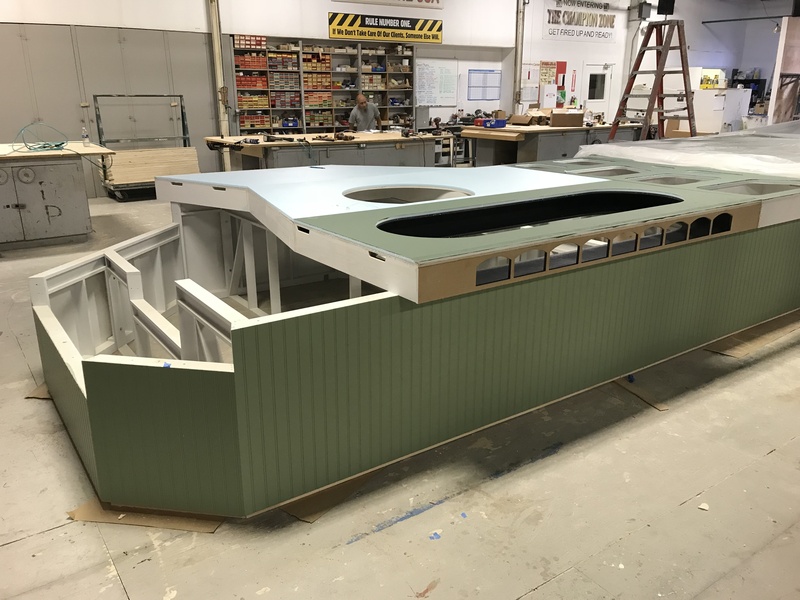 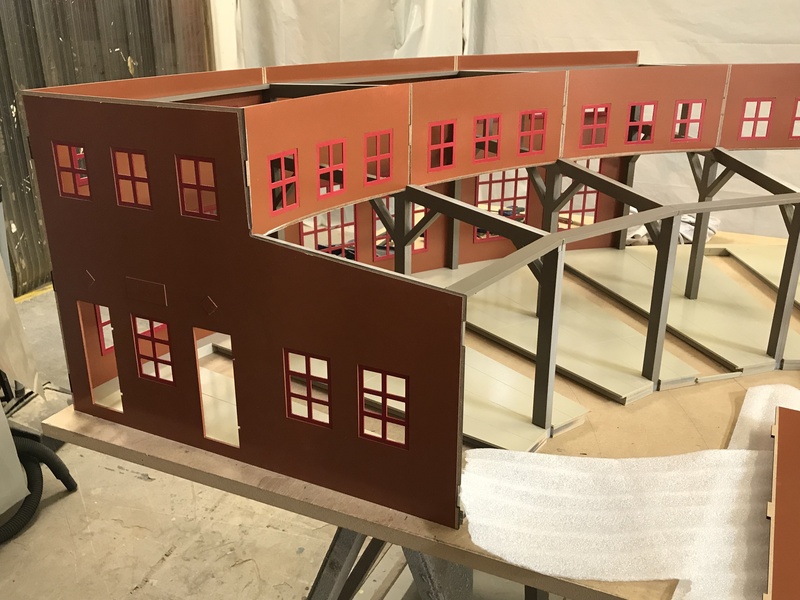 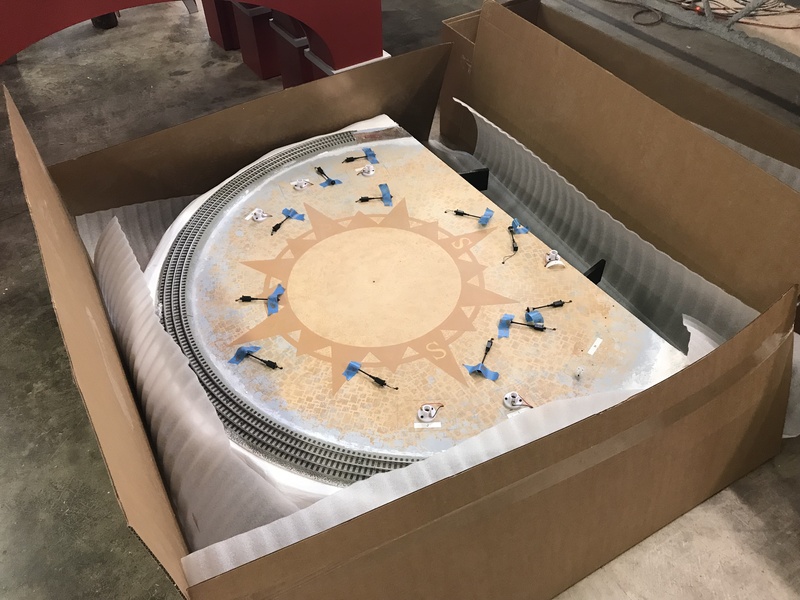 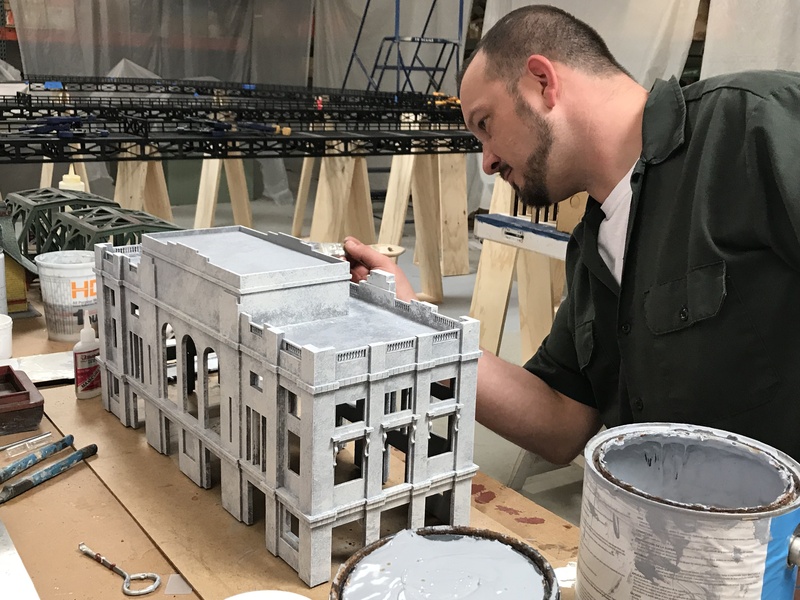 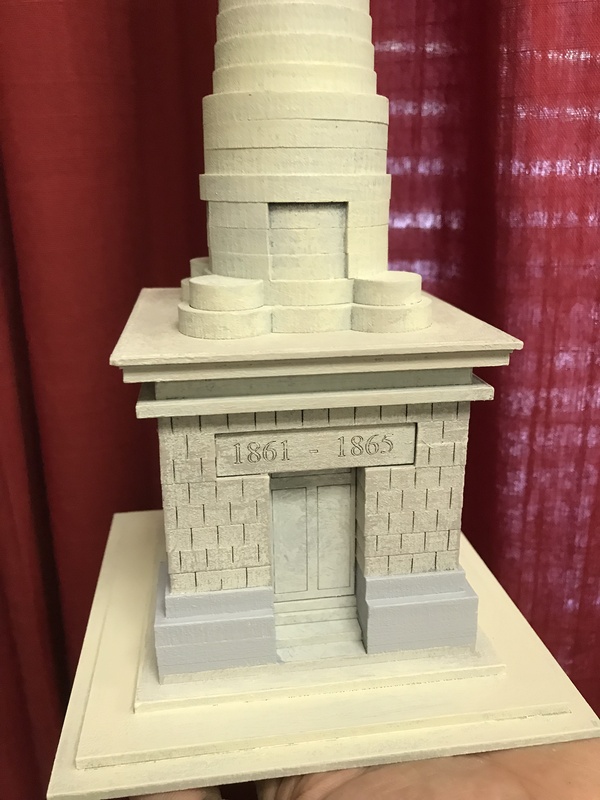 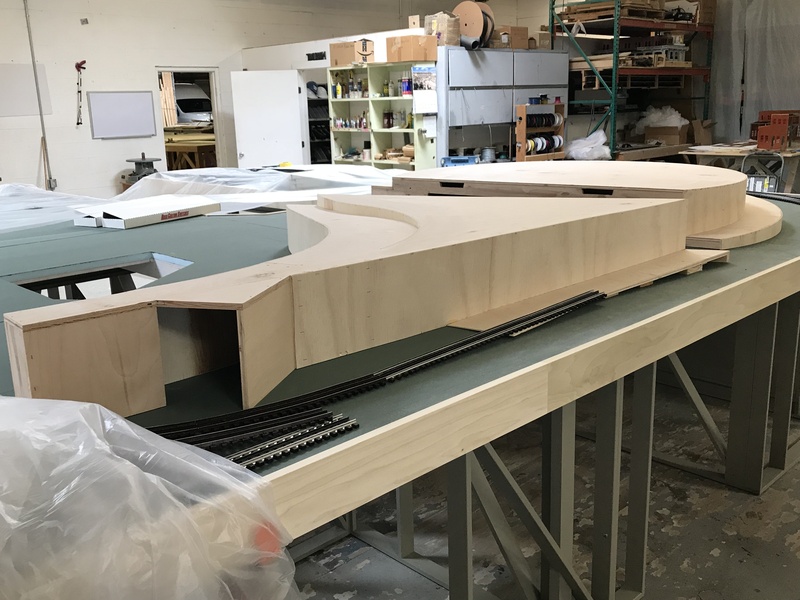 Make A Wish Angel’s Family will be visiting 9/28/18 to see Roger’s train room design come to life. 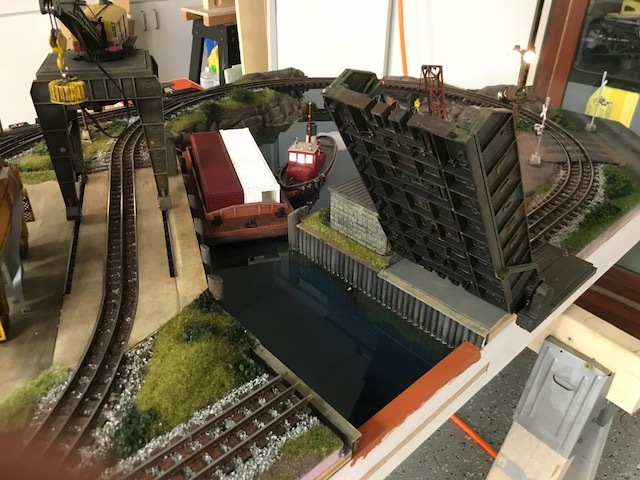 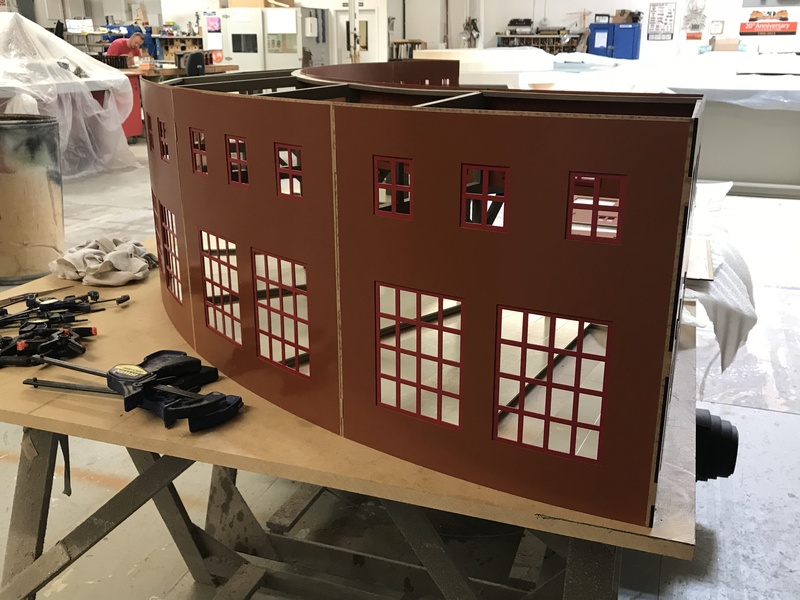 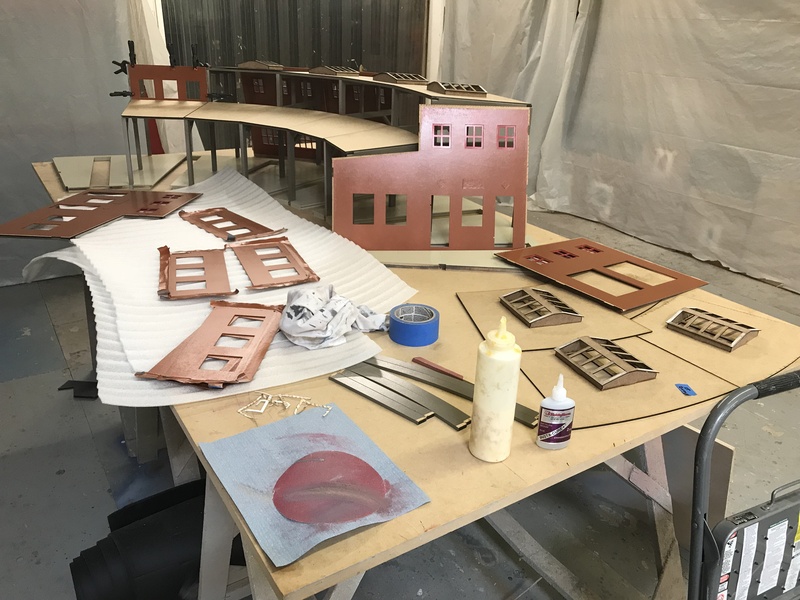 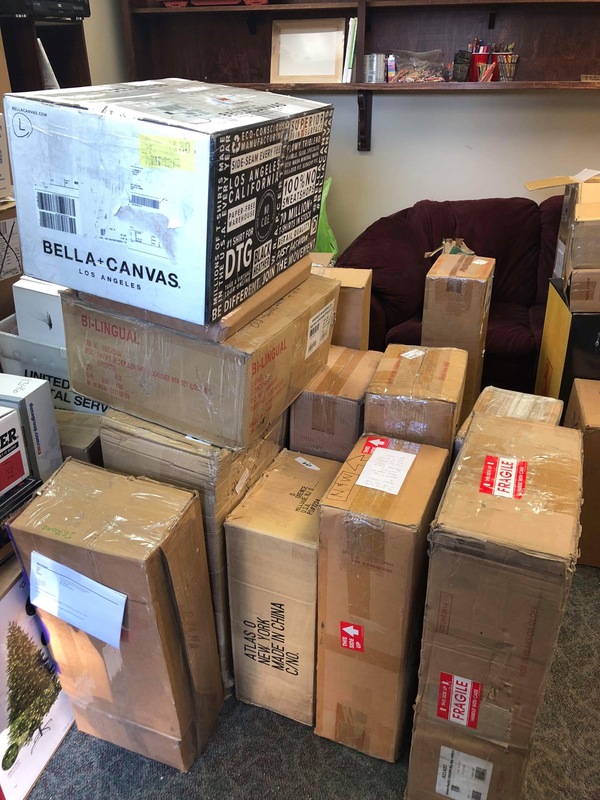 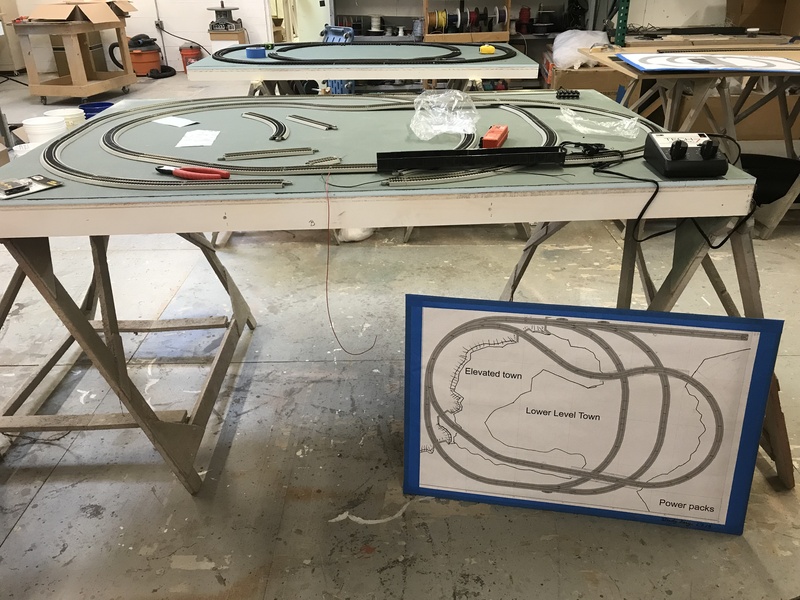 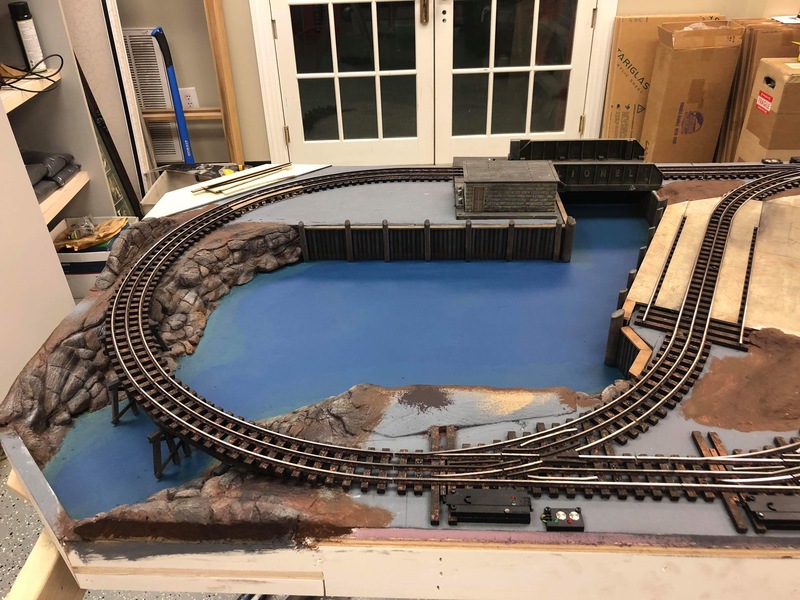 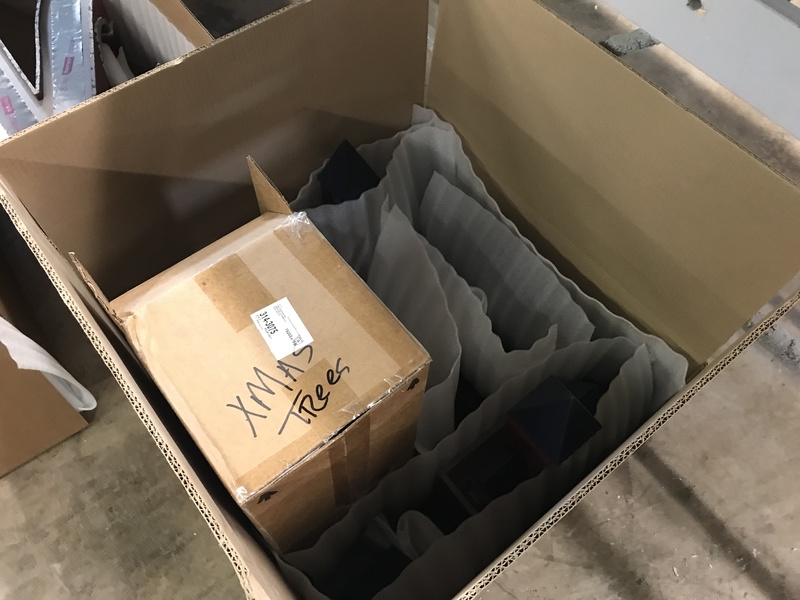 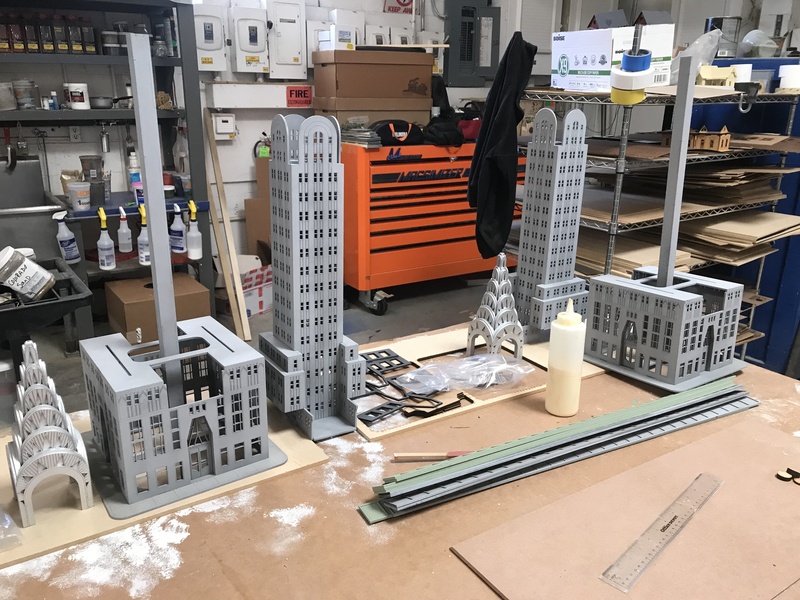 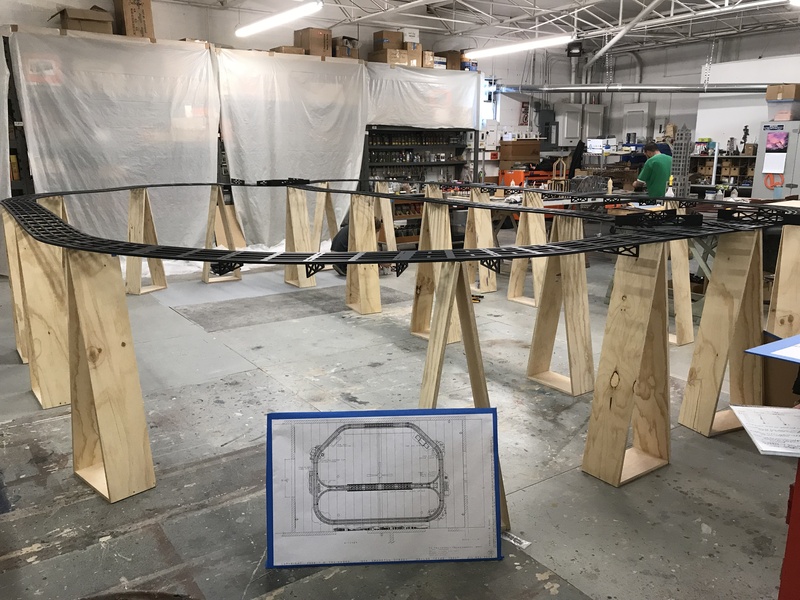 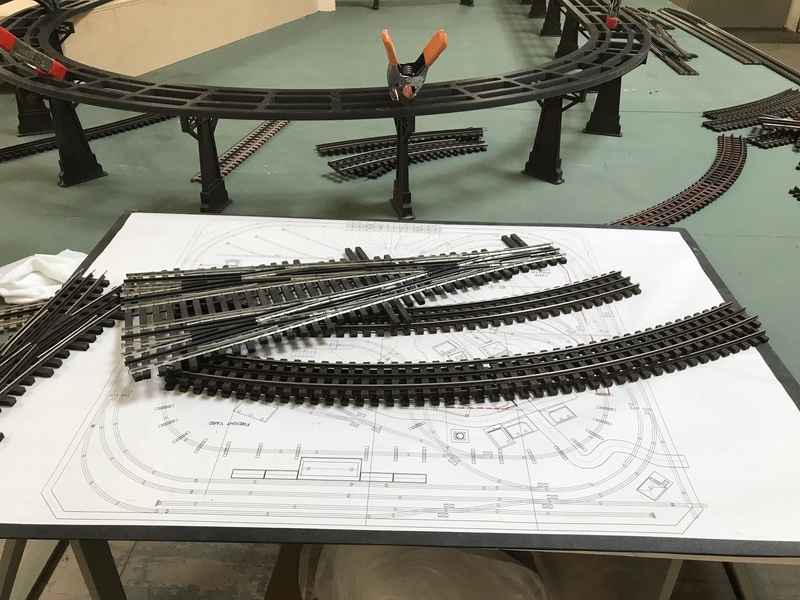 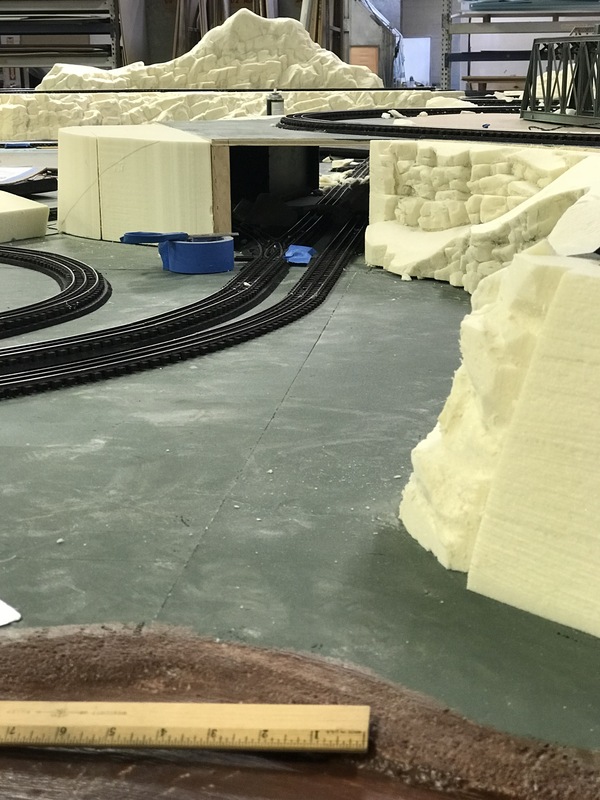 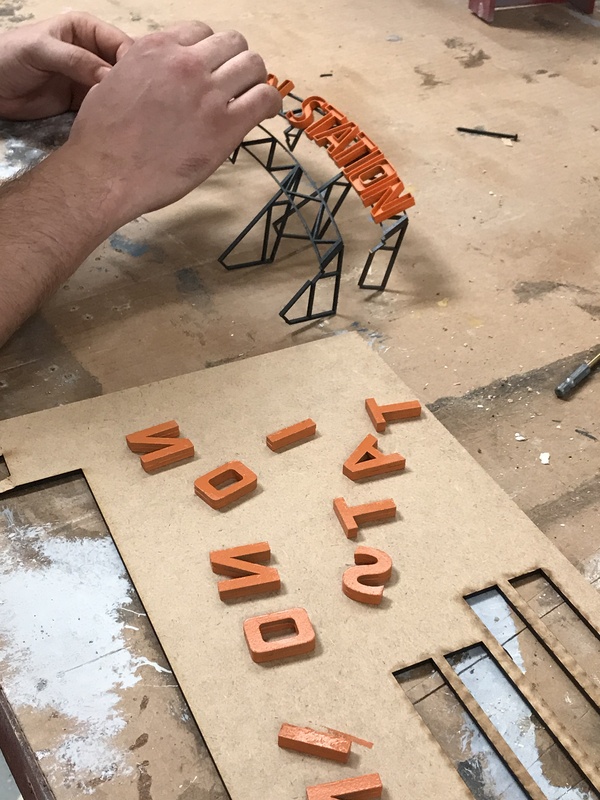 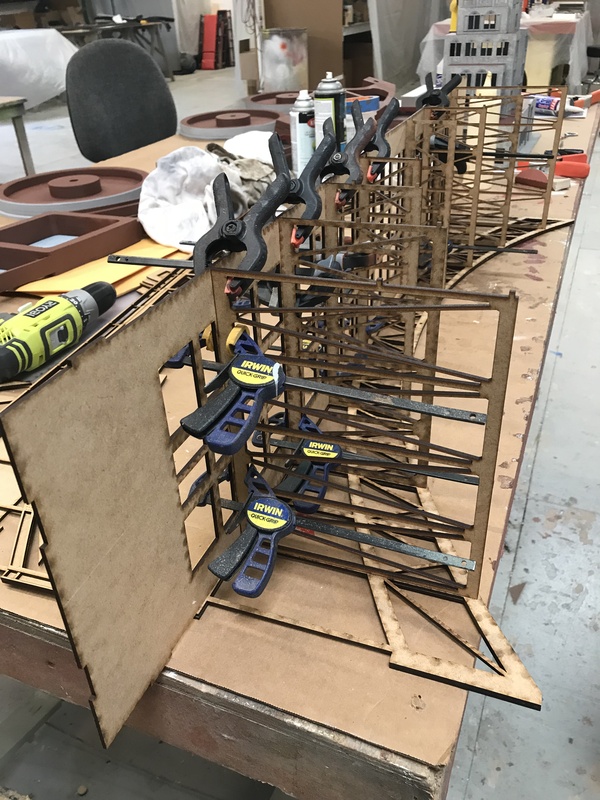 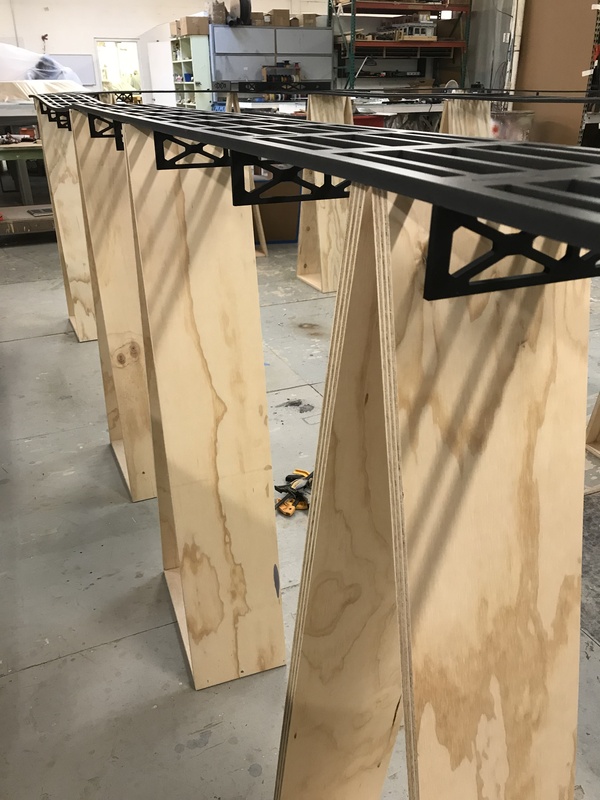 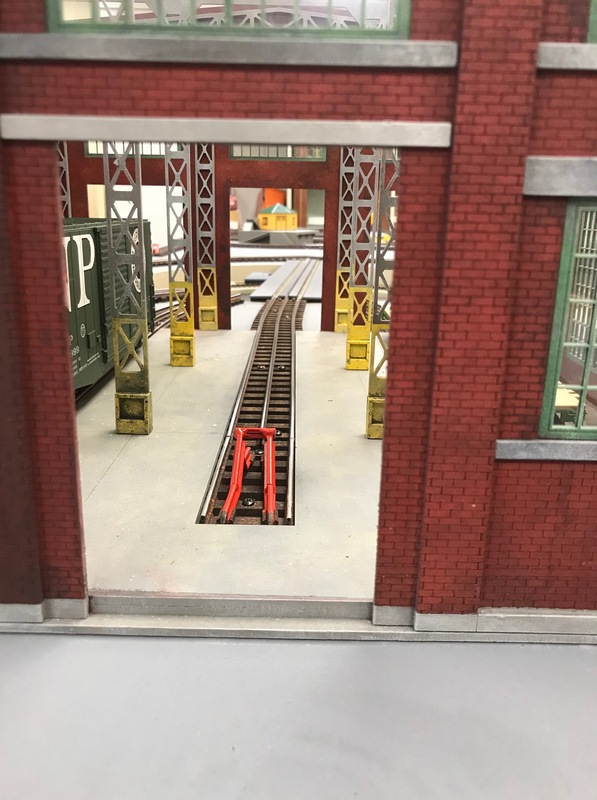 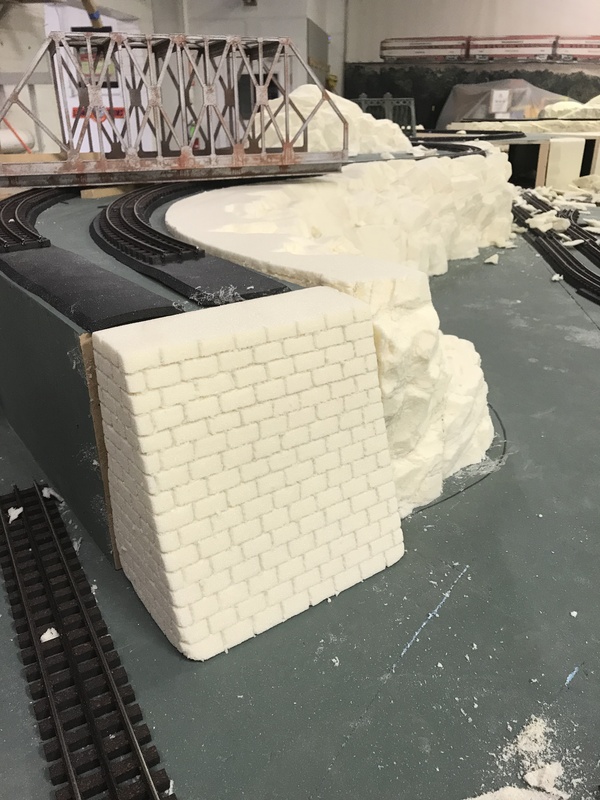 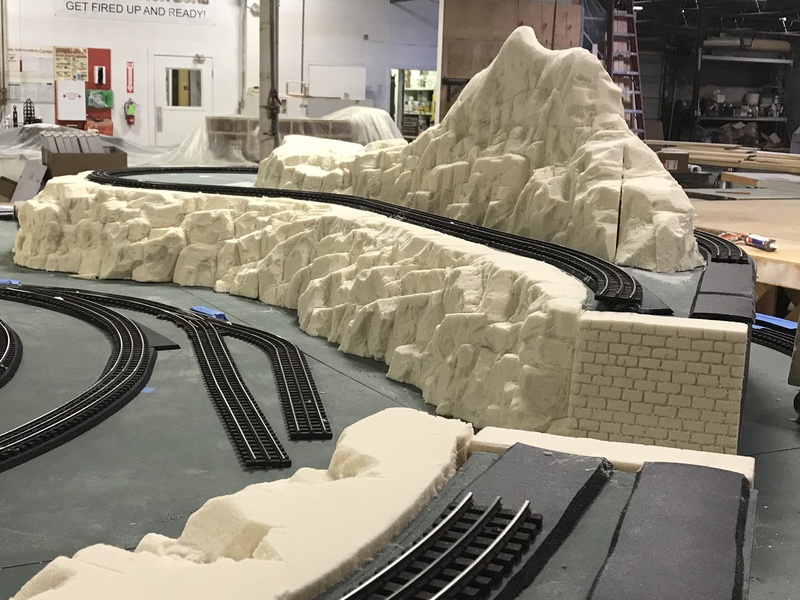 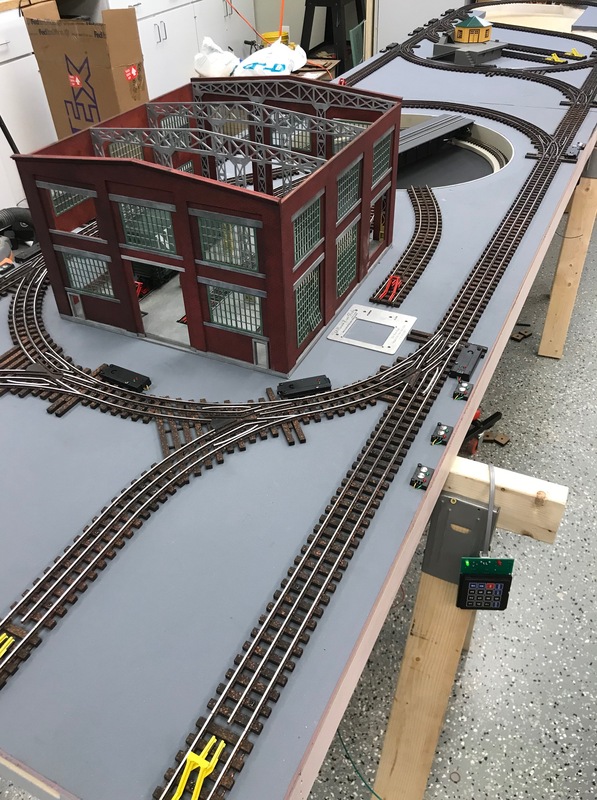 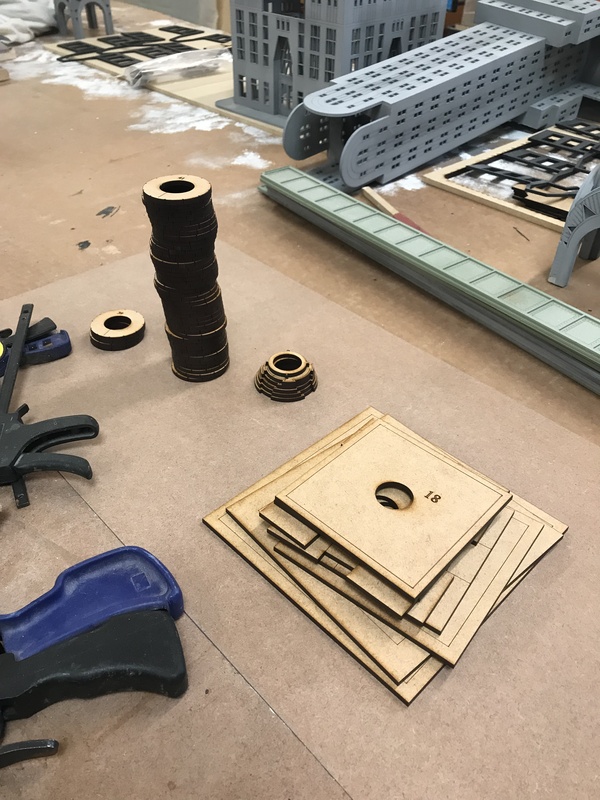 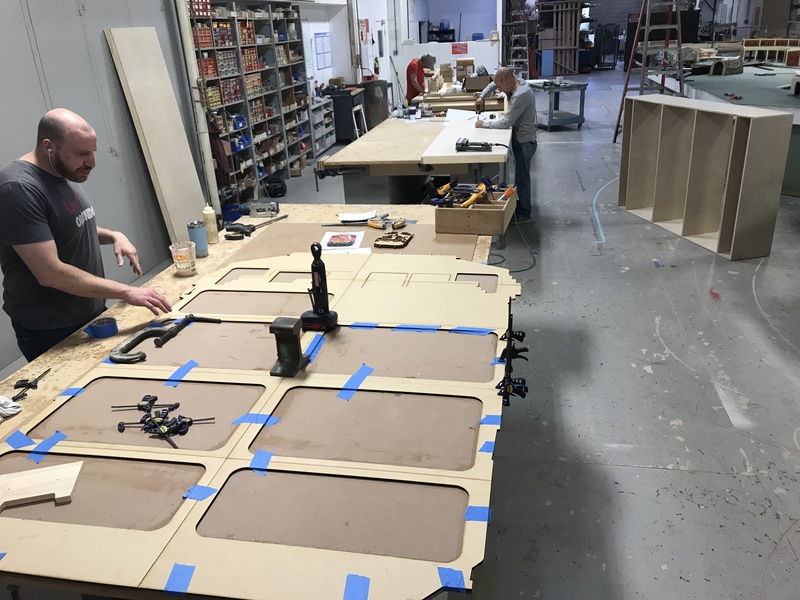 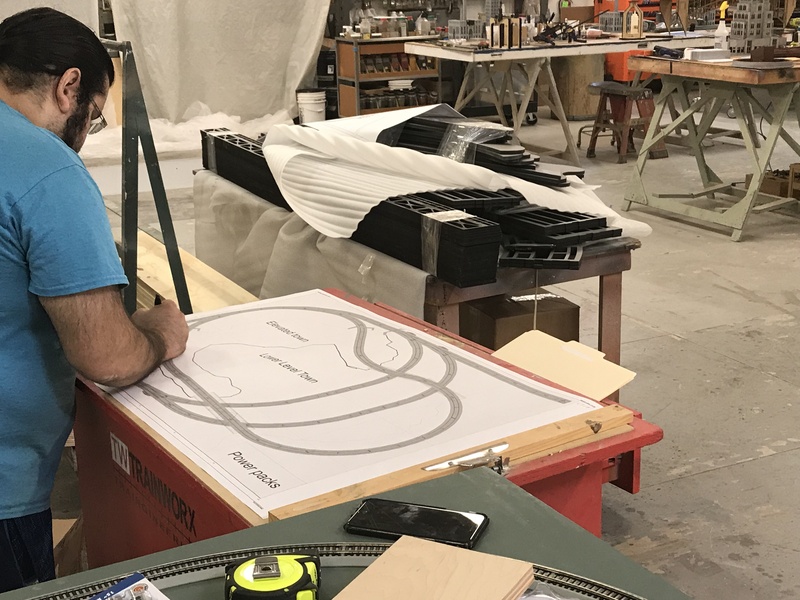 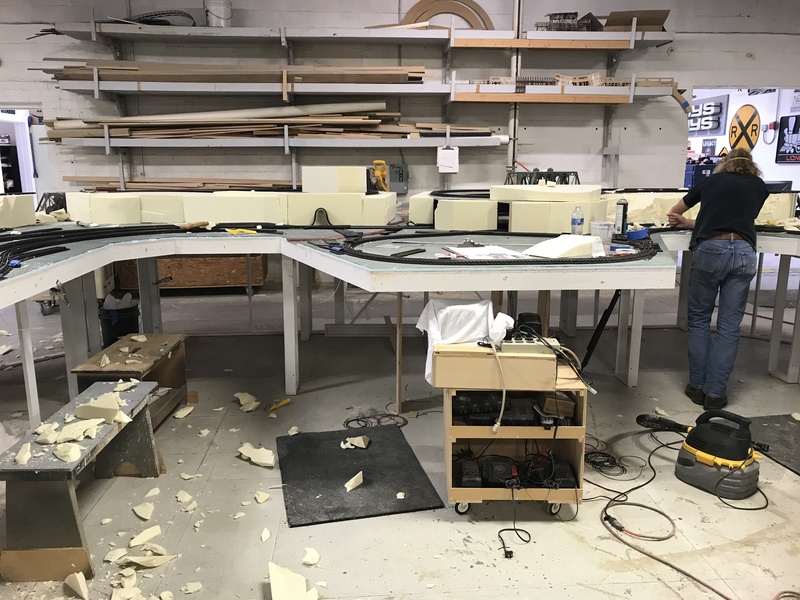 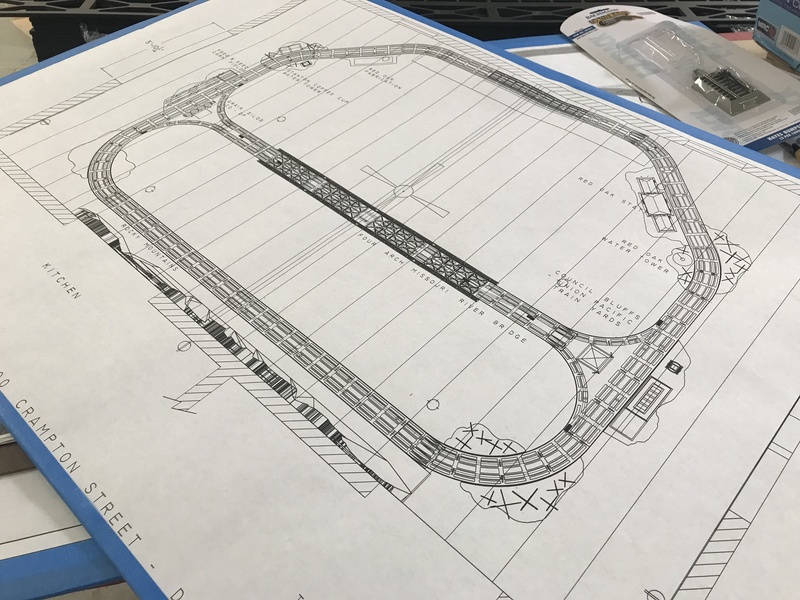 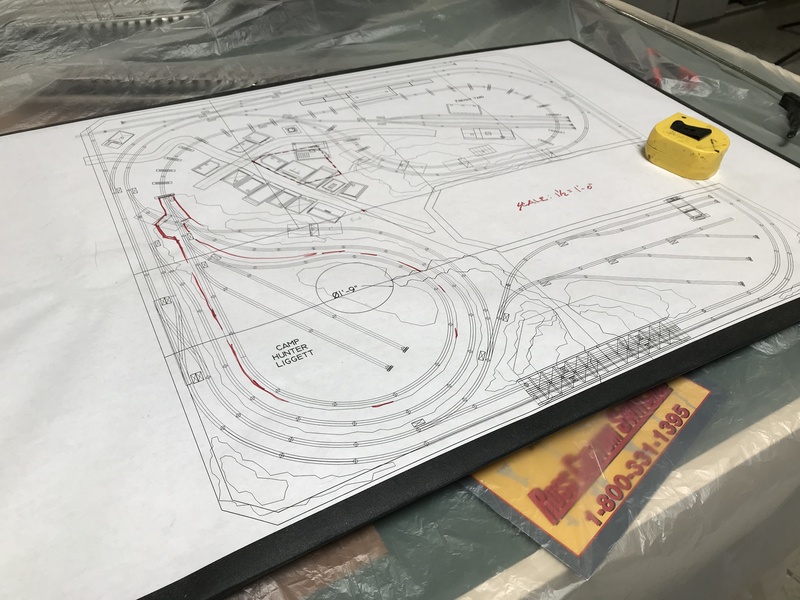 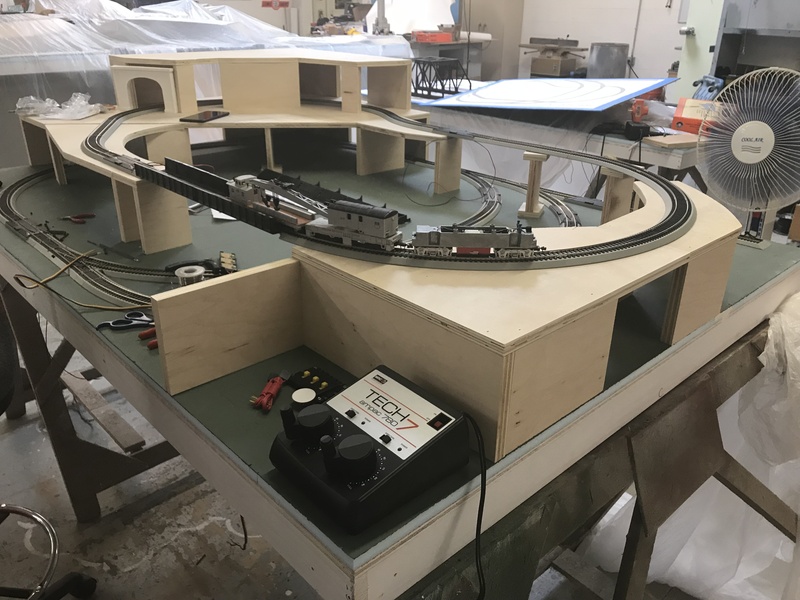 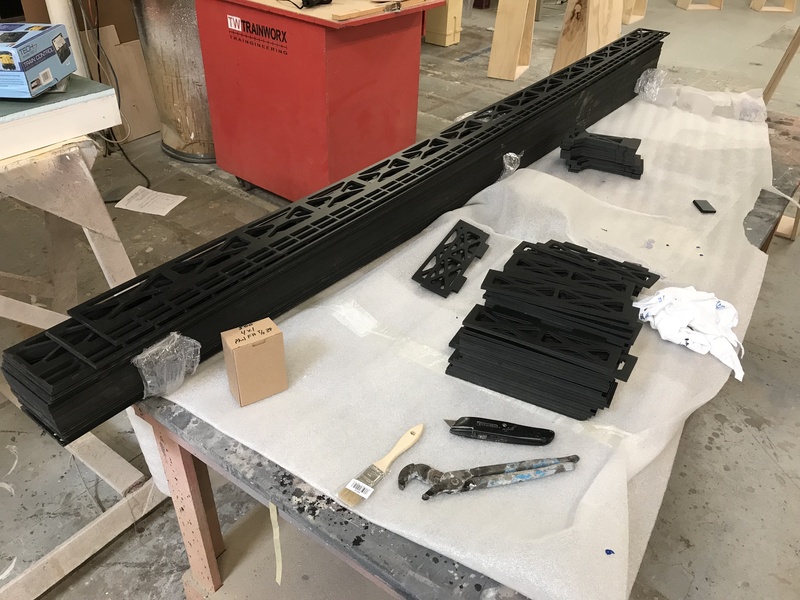 Reagan is putting the finishing touches to an incredible layout extension for our dear customer in New Jersey and next month both Reagan and Roger with the help of our “On Call” Traingineer, Alex will be installing and attaching to existing layout. 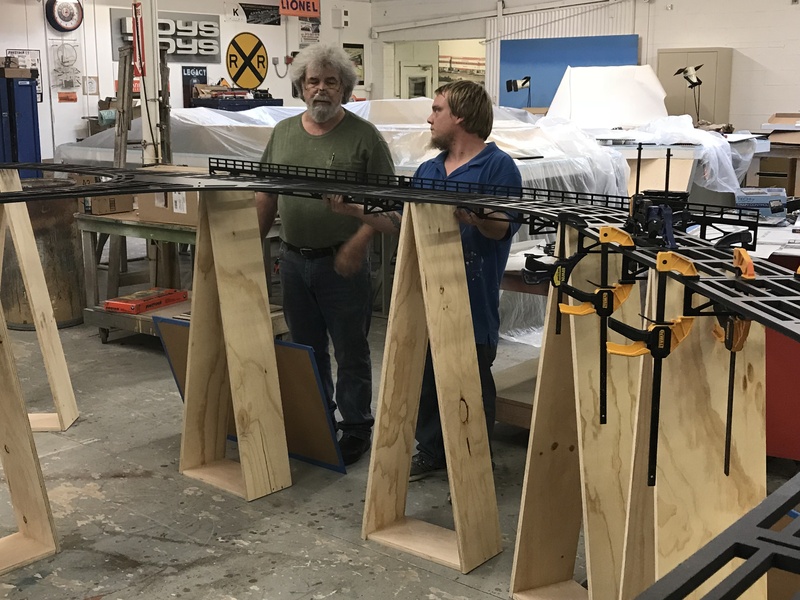 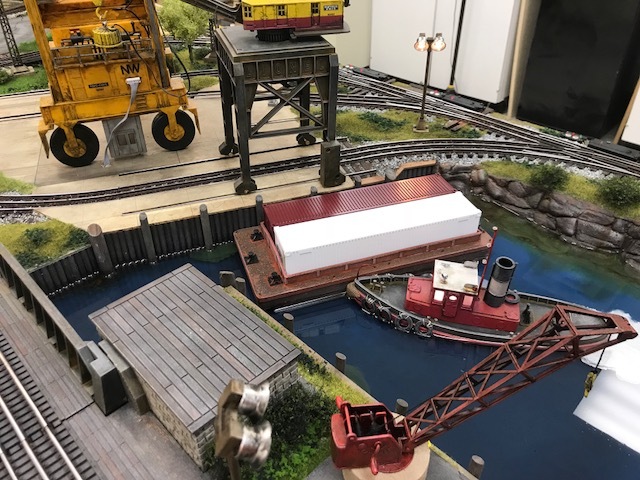 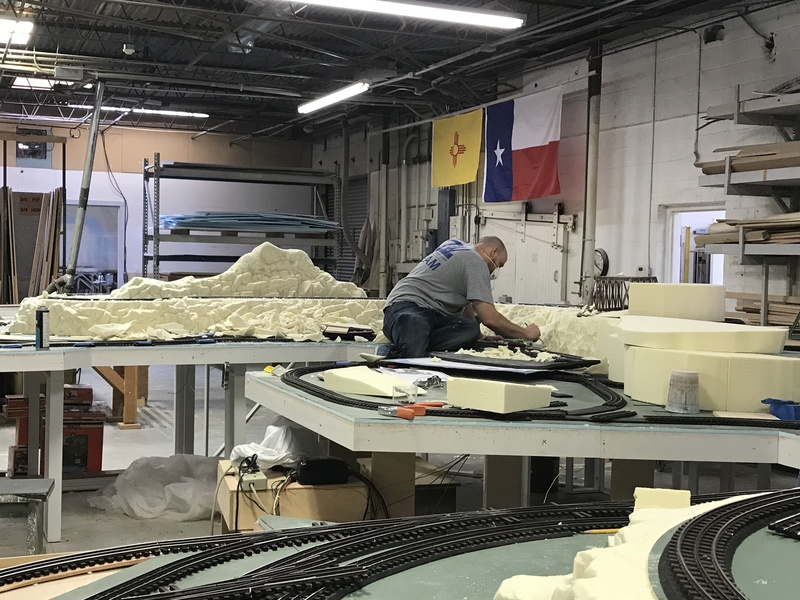 We’re preparing for Fall York where Reagan and Roy will be representing TW TrainWorx this year as the Dallas Traingineers are installing layouts all over the state of Texas. 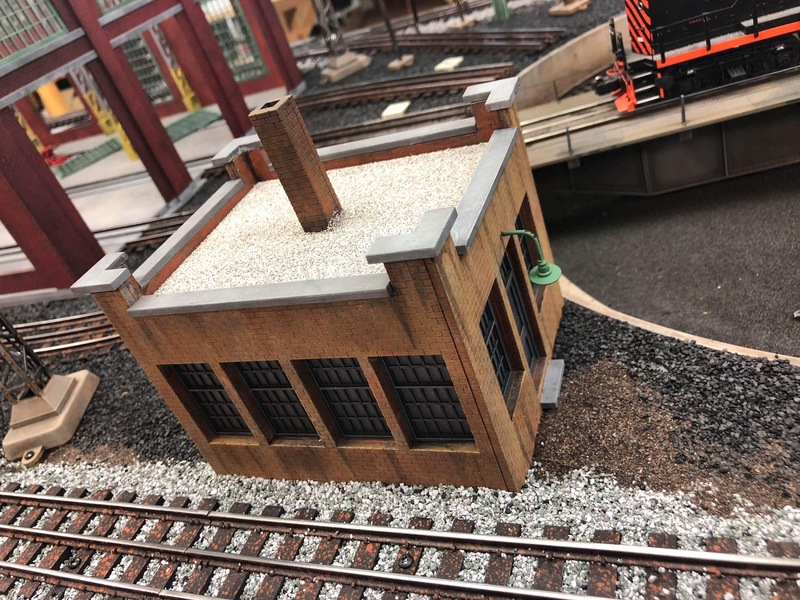 Reagan is going to be unveiling several new kits; New Haven Signal Tower, 3-Stall Engine She, and a Yard Office! 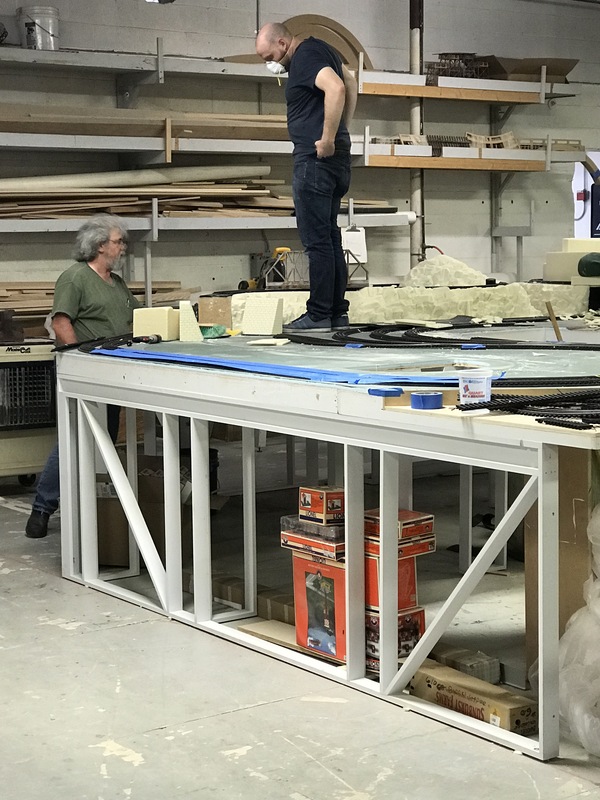 Let me, just for grins list the Industriousness and then I’ll bombard you pictures – oh and this was a SHORT WEEK to boot! 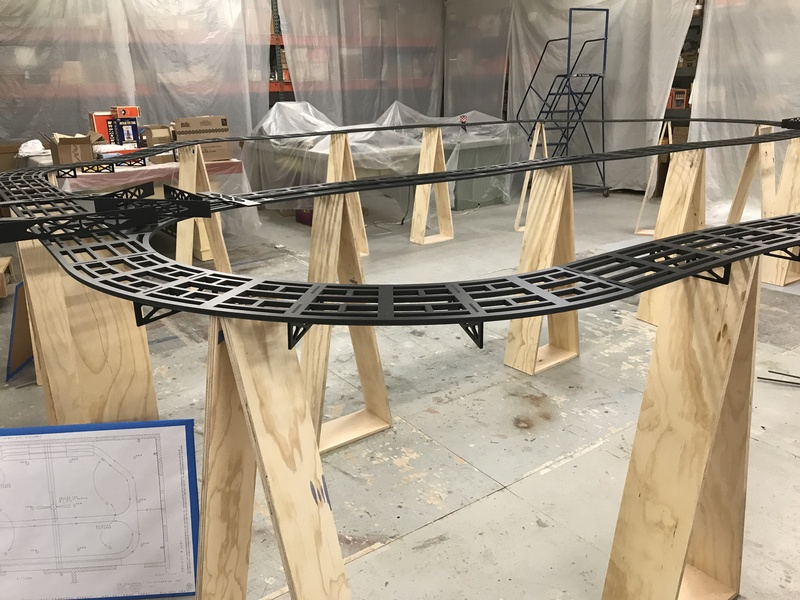 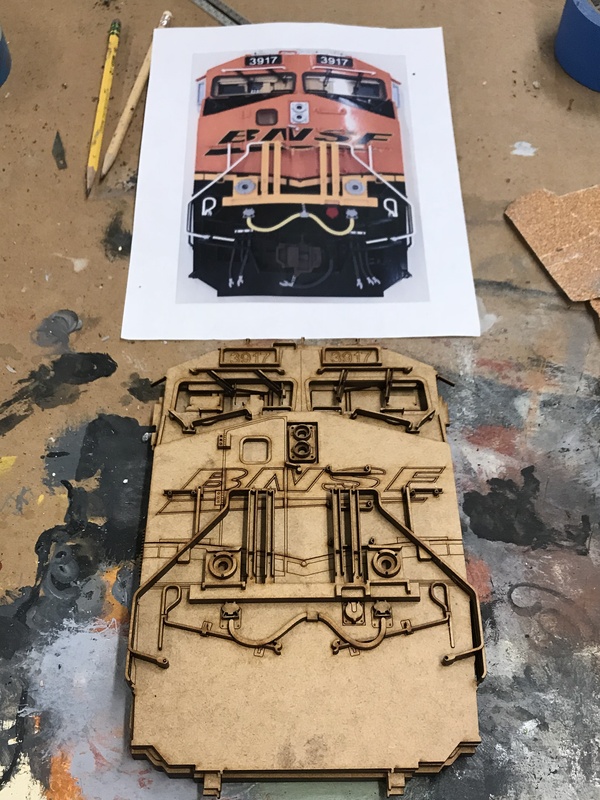 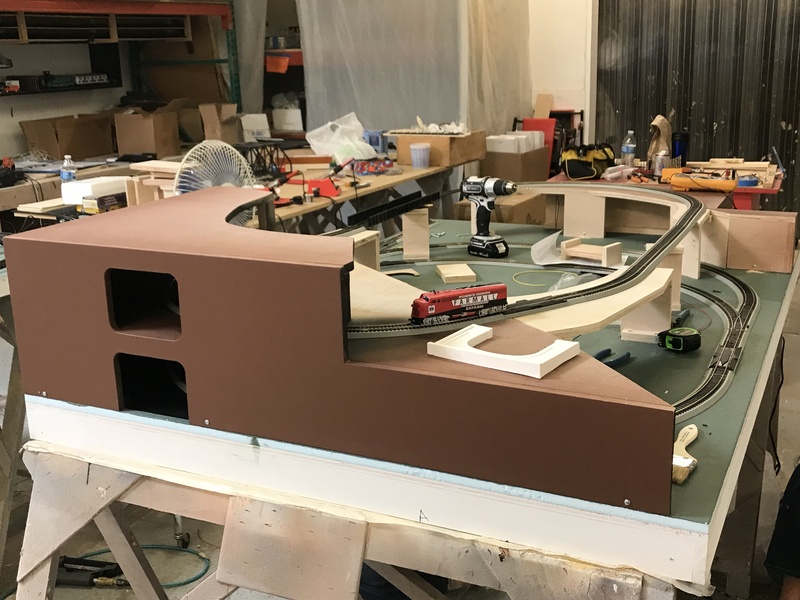 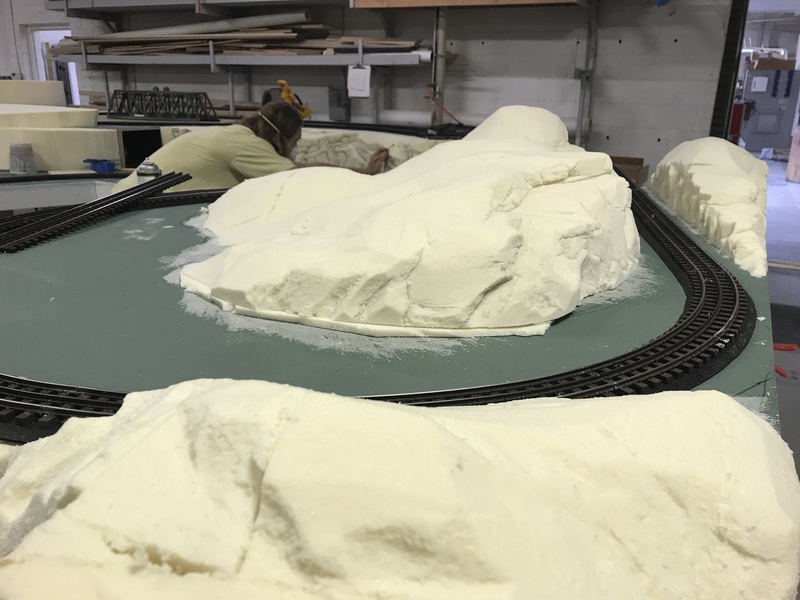 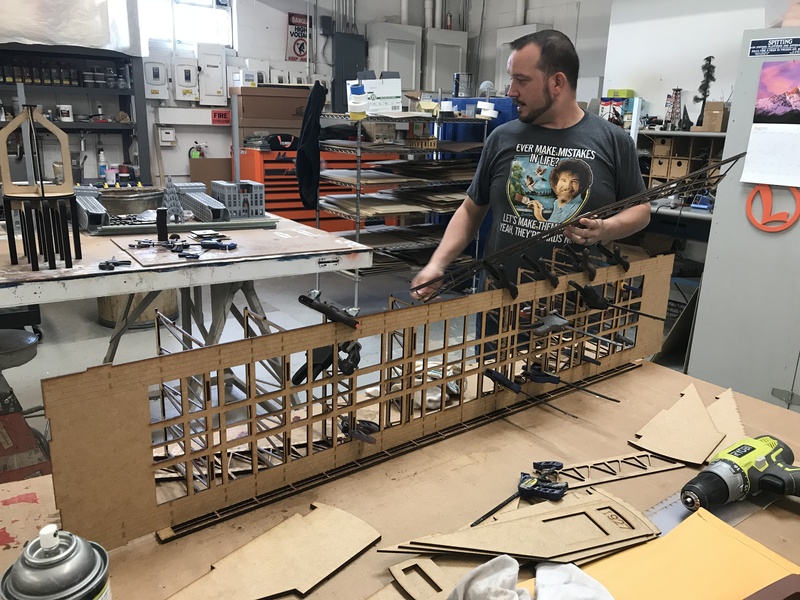 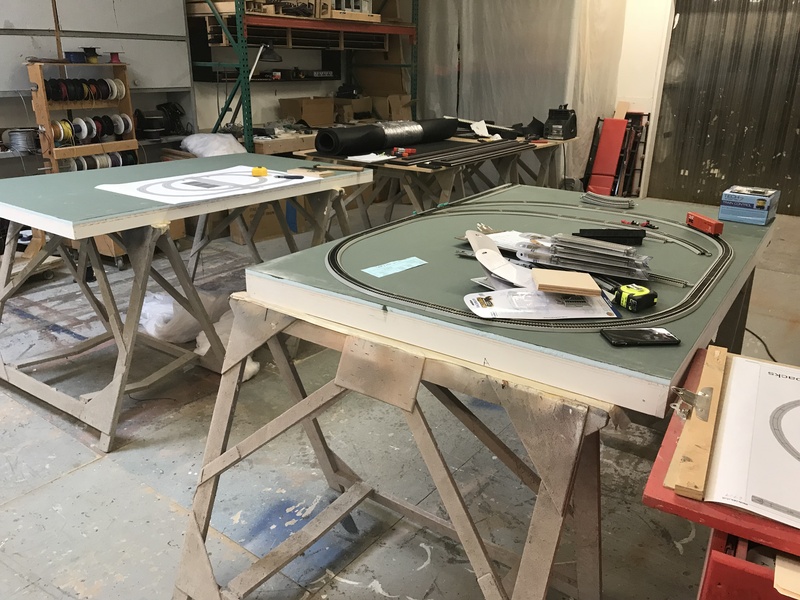 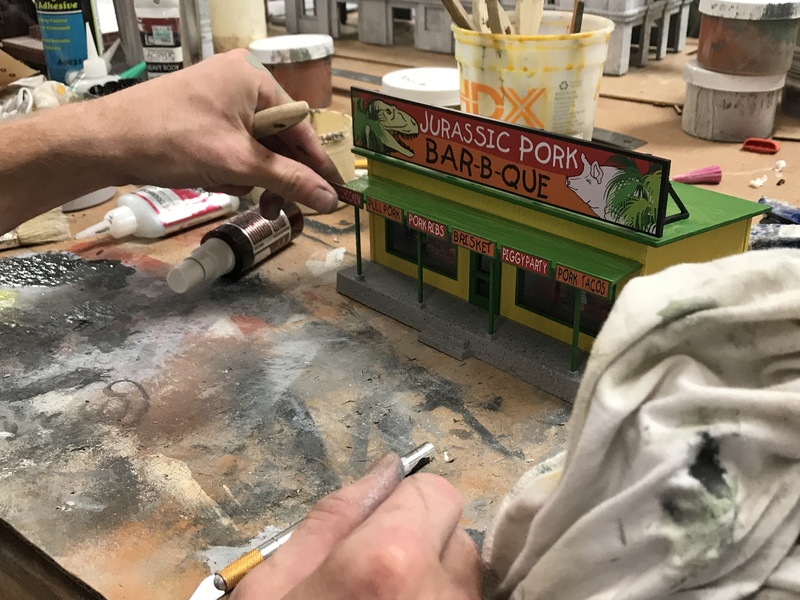 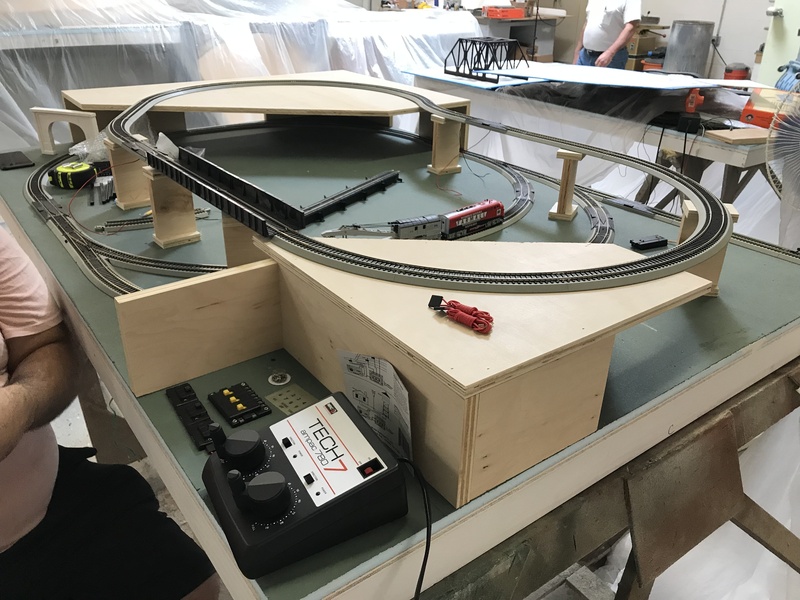 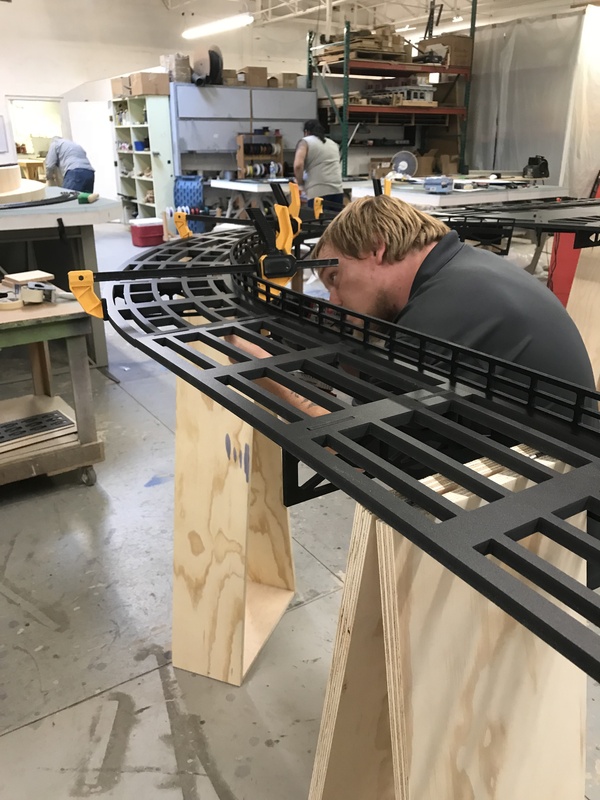 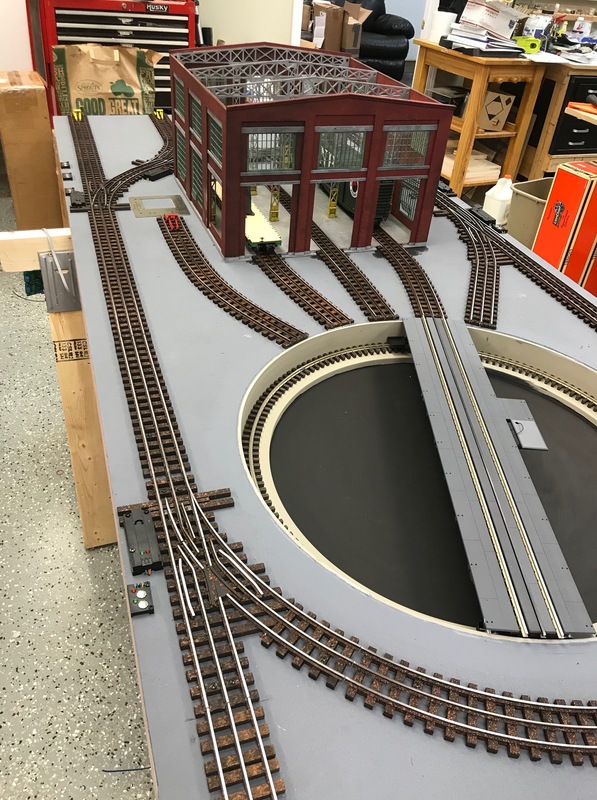 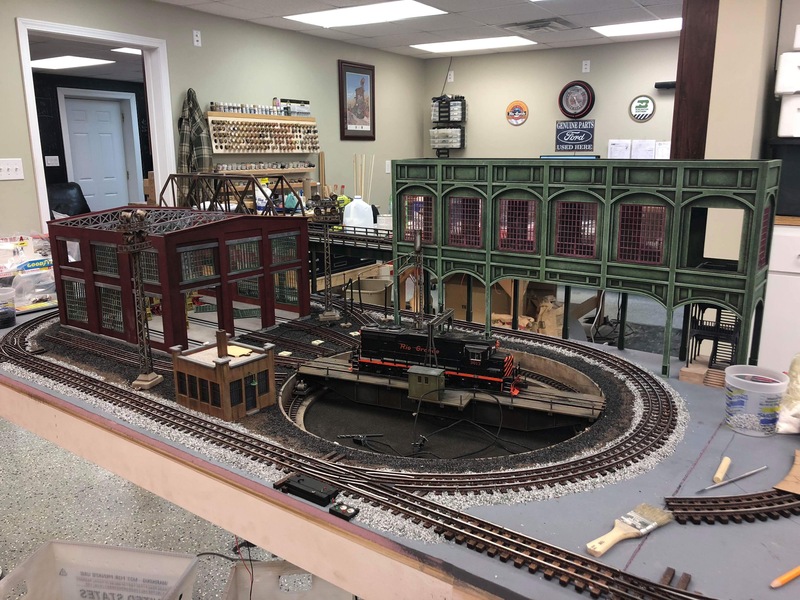 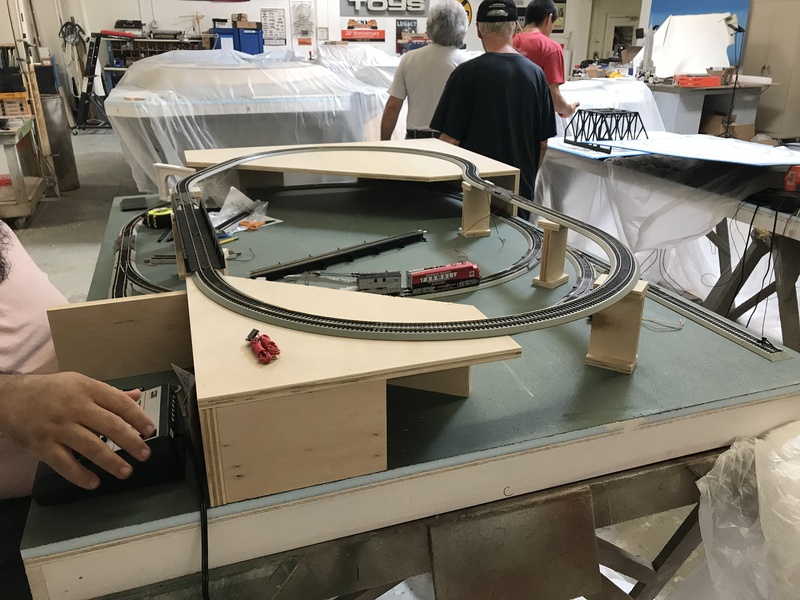 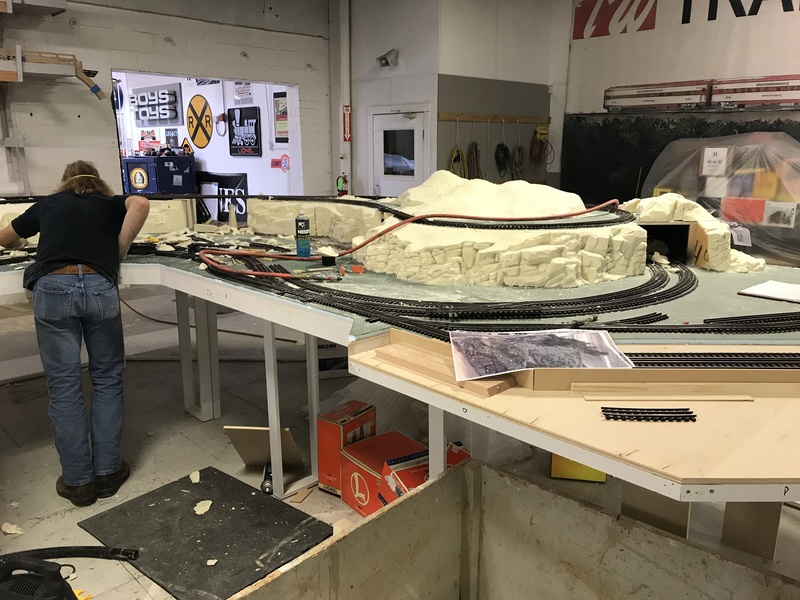 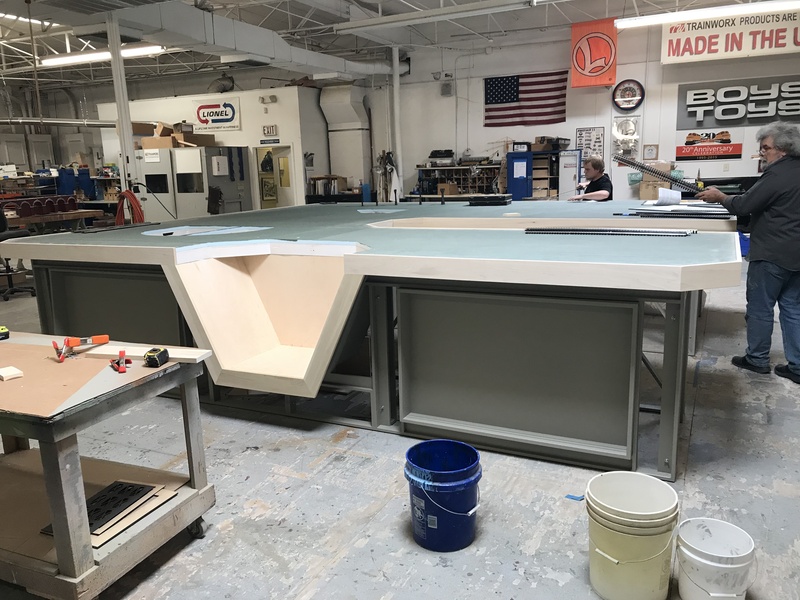 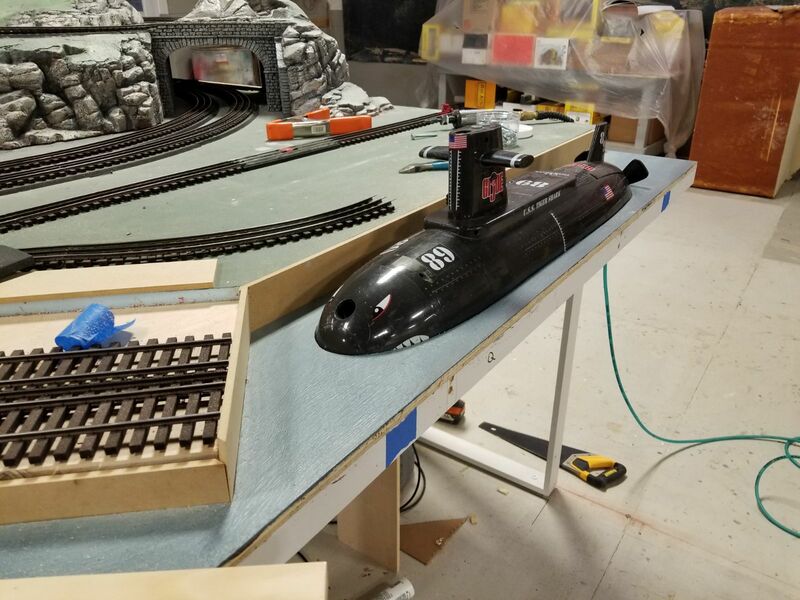 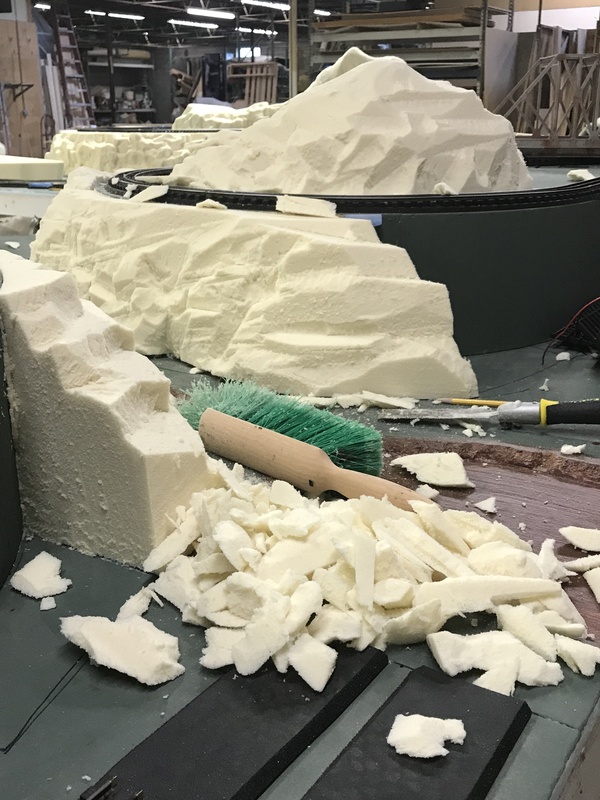 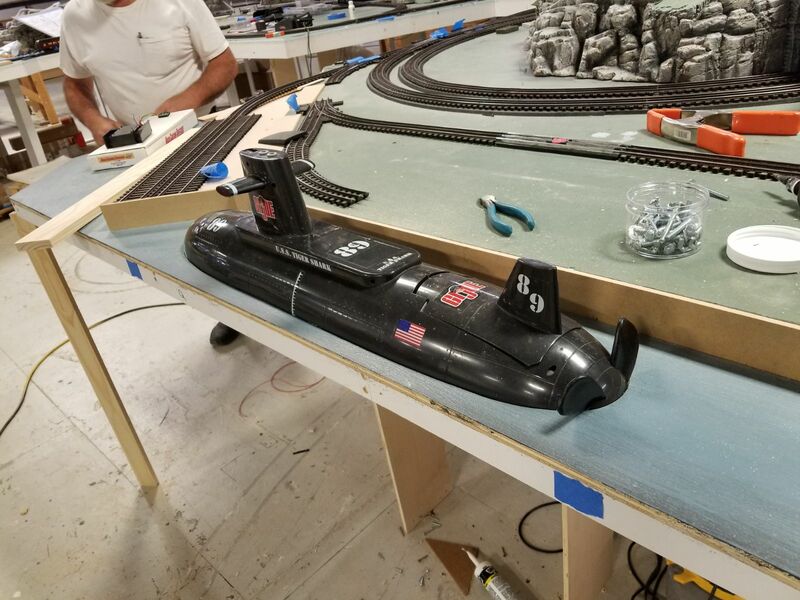 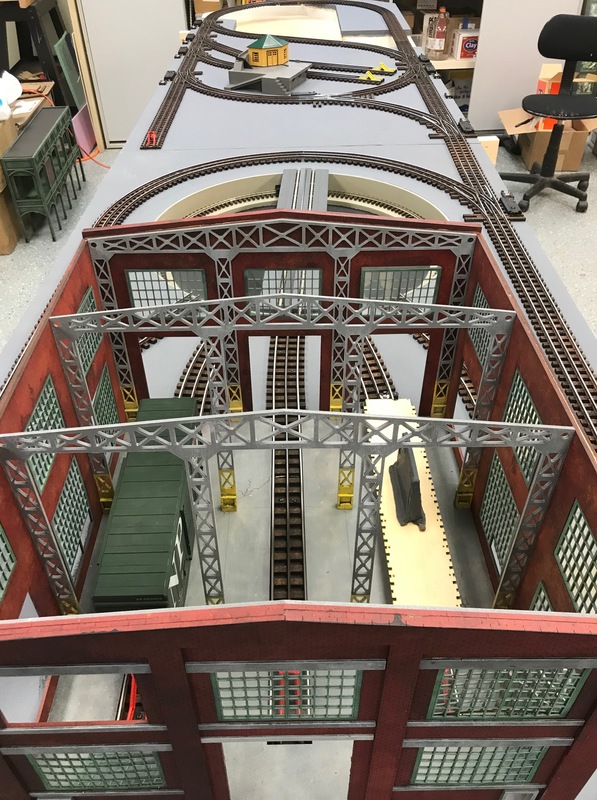 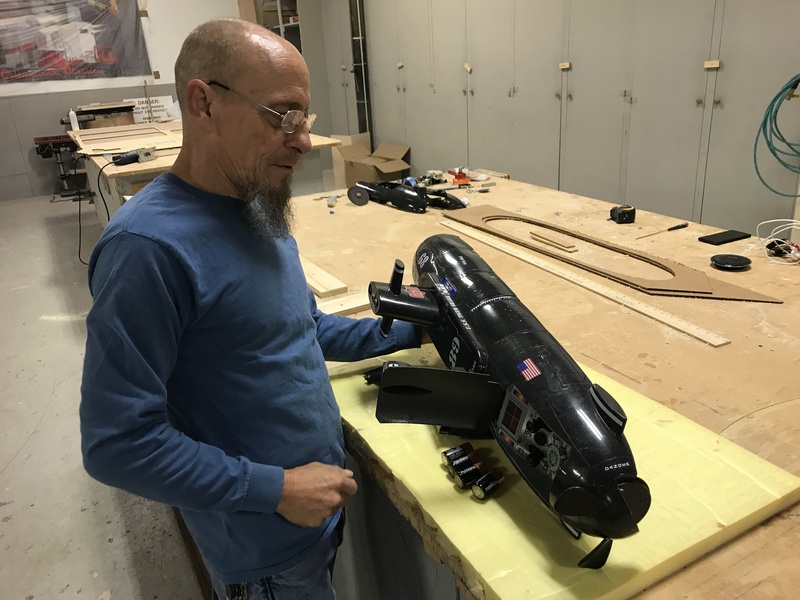 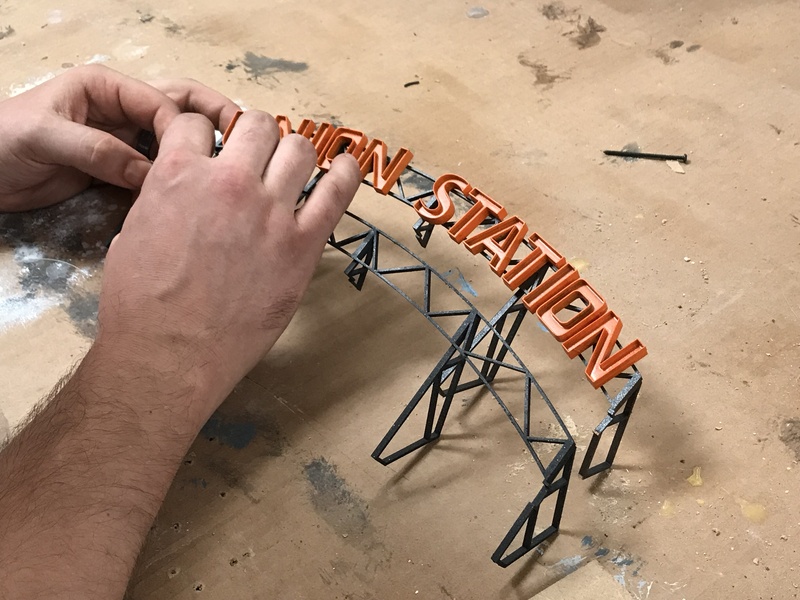 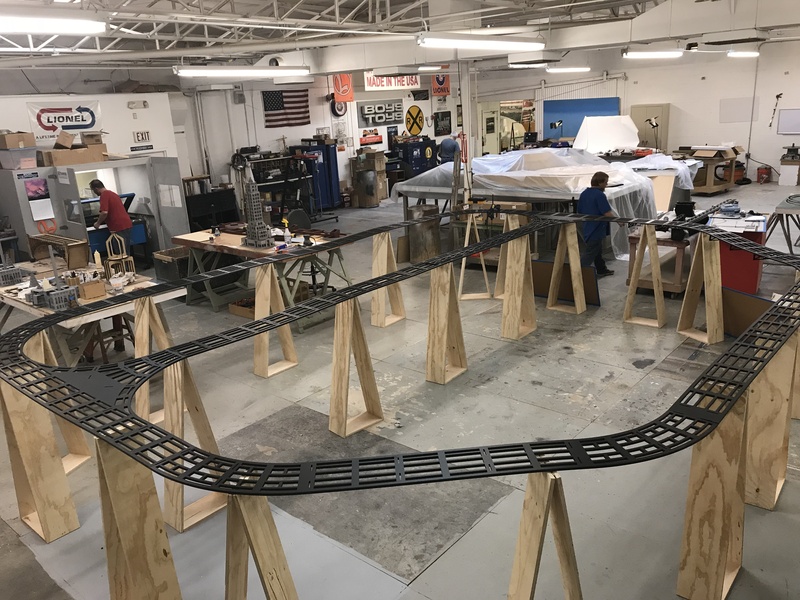 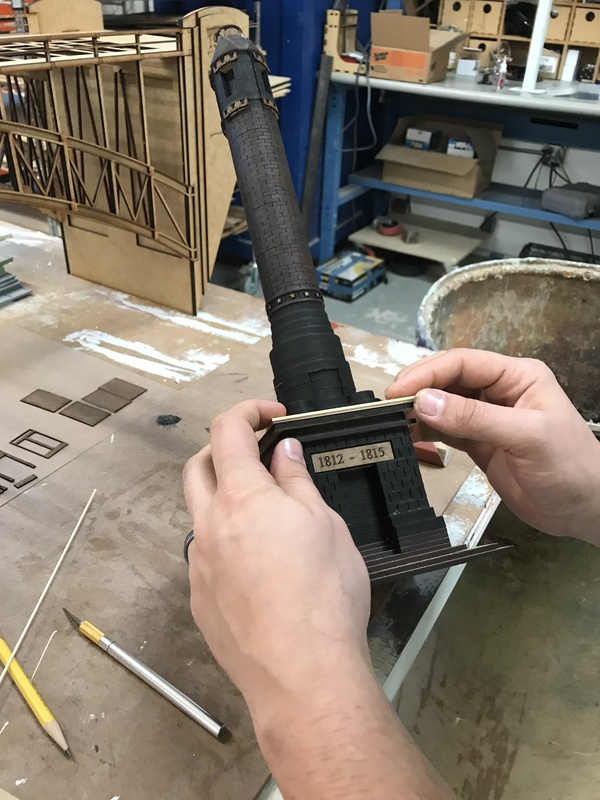 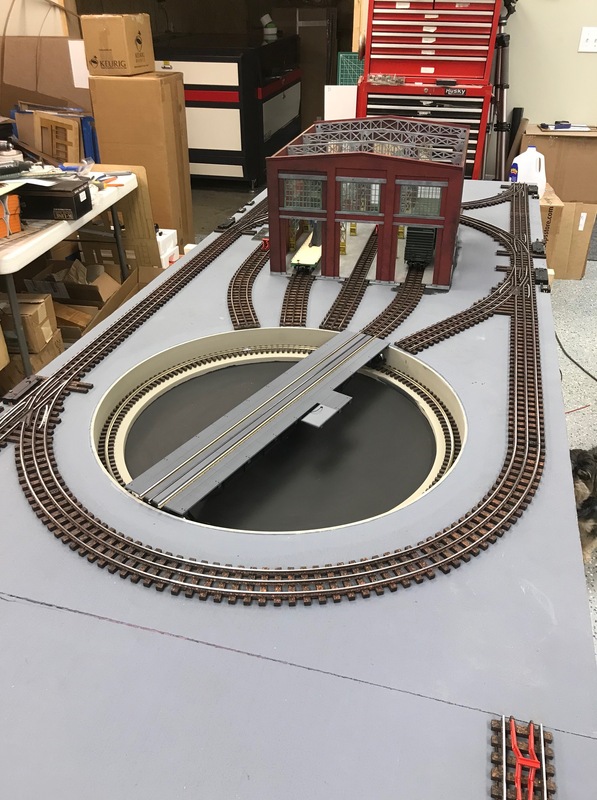 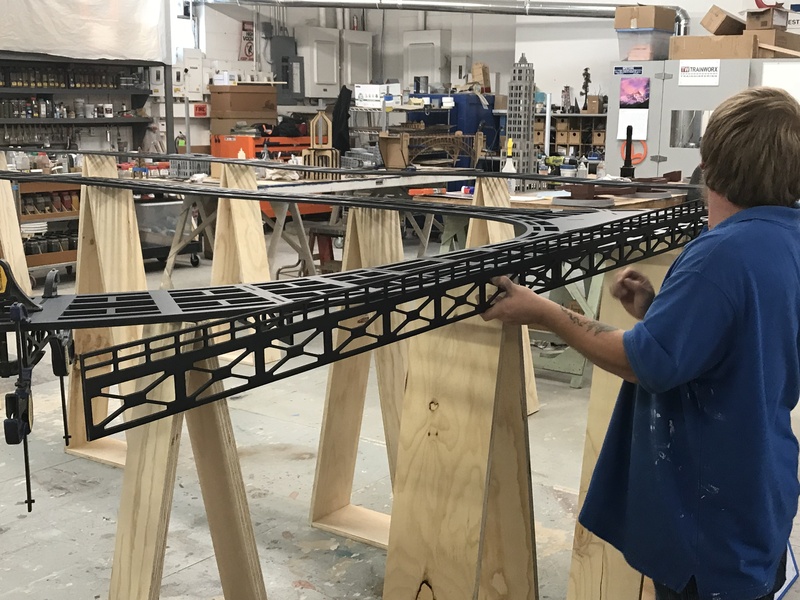 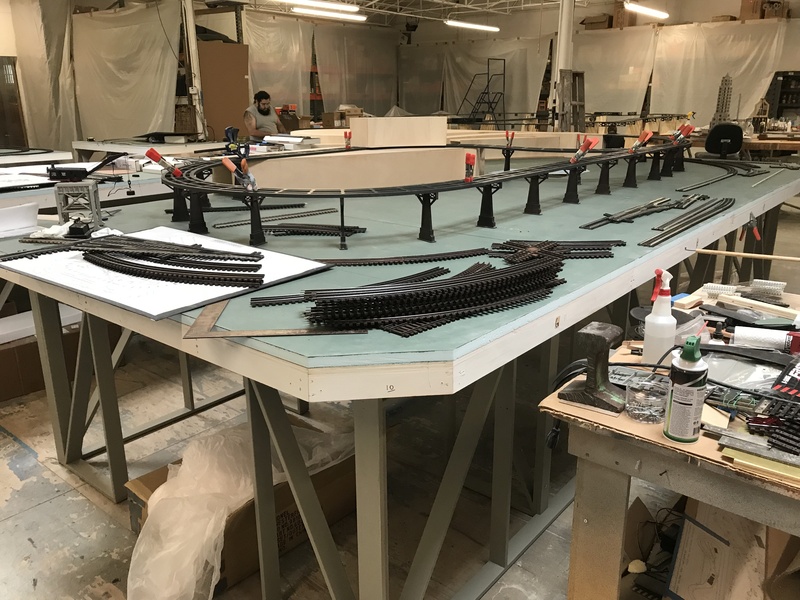 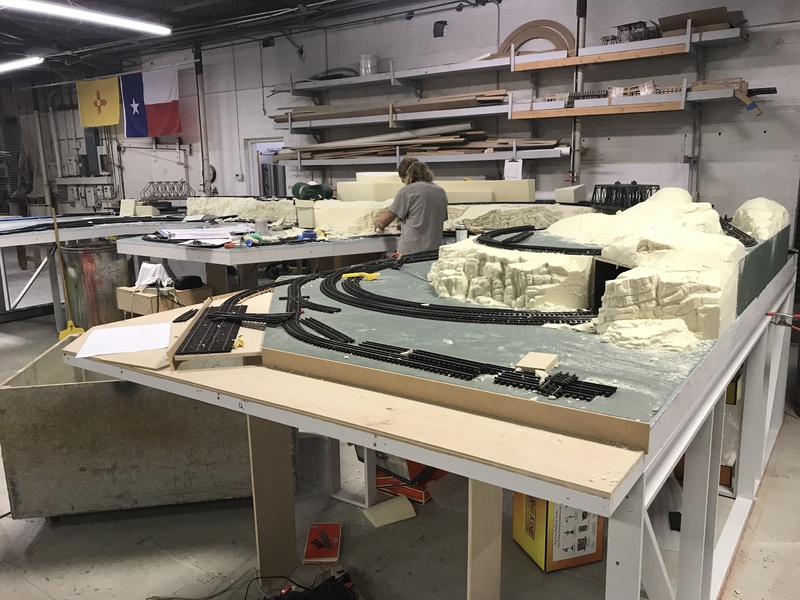 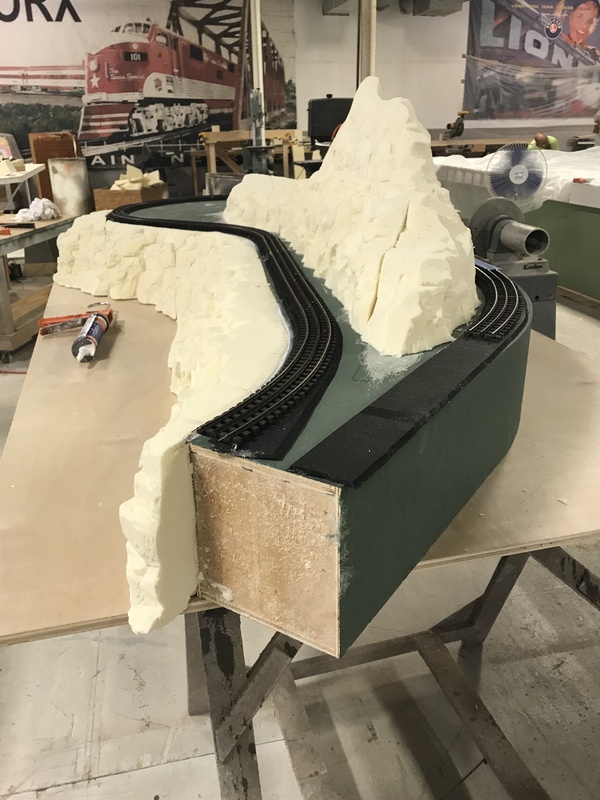 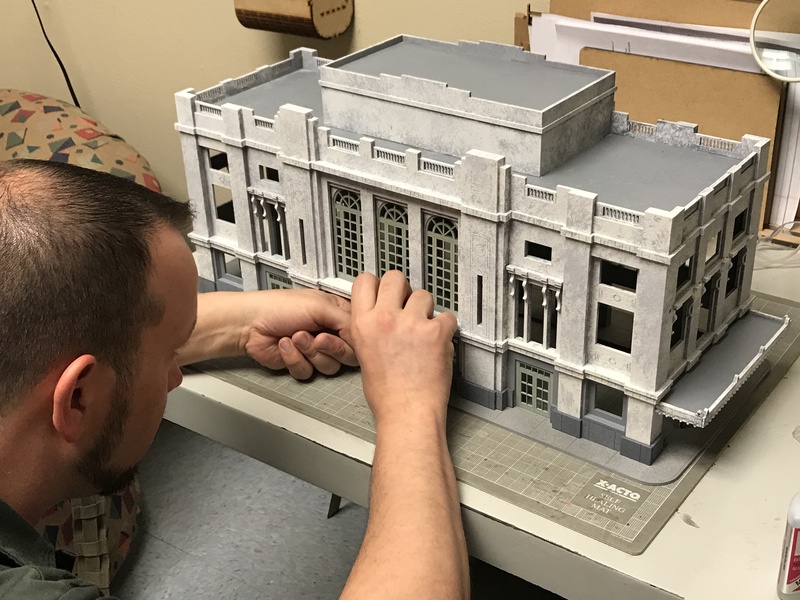 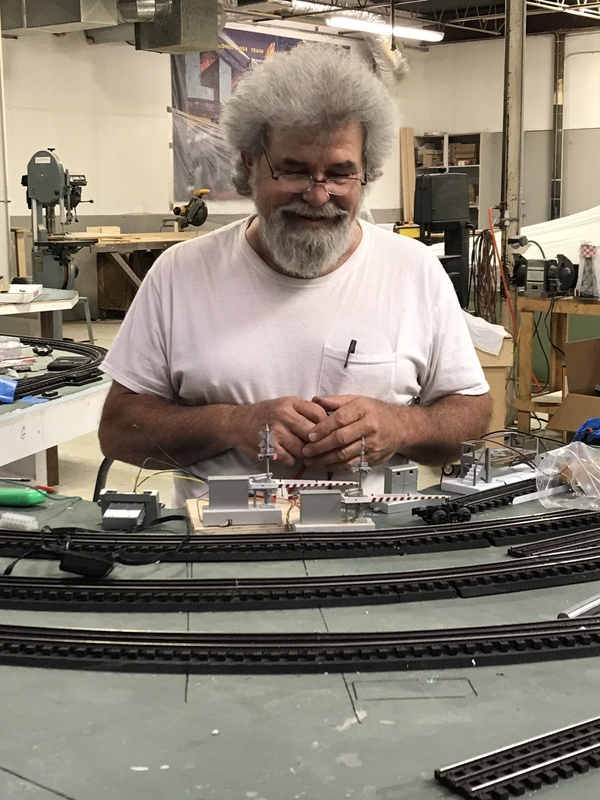 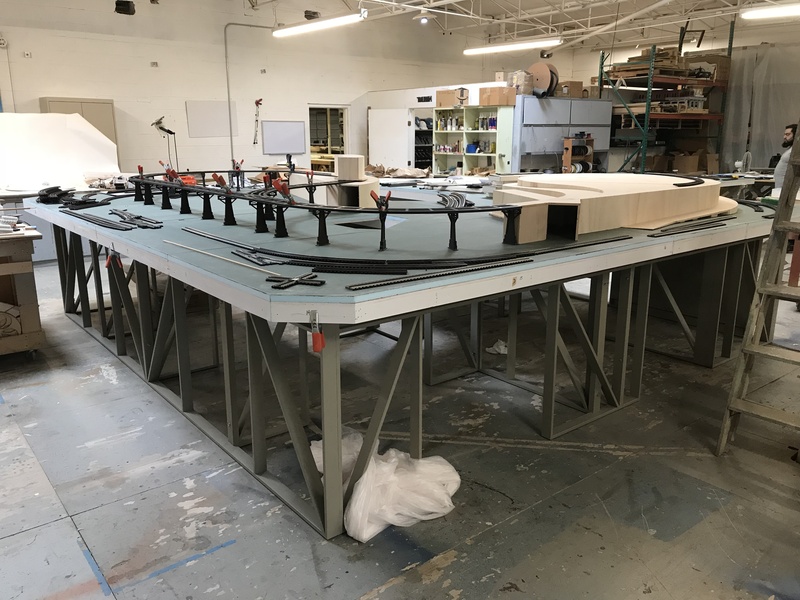 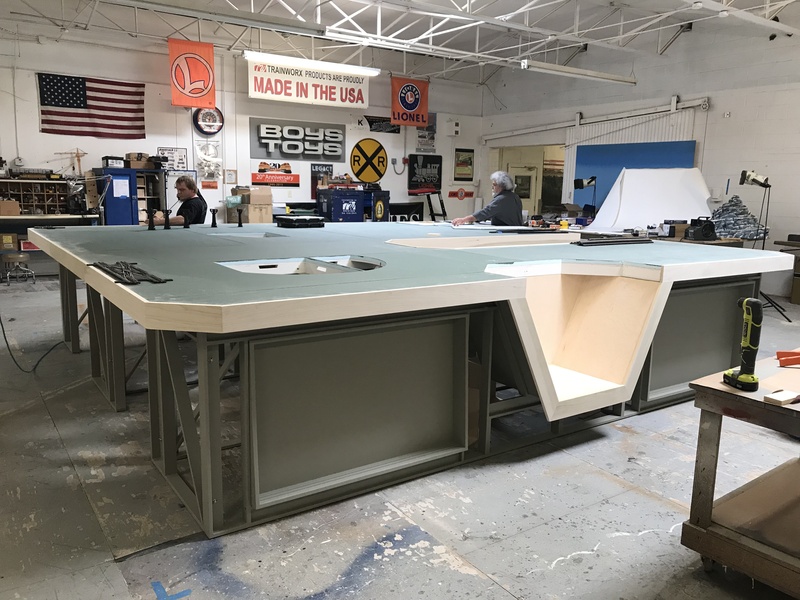 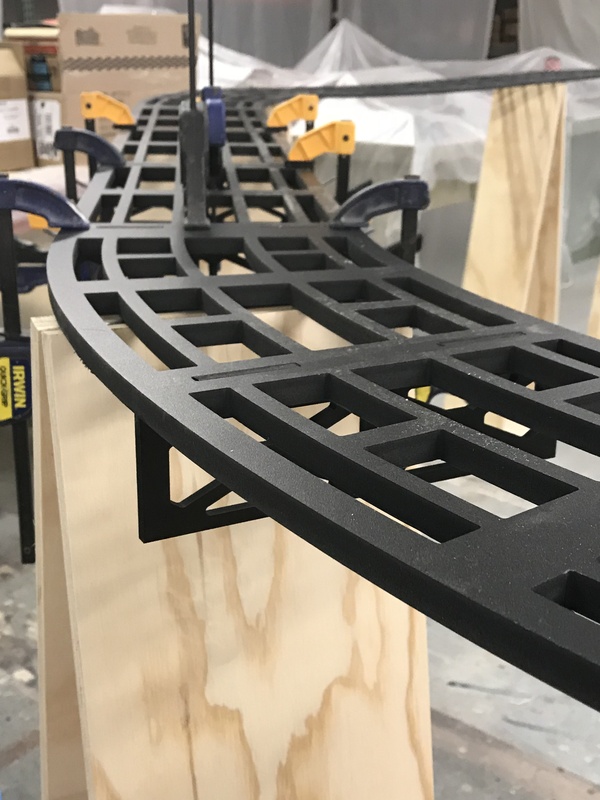 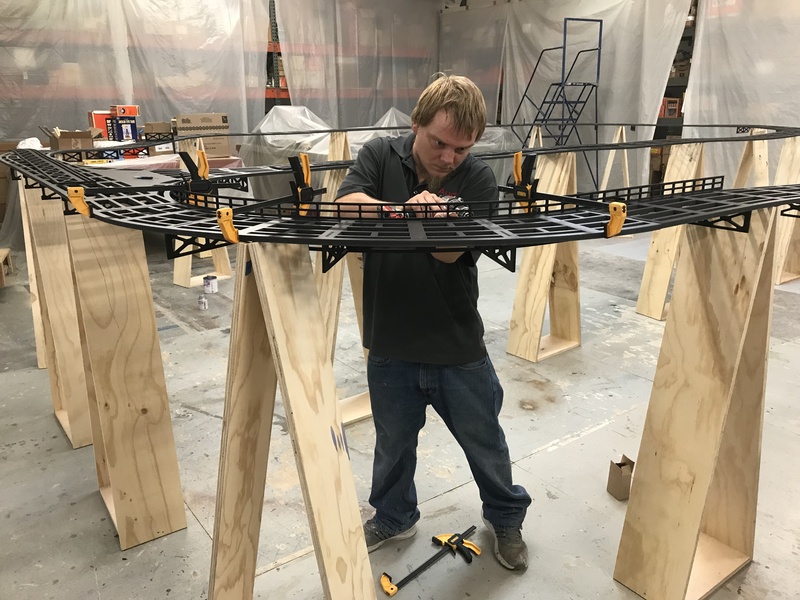 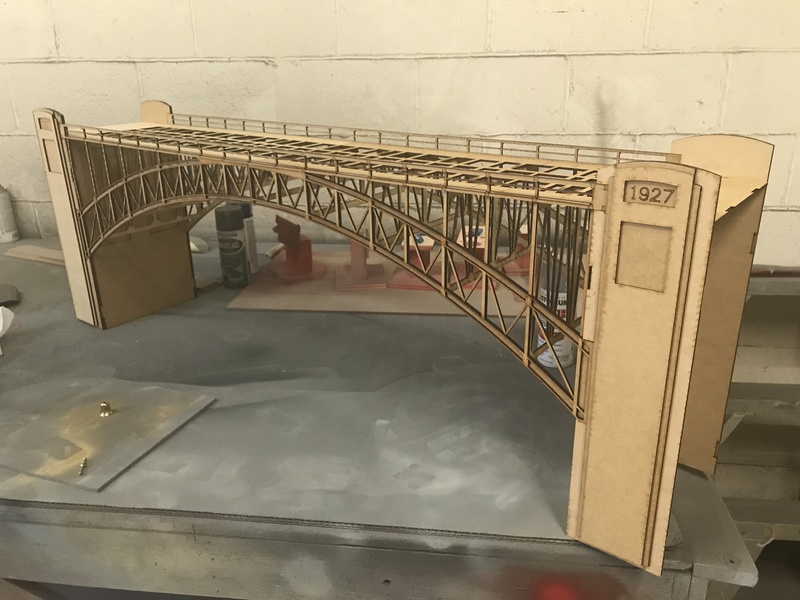 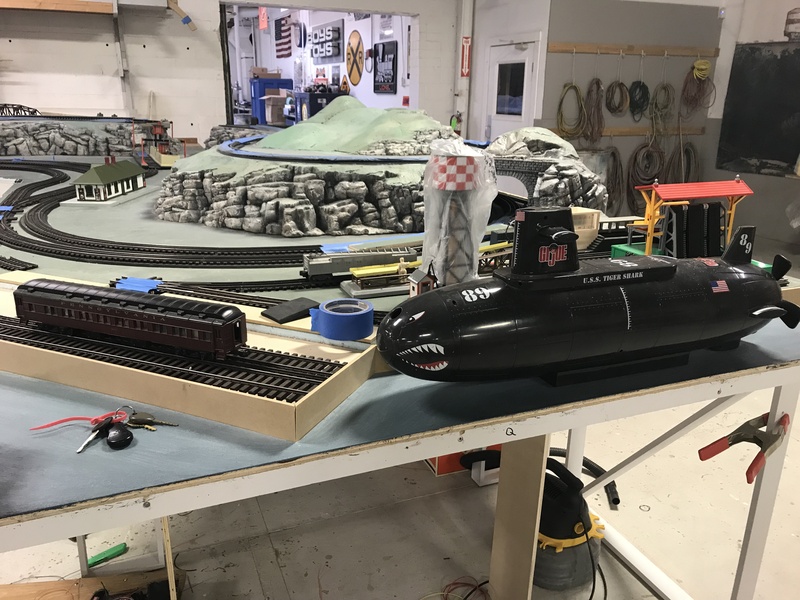 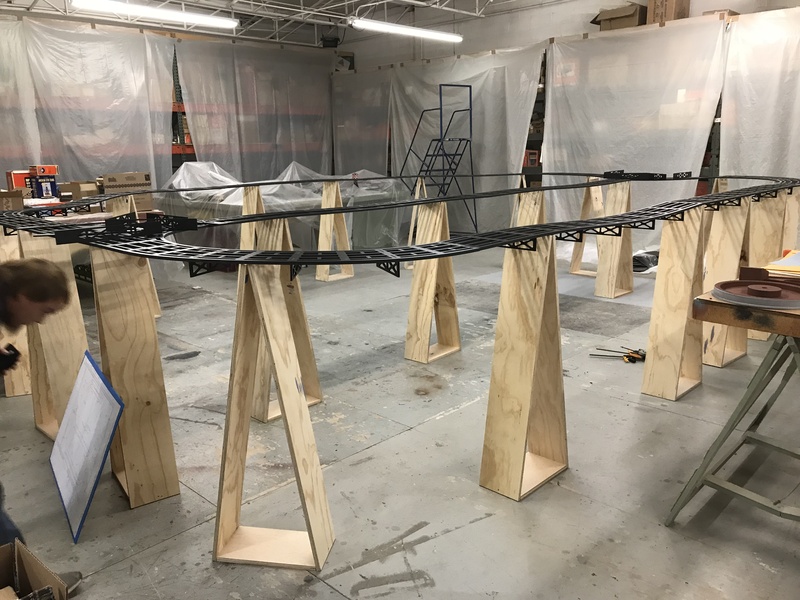 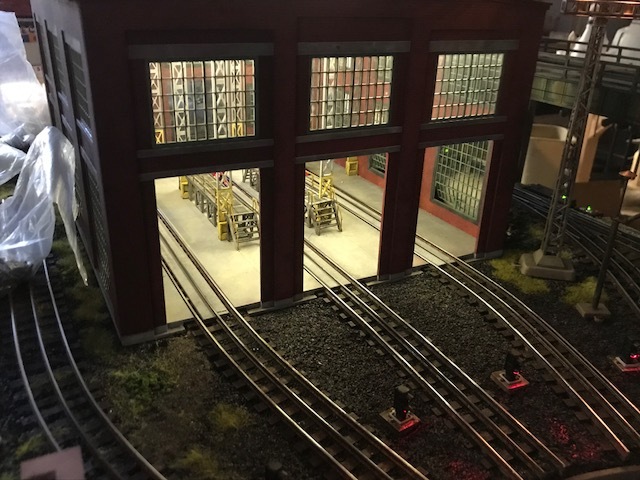 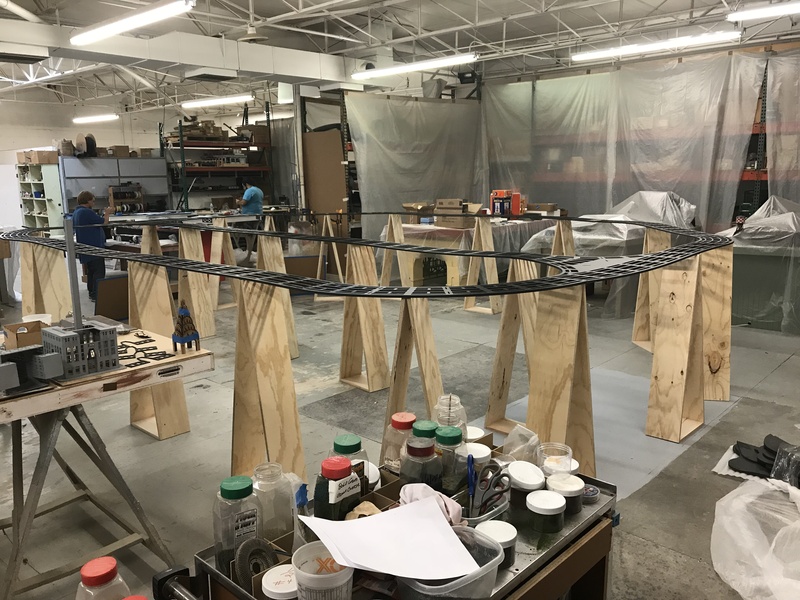 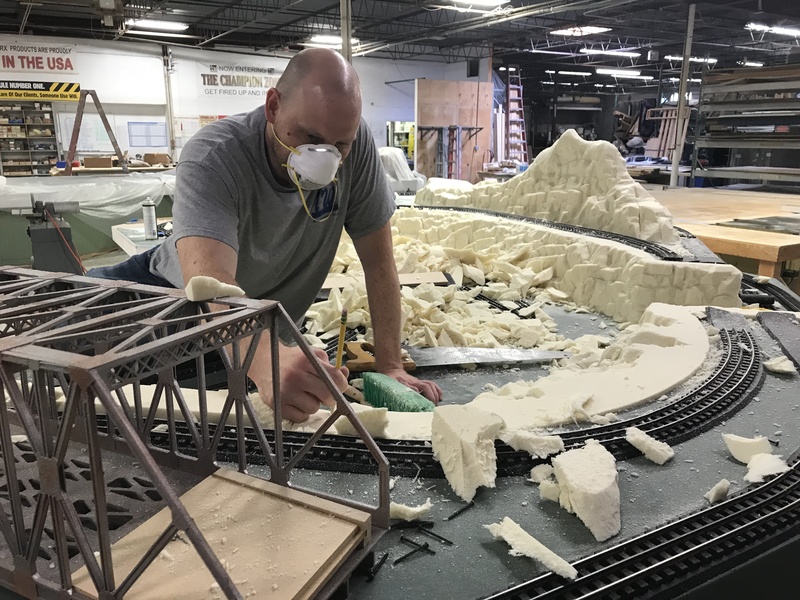 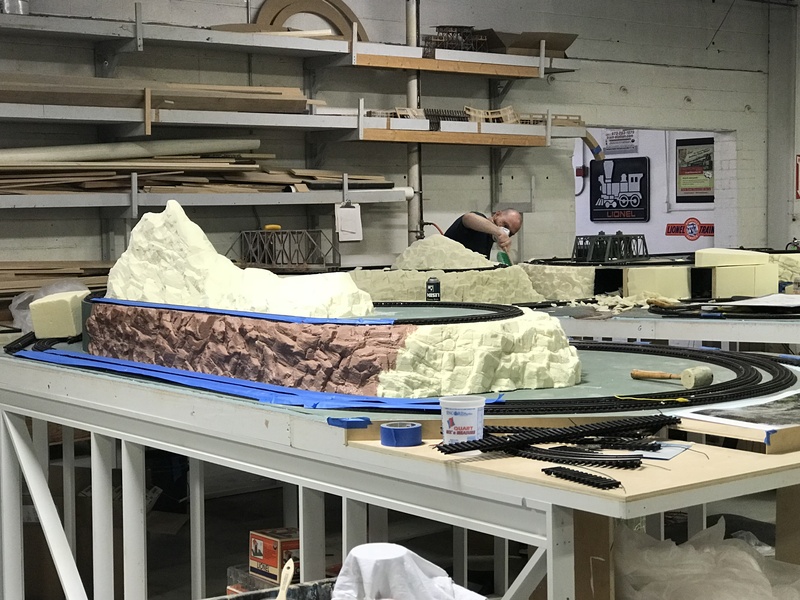 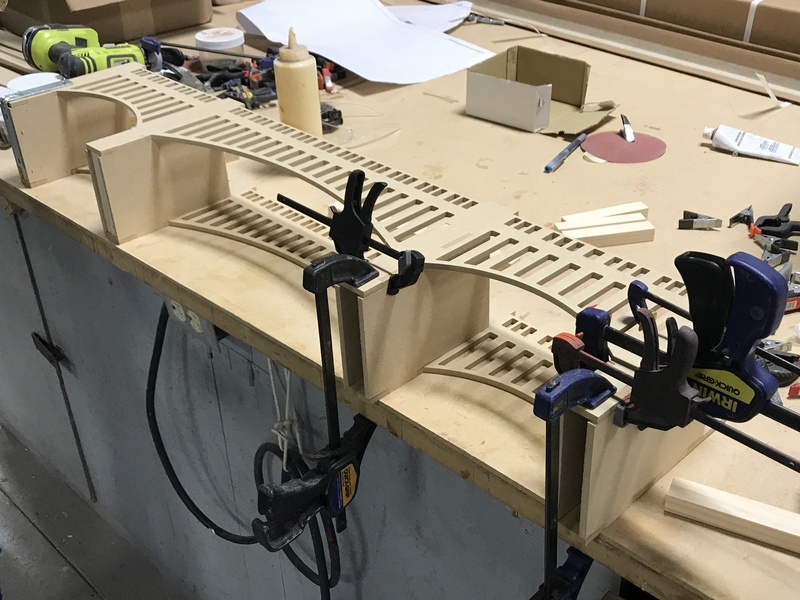 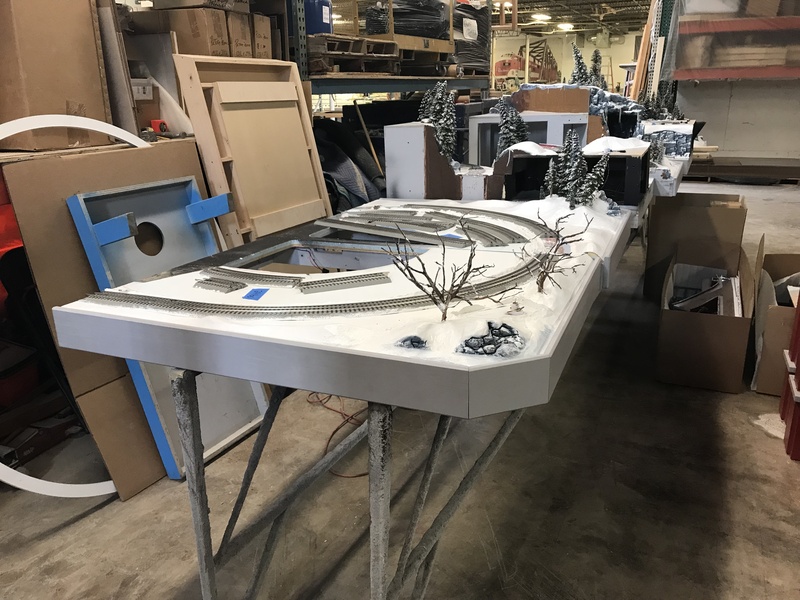 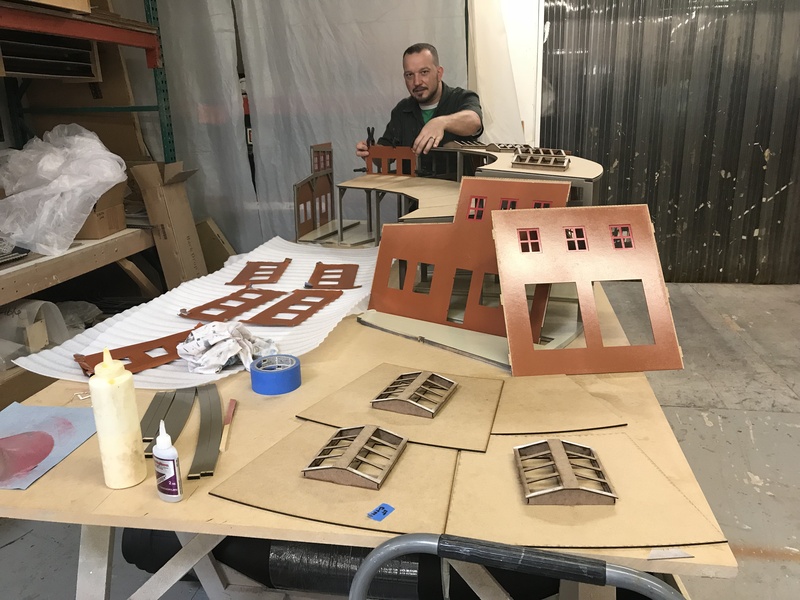 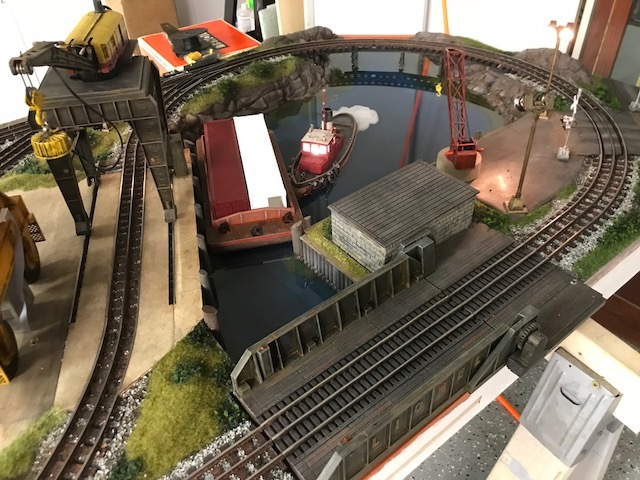 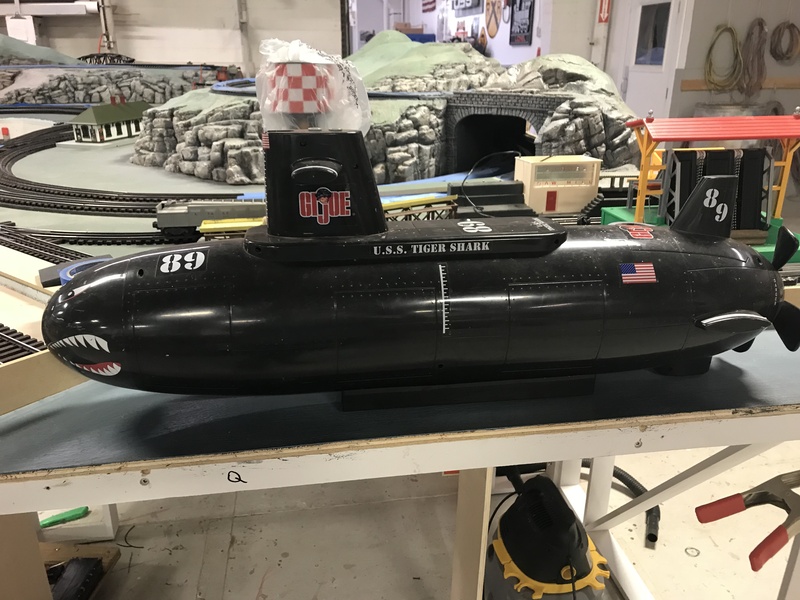 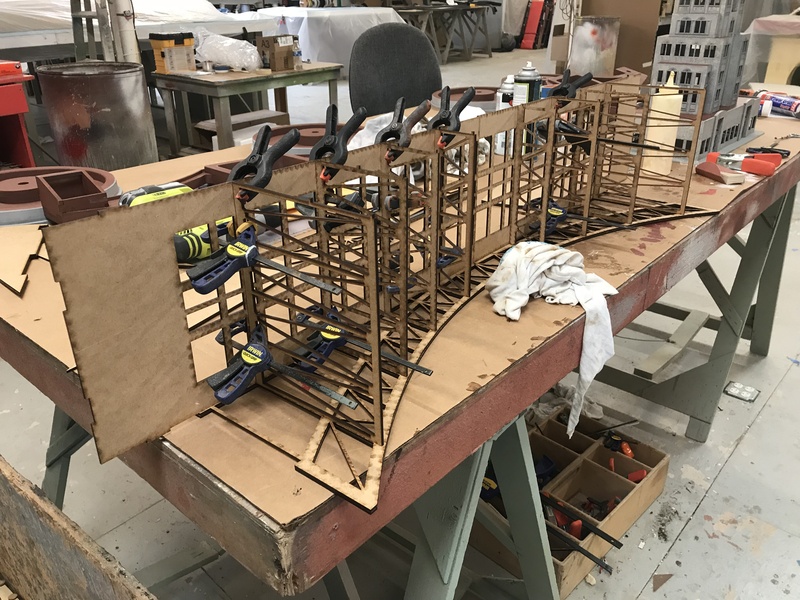 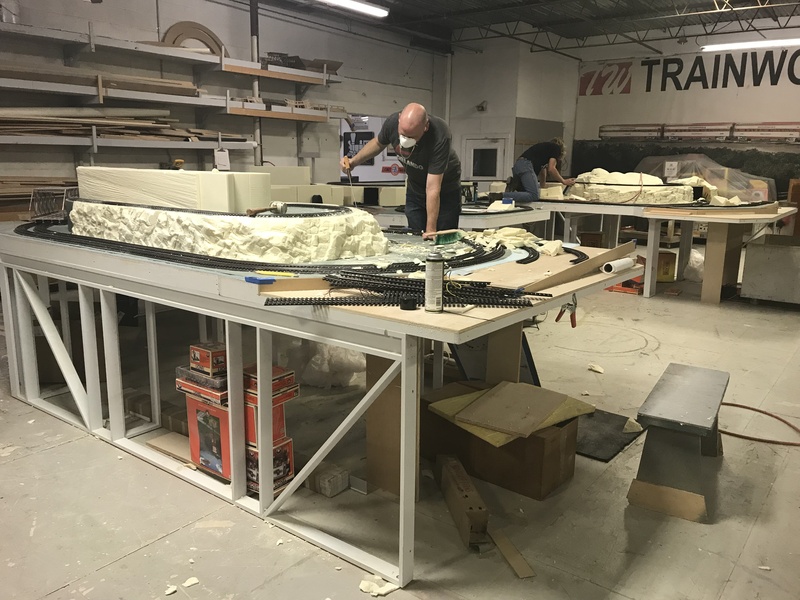 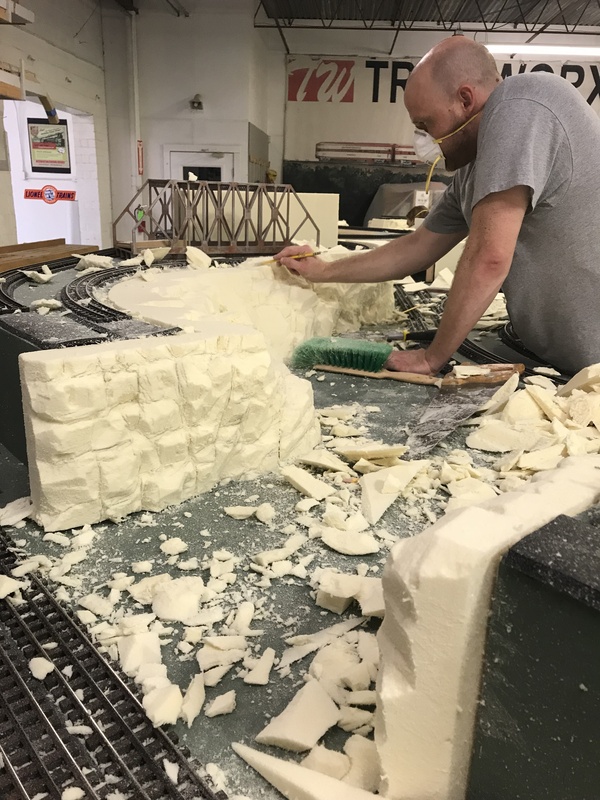 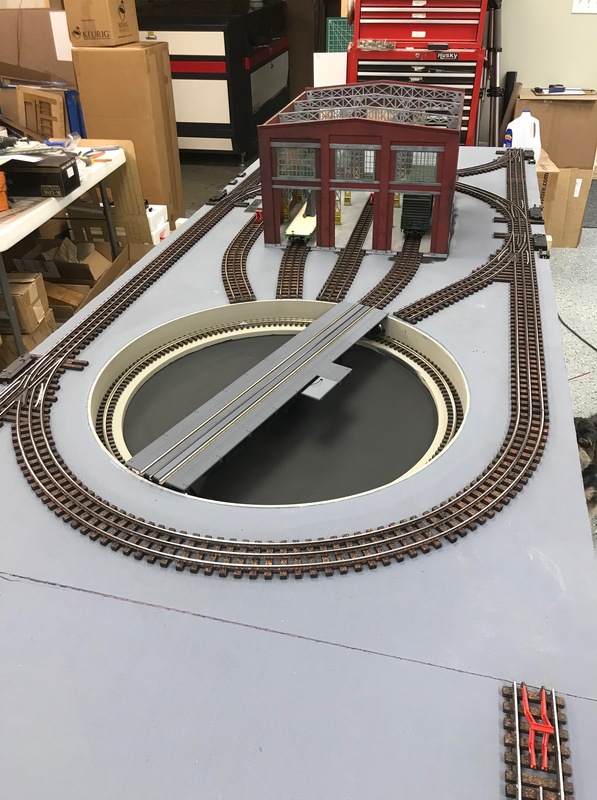 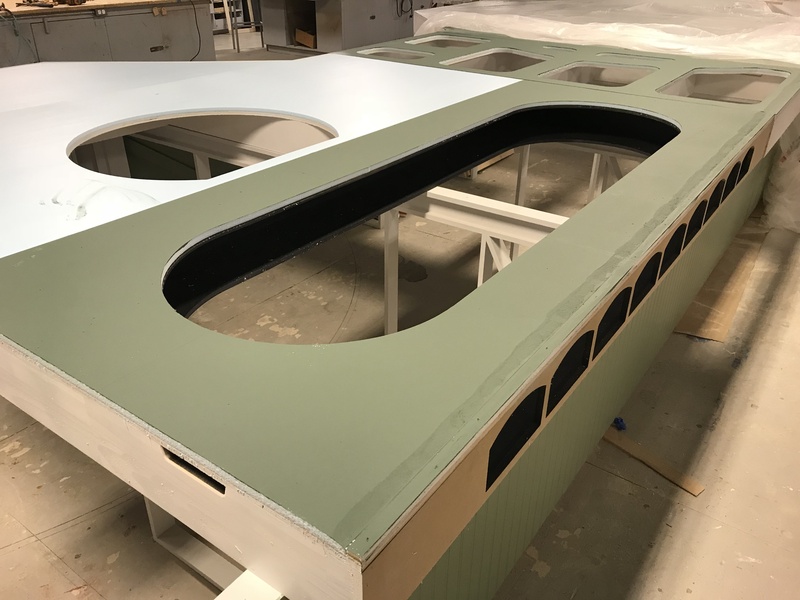 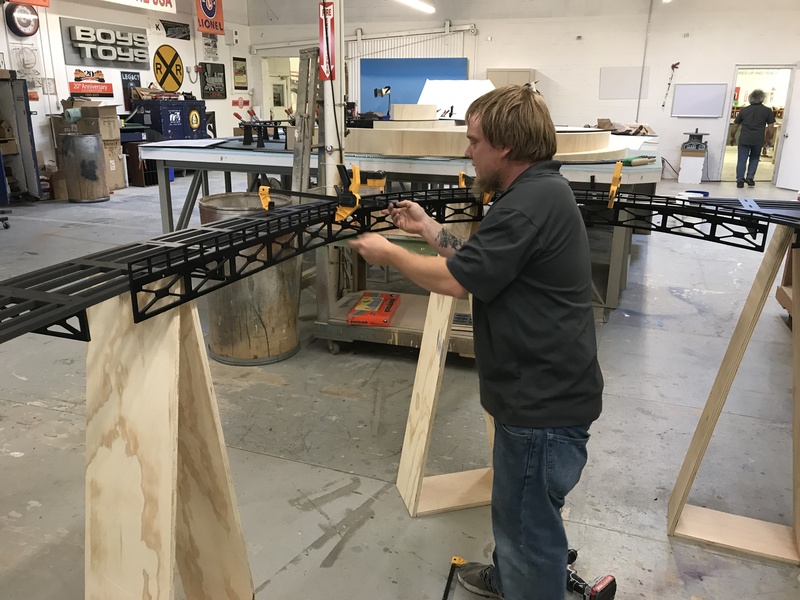 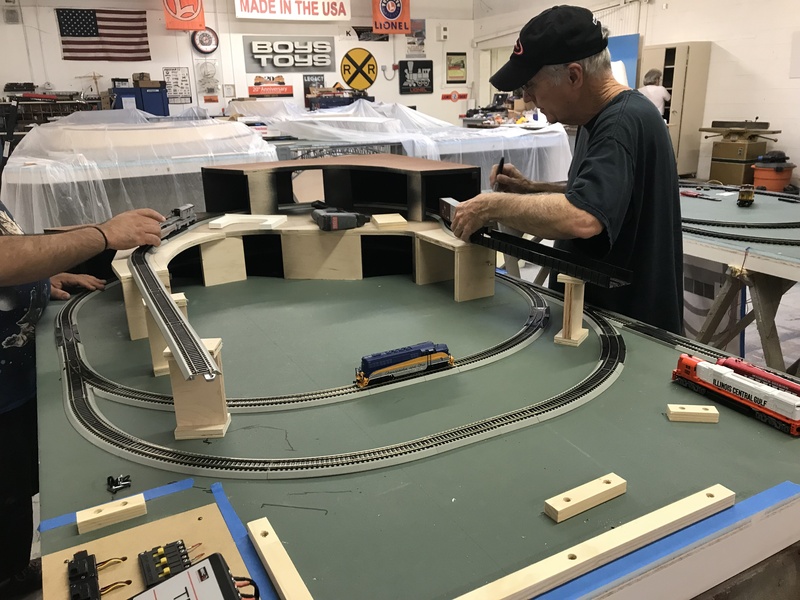 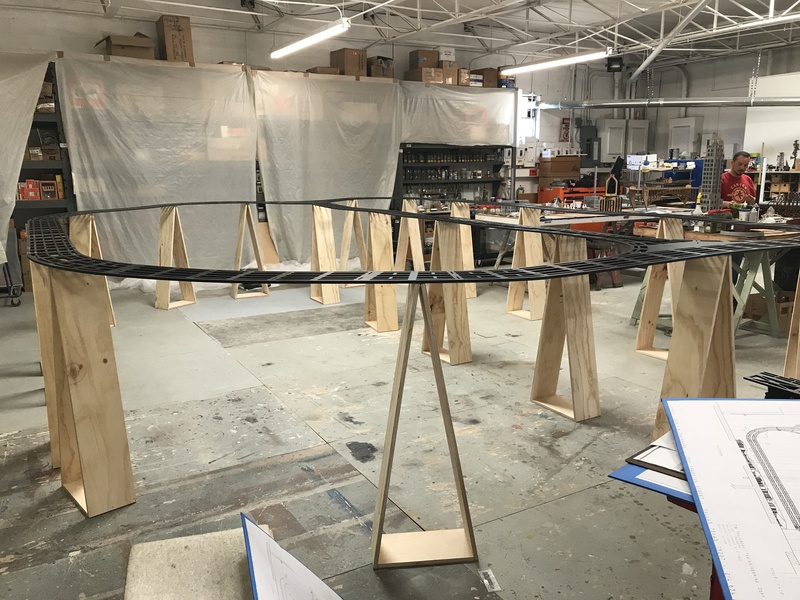 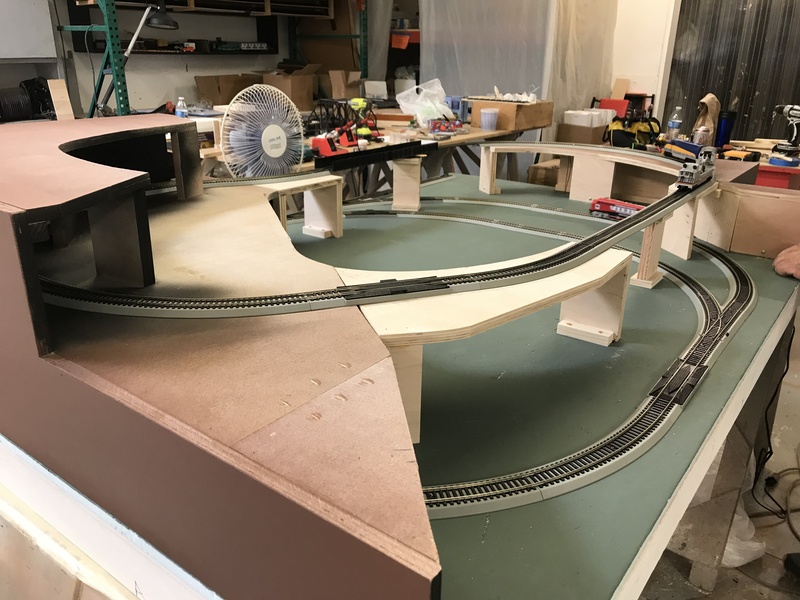 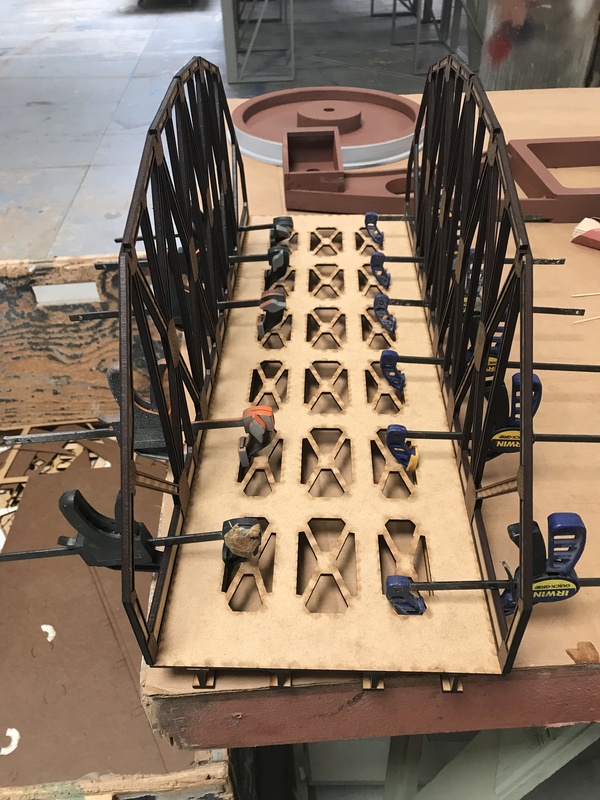 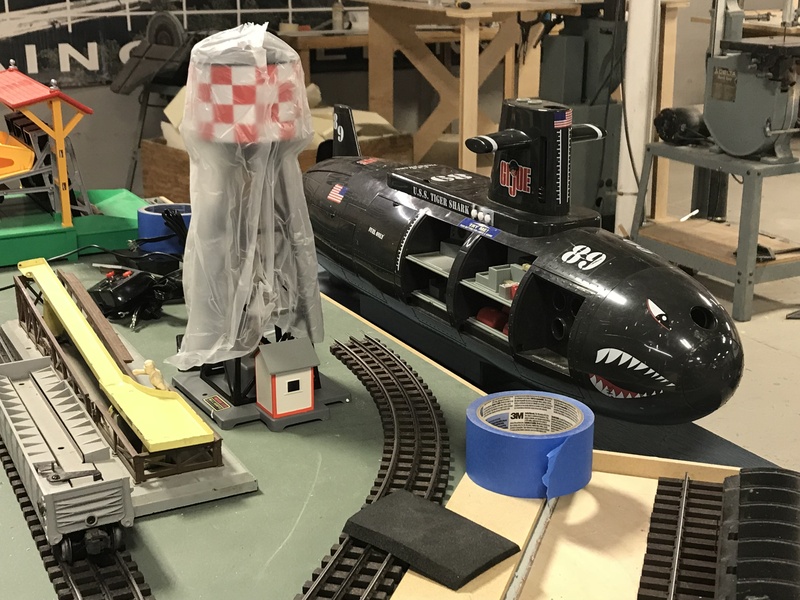 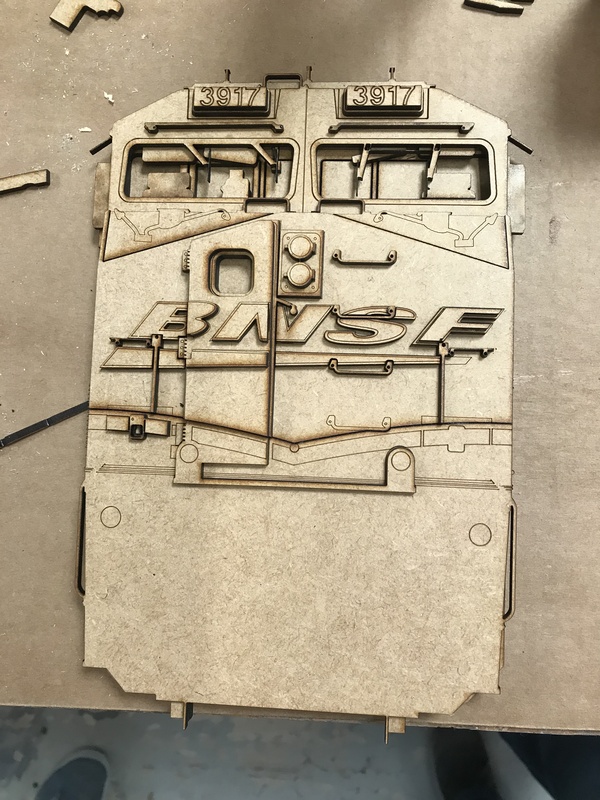 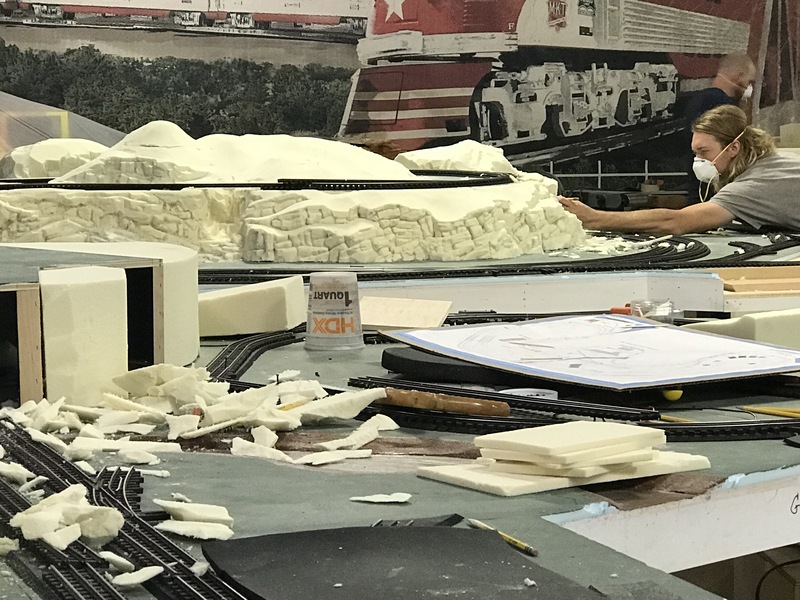 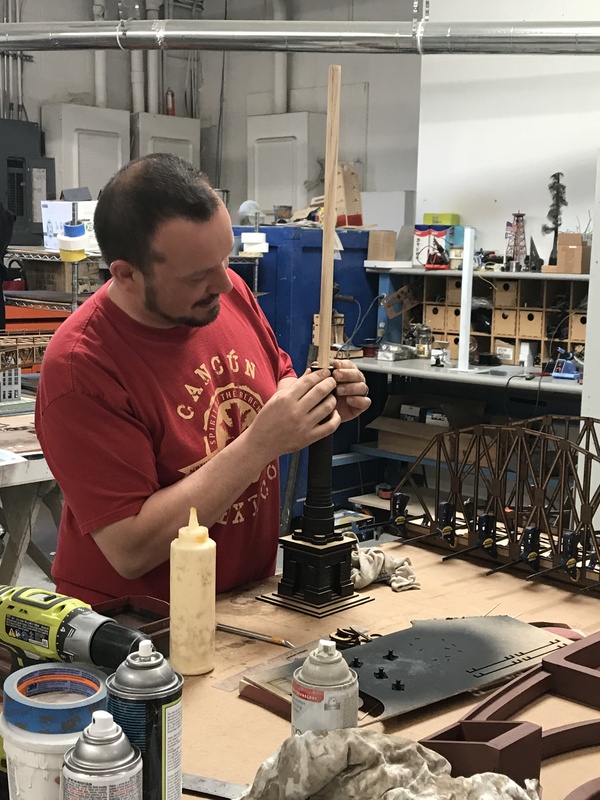 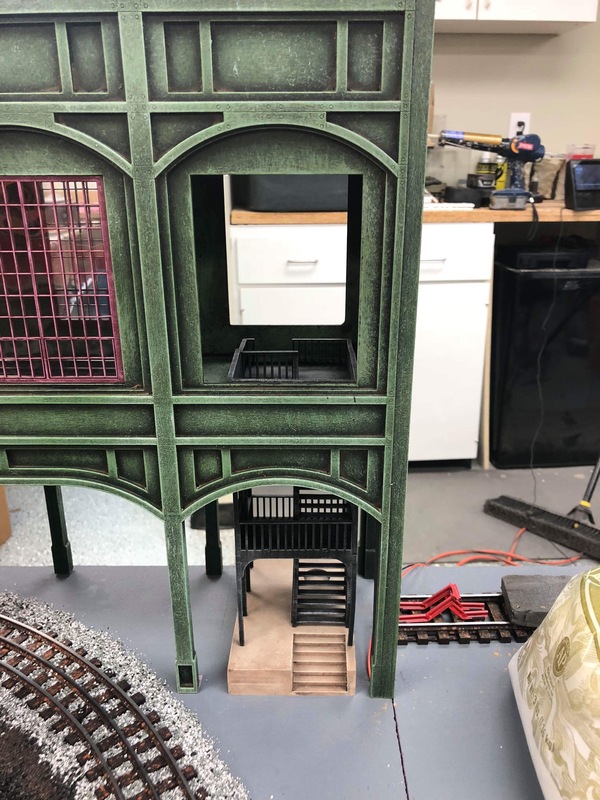 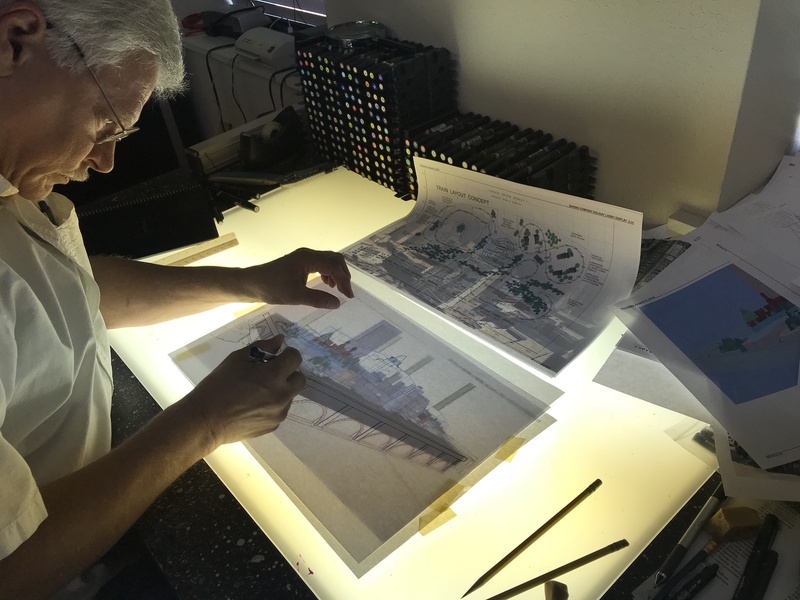 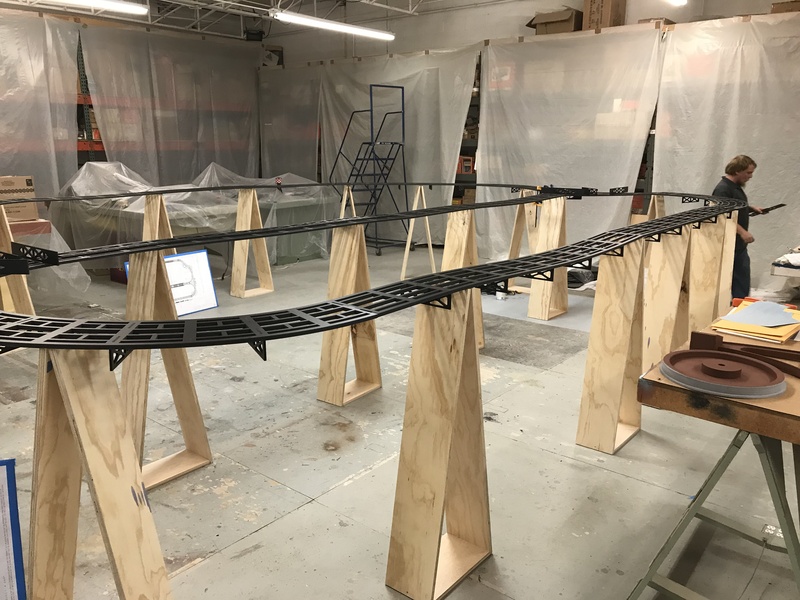 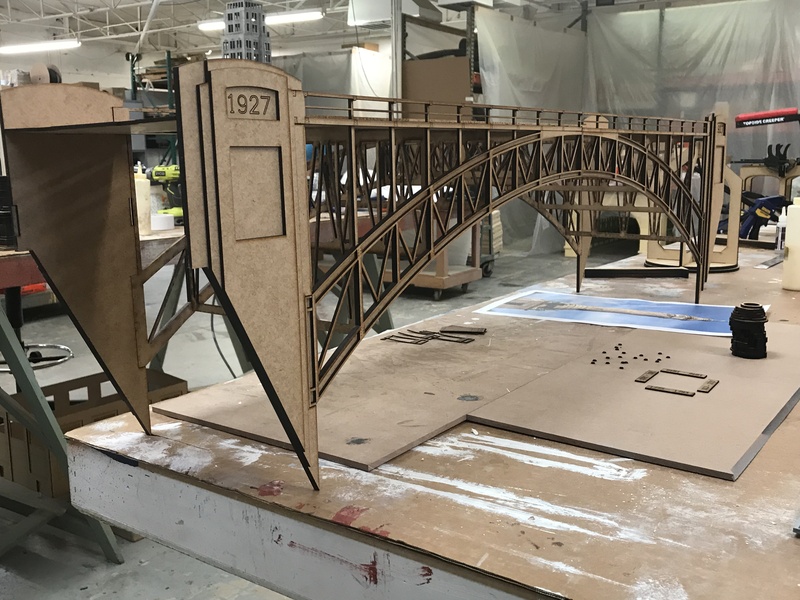 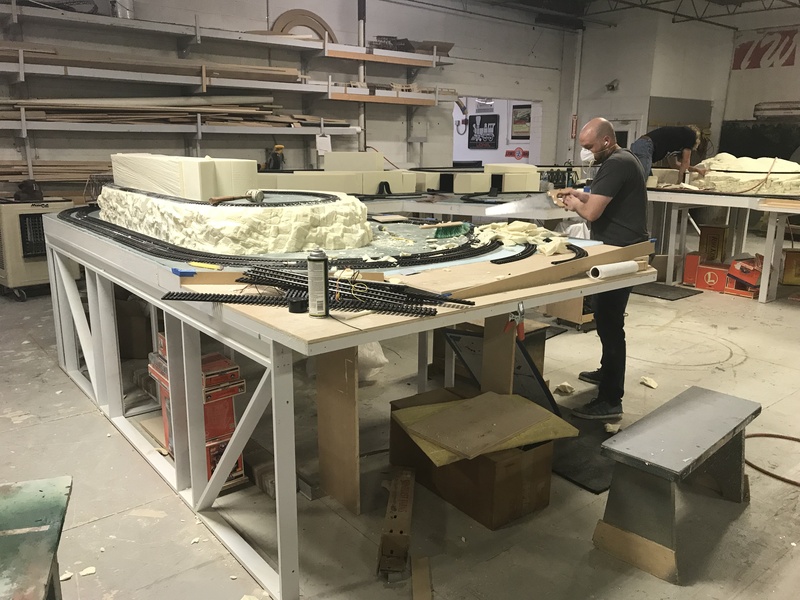 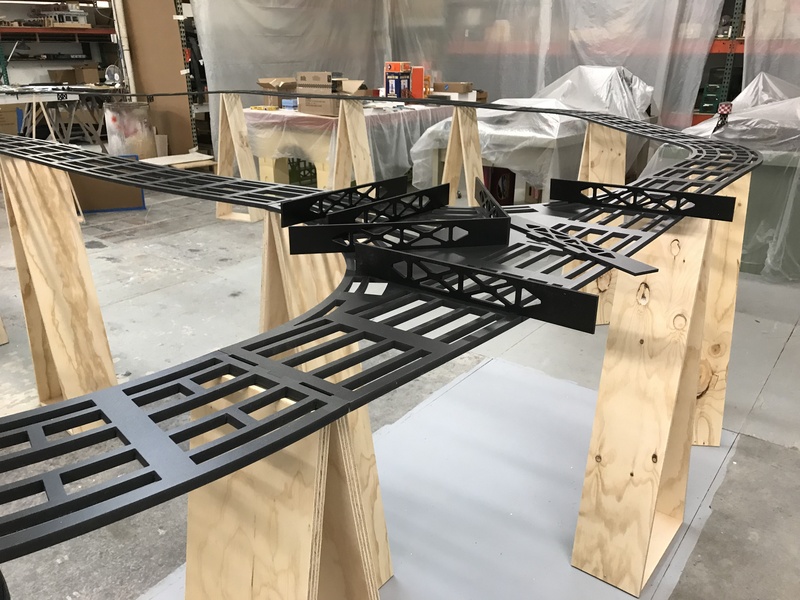 Mike Reagan in our Concord Studio focused on finishing out a custom layout extension with several custom models and train repairs galore! 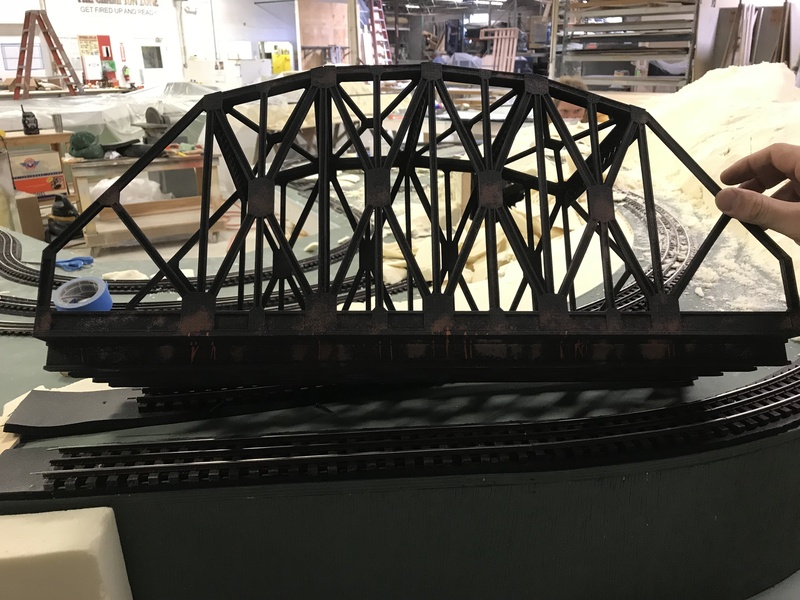 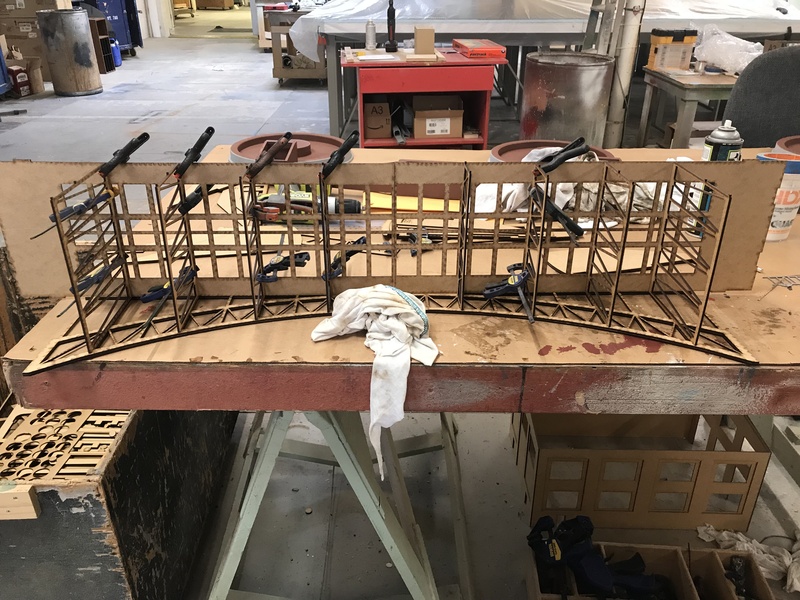 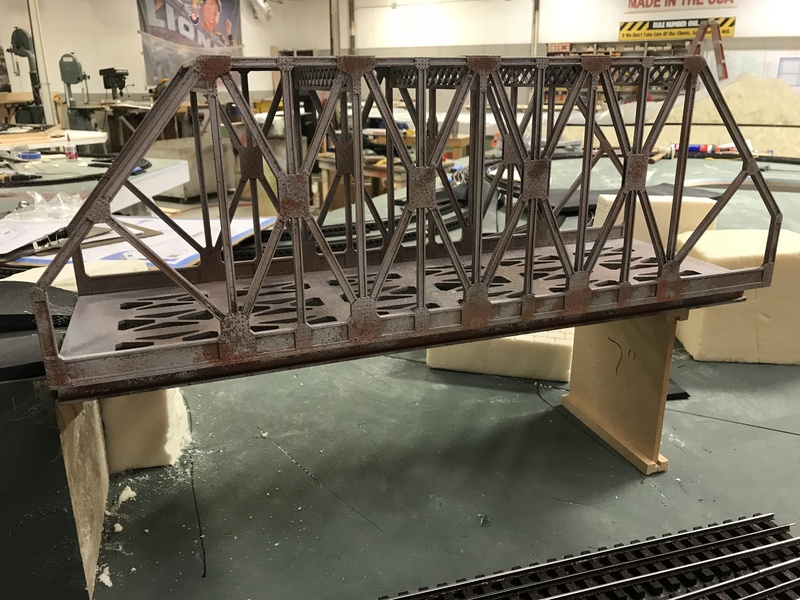 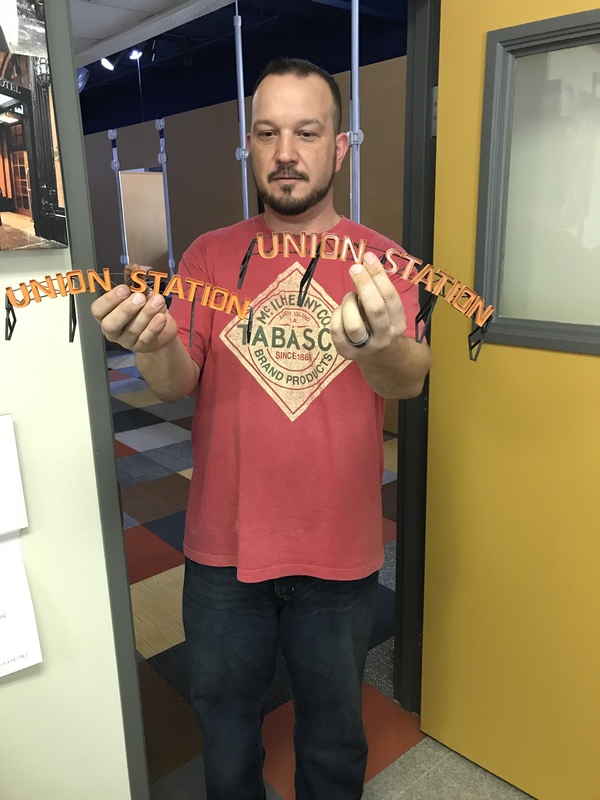 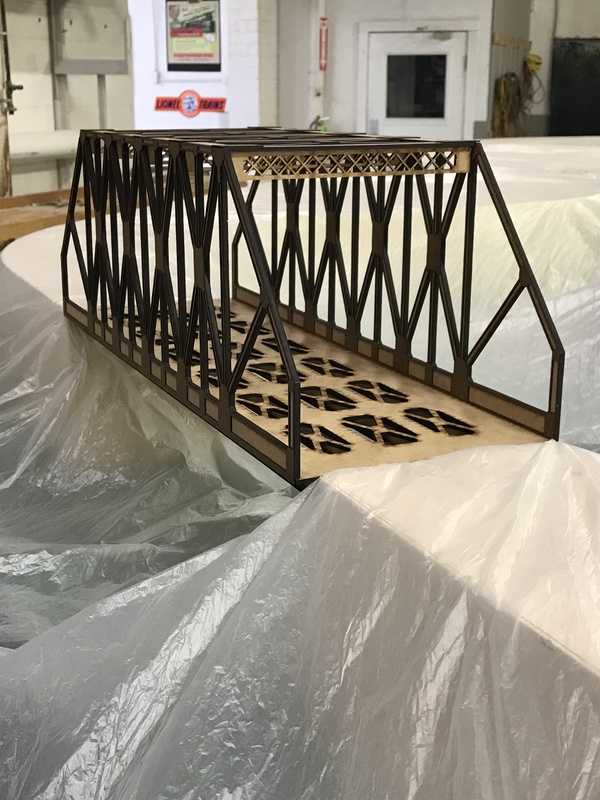 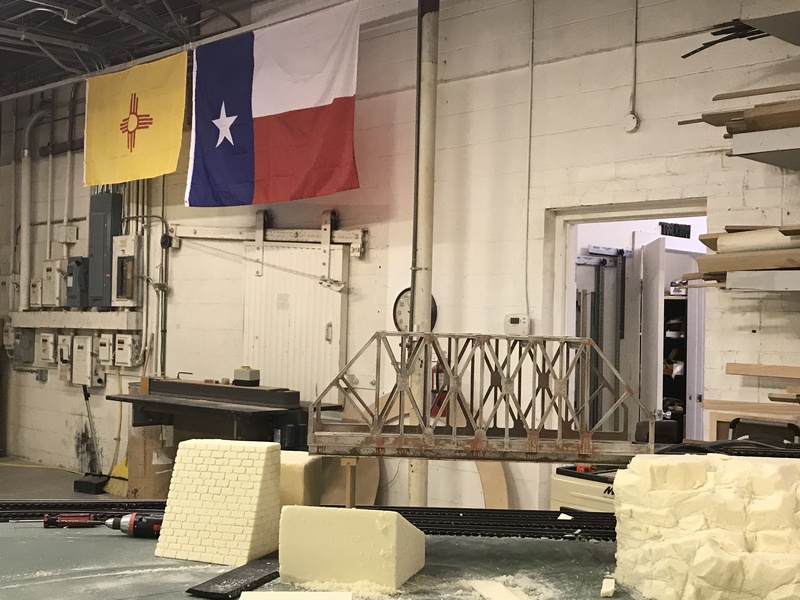 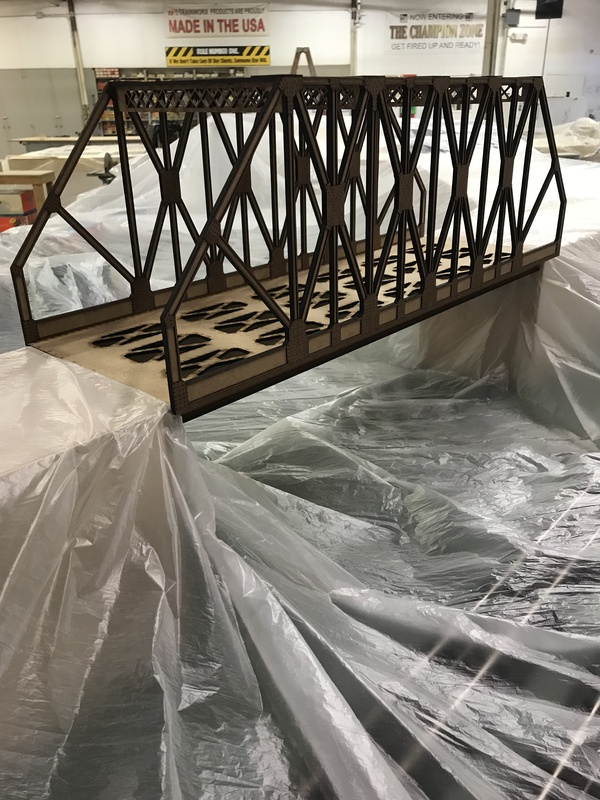 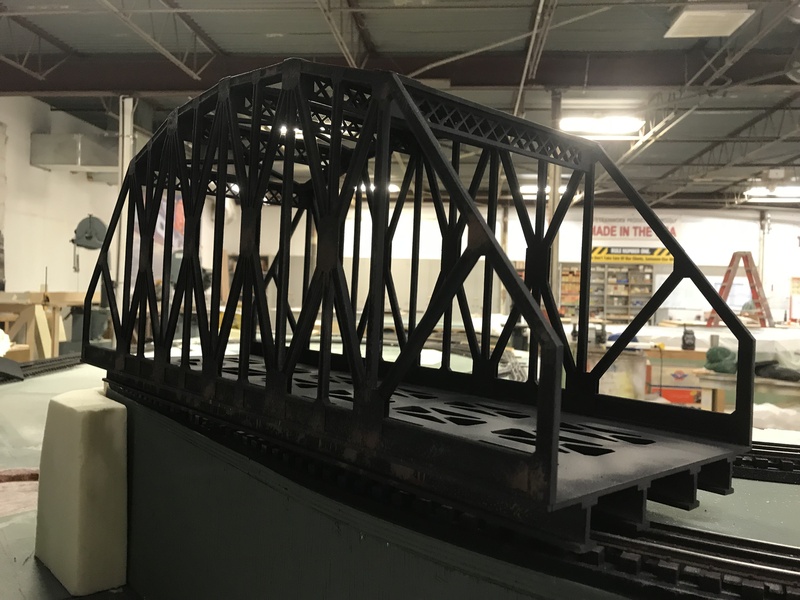 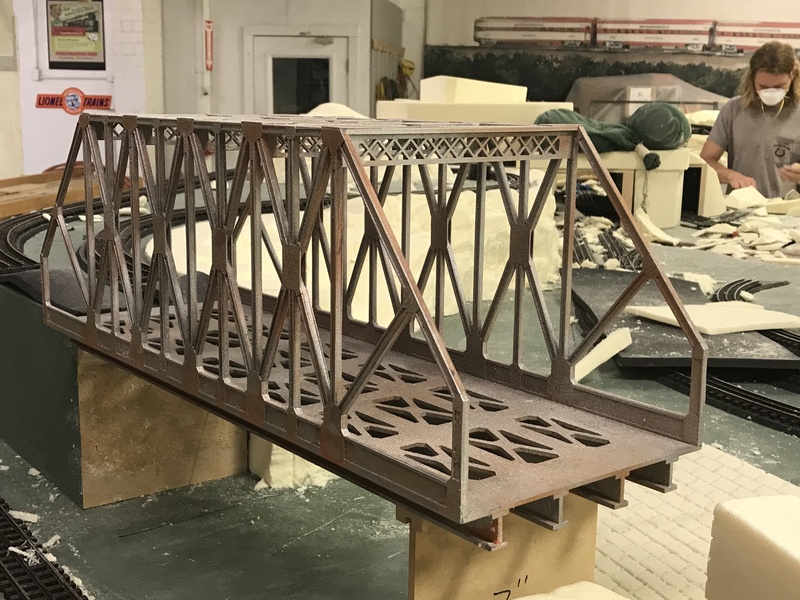 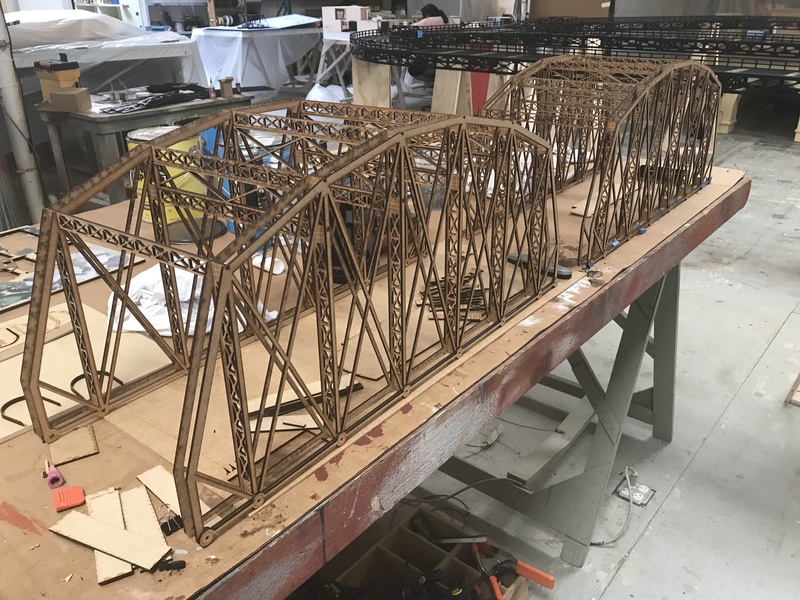 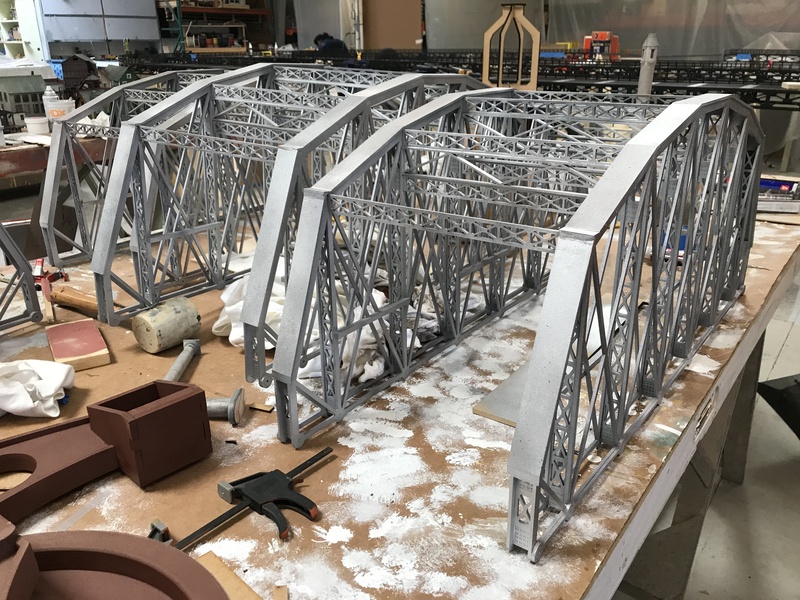 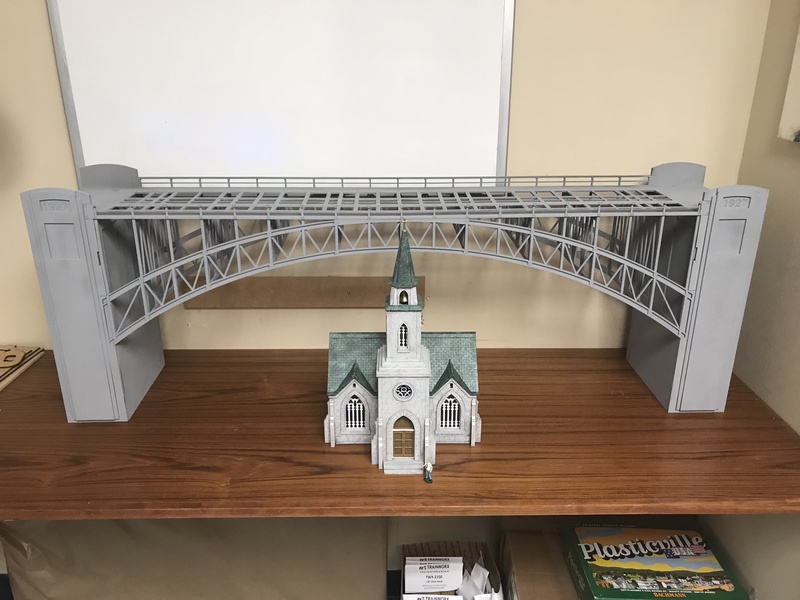 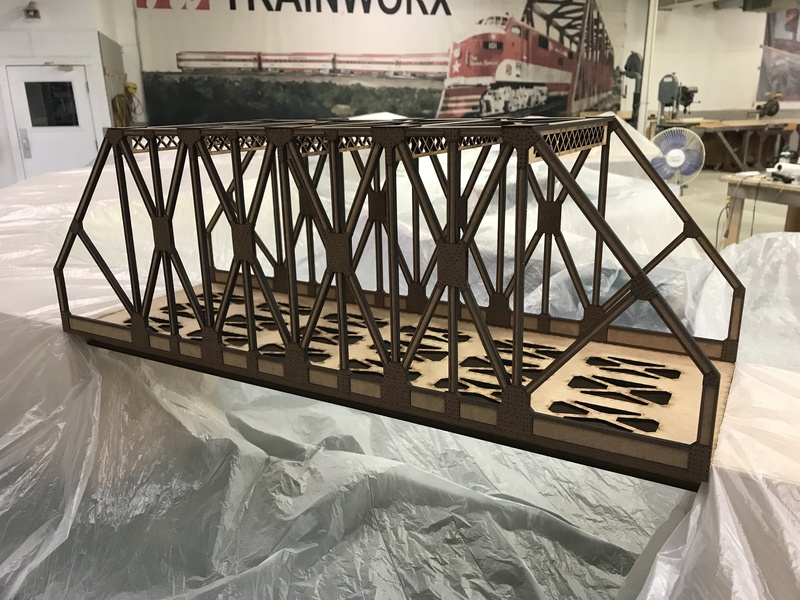 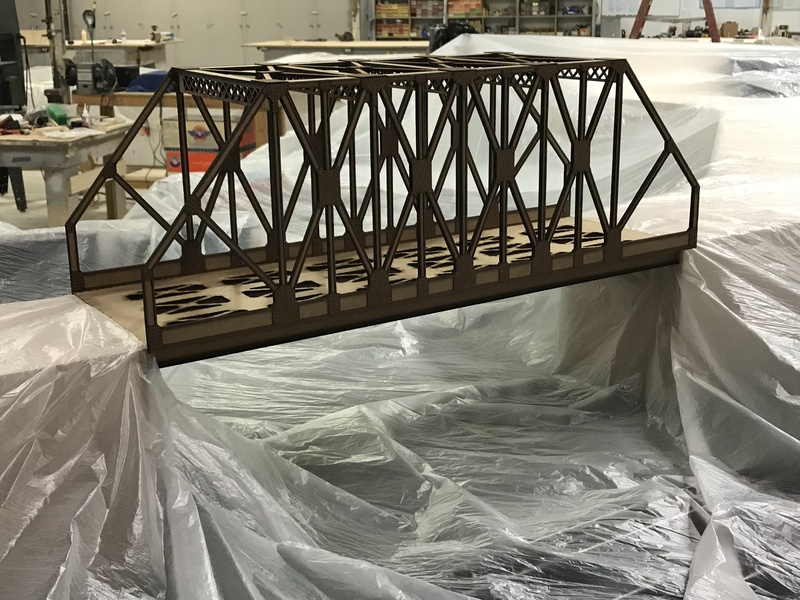 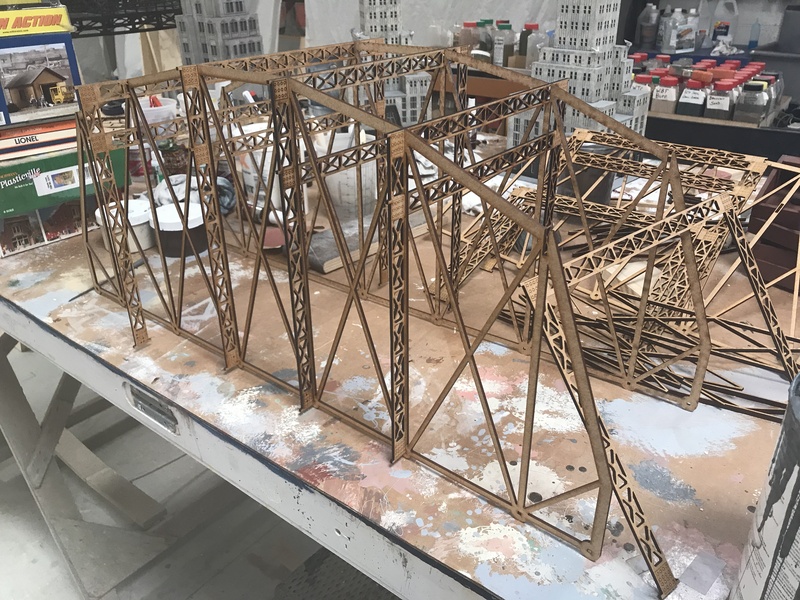 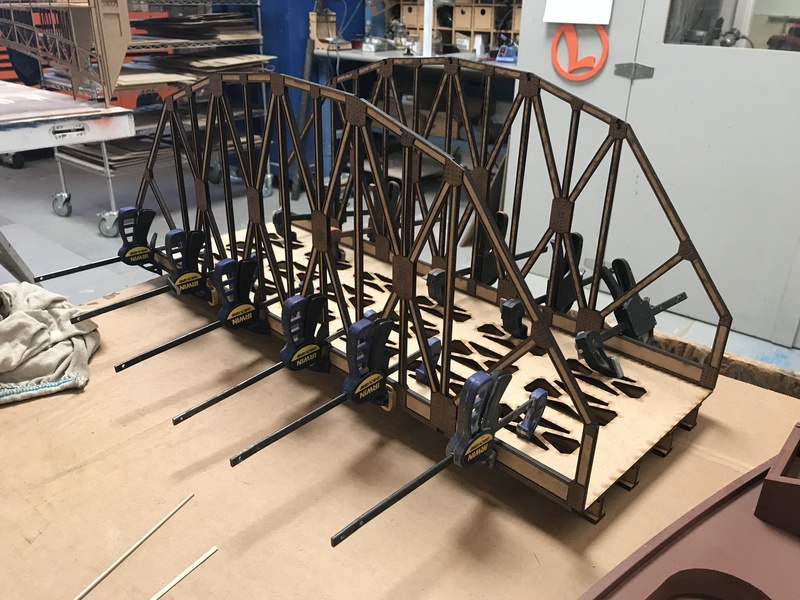 First Custom Residential Truss Bridge from Newbie Traingineer, Chuck!